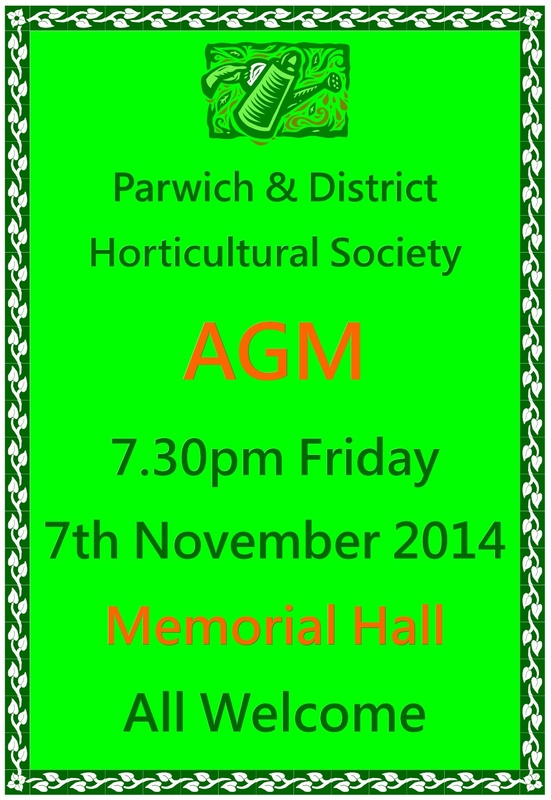 Now is your chance to join Parwich Horticultural Society. 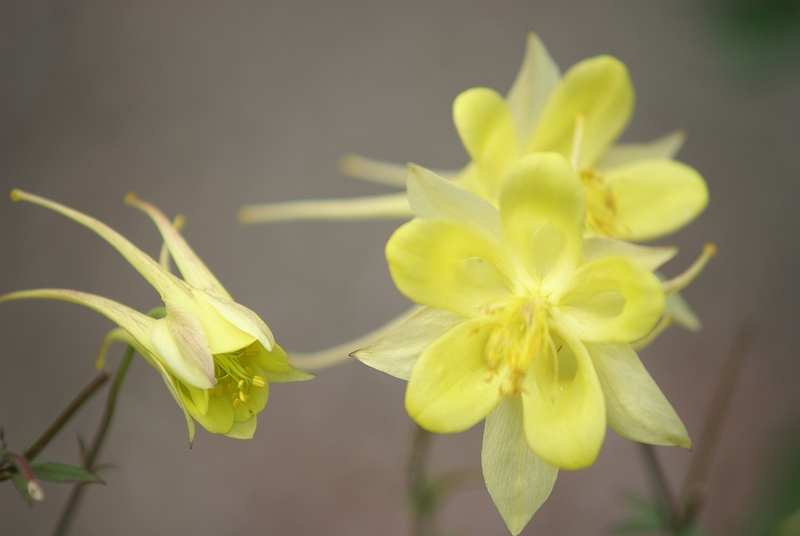 The many benefits include discounts on trips, reduced entry costs for the Flower and Produce Show and bulk rates for buying seeds. All this for an annual subscription of only £2! 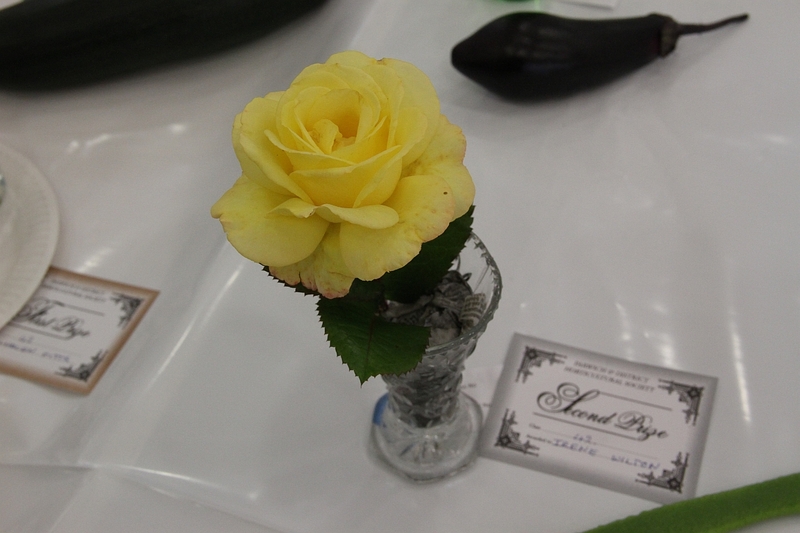 Now is the time to start pondering your entries for the 62nd Annual Parwich Flower & Vegetable Show organized by Parwich & District Horticultural Society. Click on the image below to see the classes. 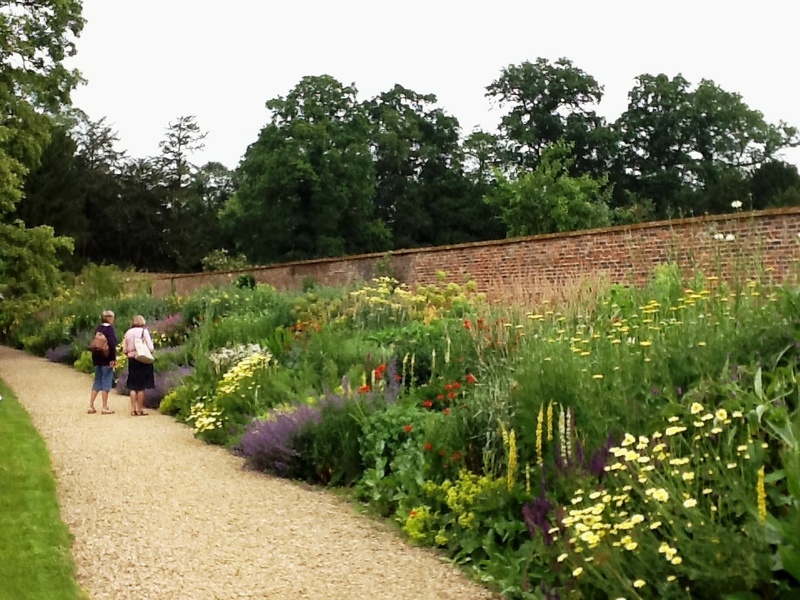 Today 17 members and friends travelled to Northamptonshire and enjoyed these gardens at their blooming best. The weather was kind and the gardens were beautiful. If anyone has any suggestions for next years trips please let Glynis know. 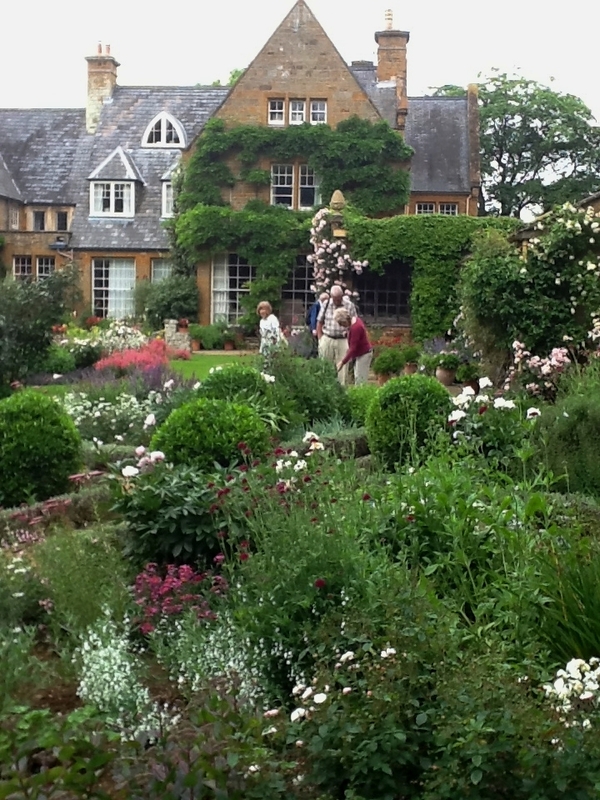 On Wednesday 10 July Parwich Horticultural Society has organised a visit to two beautiful Northamptonshire gardens. Coton Manor in the morning, and Kelmarsh Hall in the afternoon. 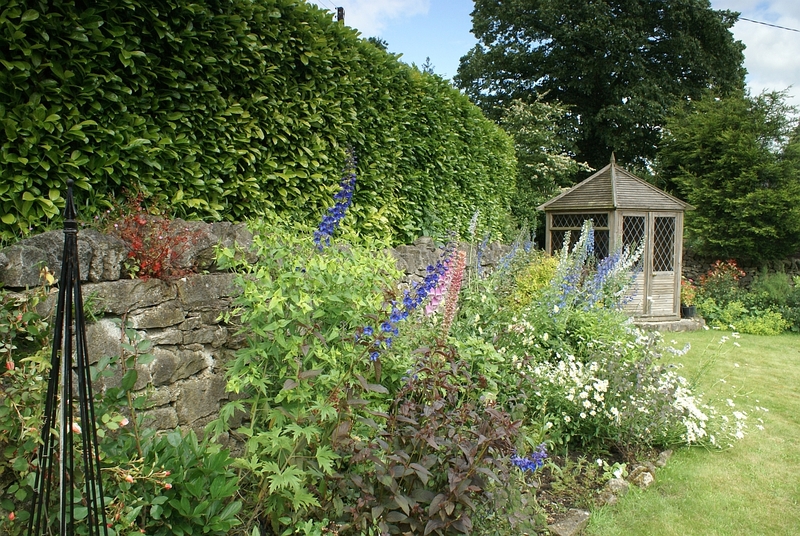 Both of these gardens should be at their ‘blooming’ best at this time of year.Coffee/ tea on arrival at Coton Manor is included. Lunch can be purchased at the Cafe in either garden or if you prefer to take your own picnic, there are facilities for this at both gardens. Full details are on the poster below. Please let Glynis know by 1st July if you would like to reserve a place. 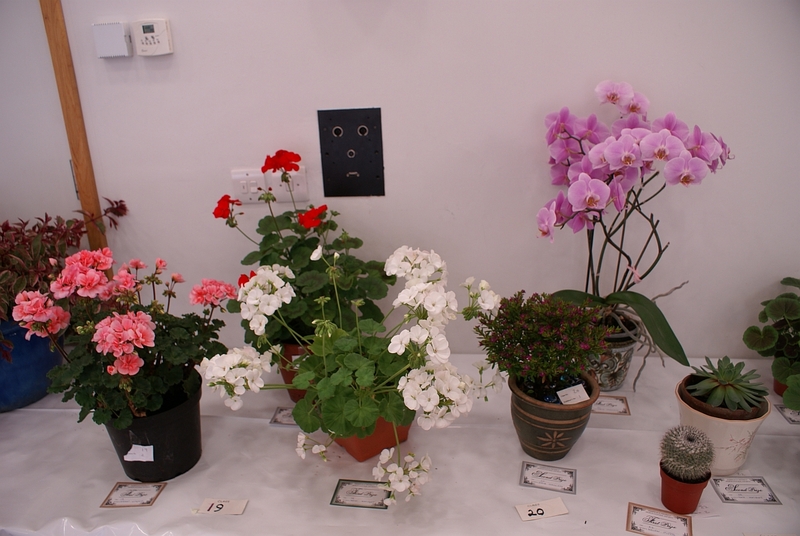 Here are the full results from the 2012 Horticultural Show. Please click on each image to enlarge it. 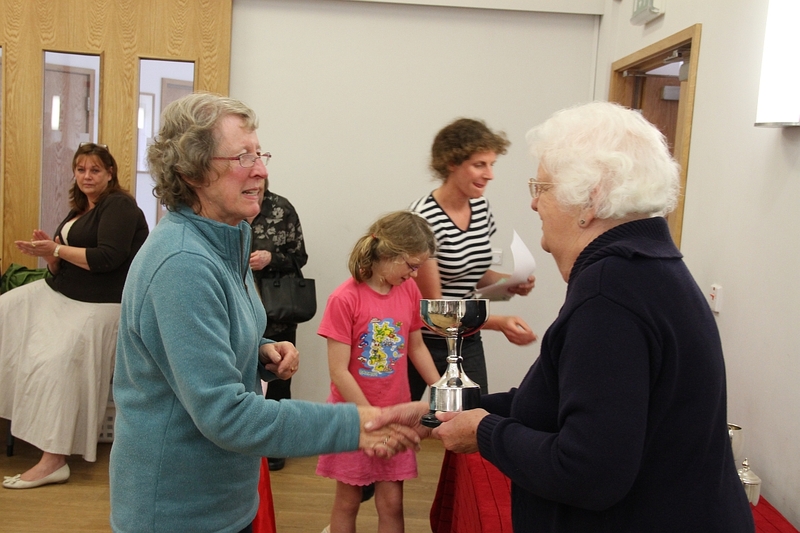 Our round-up starts with the cups and trophies. Individual winners in each class can be found further down in this post. 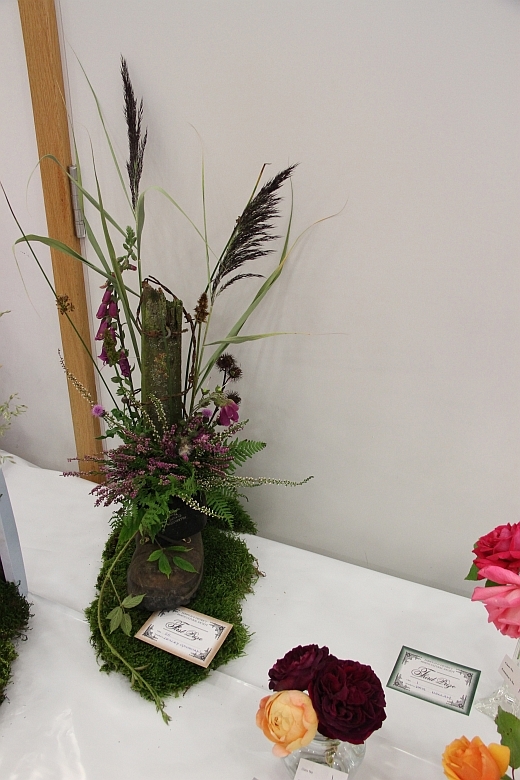 The Harry Hopkinson Memorial Cup, for the best floral entry exhibit: Helen Pitts. 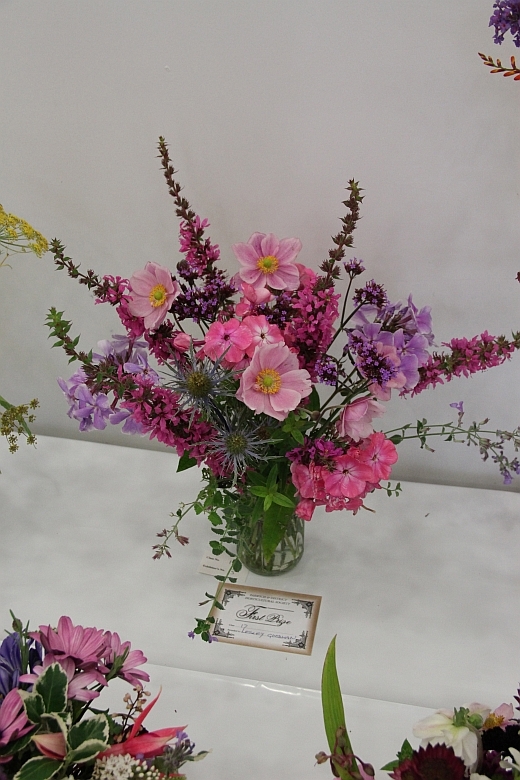 The Ambrose Wilton Trophy, for the highest scoring entrant in the Dahlia classes: Jean Wayne. 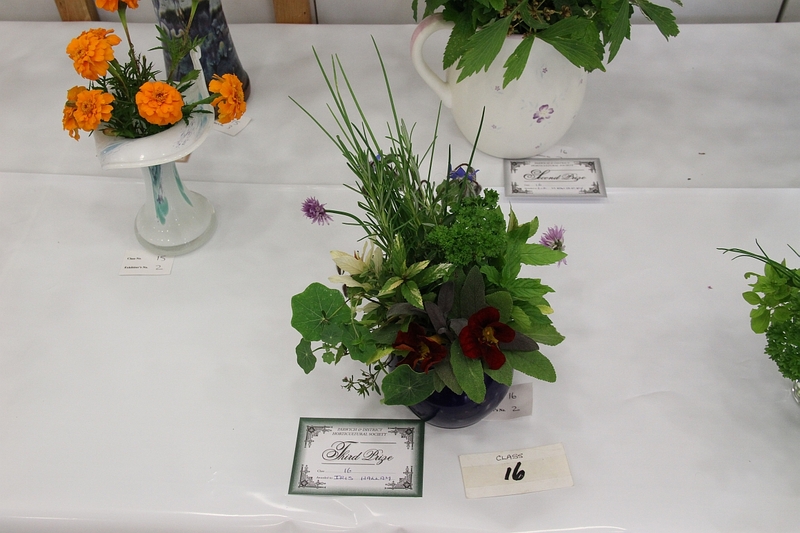 The Crompton-Inglefield Cup, for the highest scoring entrant in the Flower classes: Iris Hallam. 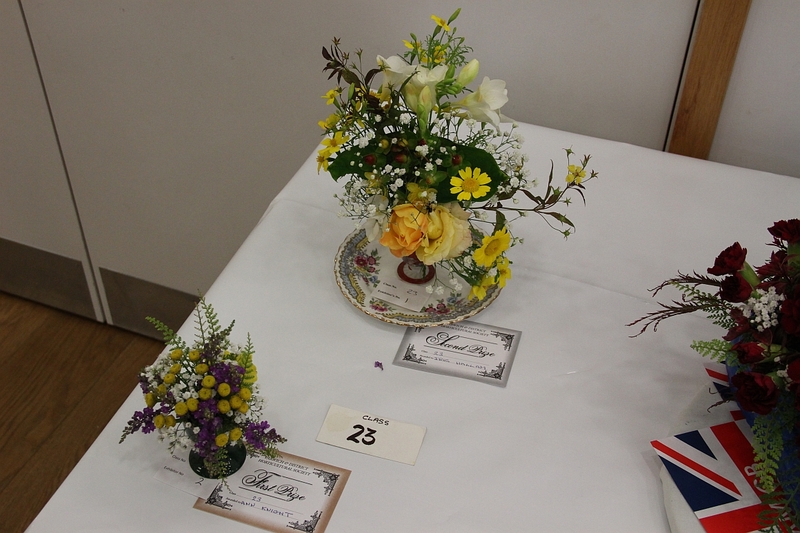 The Floral Art Rosebowl, for the highest scoring entrant in this section: jointly awarded to Ann Knight and Iris Hallam. 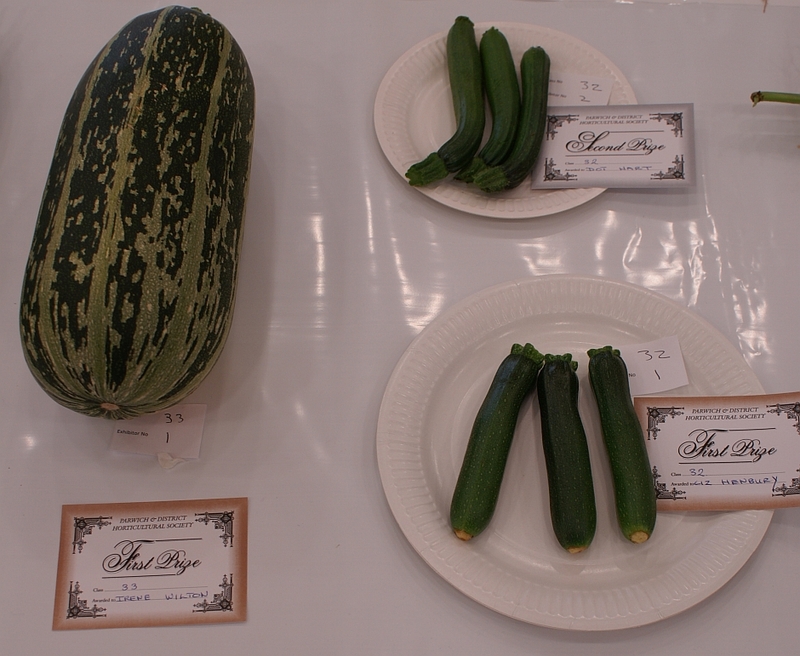 The Bob Matthews Trophy, for best Vegetable or Fruit: Howard Moher. 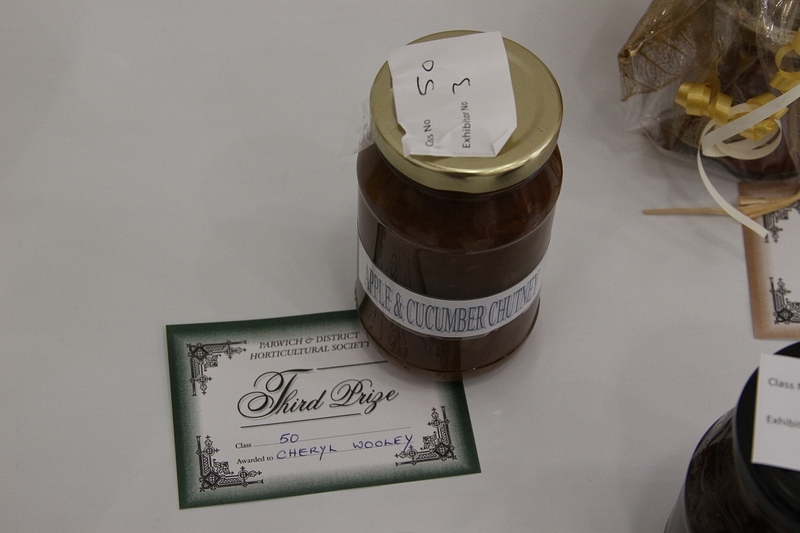 The Eric Allsopp Memorial Cup, for the highest scoring entrant in the Vegetable and Fruit classes: Liz Henbery. 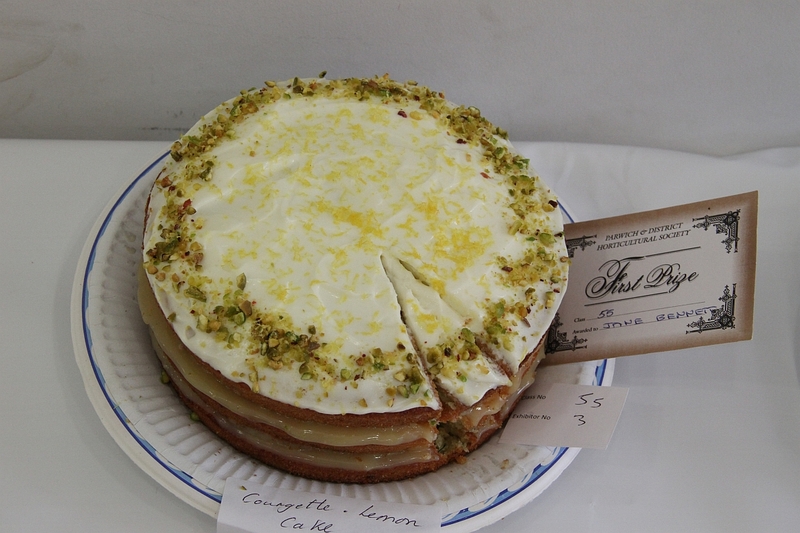 The Dorothy Foden Memorial Trophy, for the highest scoring entrant in the Cookery and Kitchen section: Jane Bennett. The Tarbutt Trophy, for the best exhibit in the Gentlemen Only section: Alan Smith. 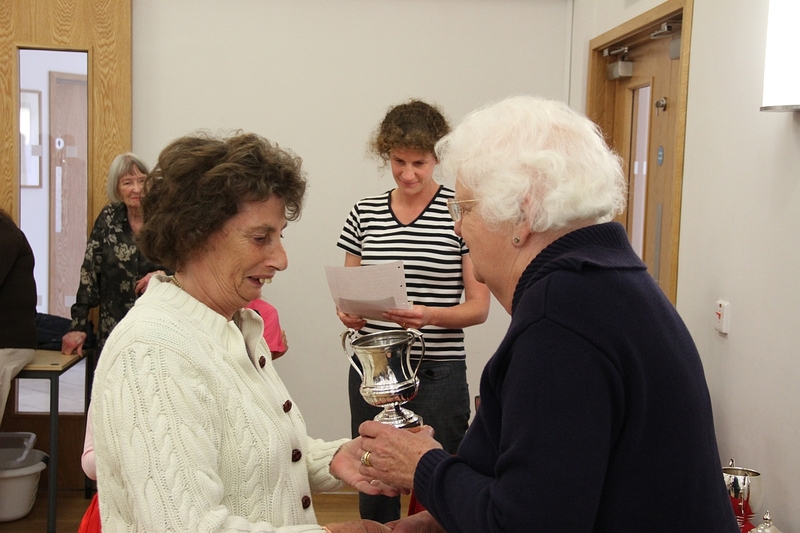 The Photography Trophy, for the highest scoring entrant in this section: Jean Wayne. The Tallis Trophy, for the best exhibit in this class: Amy Pitts. 2. 6 stems of Sweet Peas. 6. 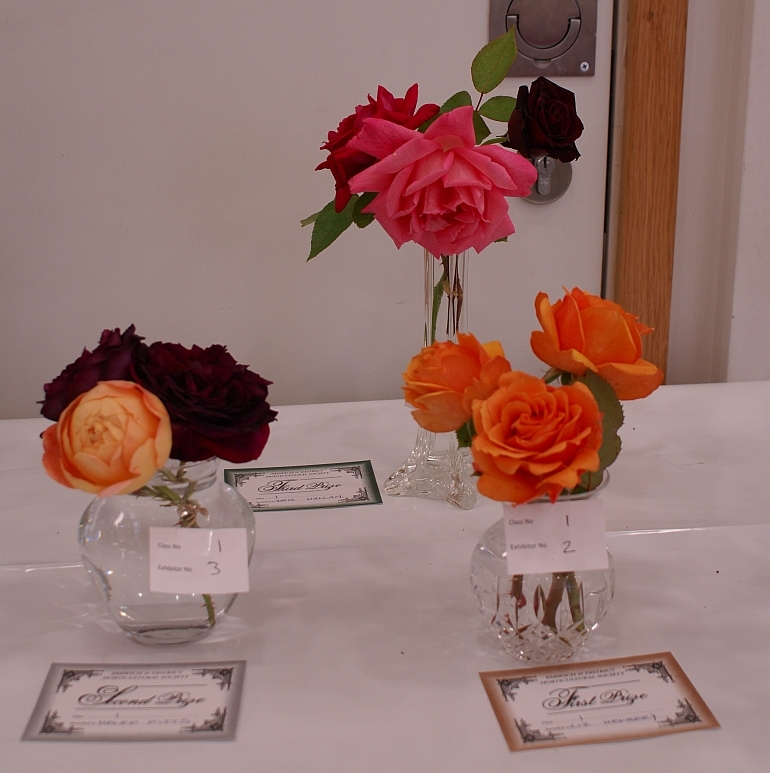 3 decorative Dahlias, small. 11. 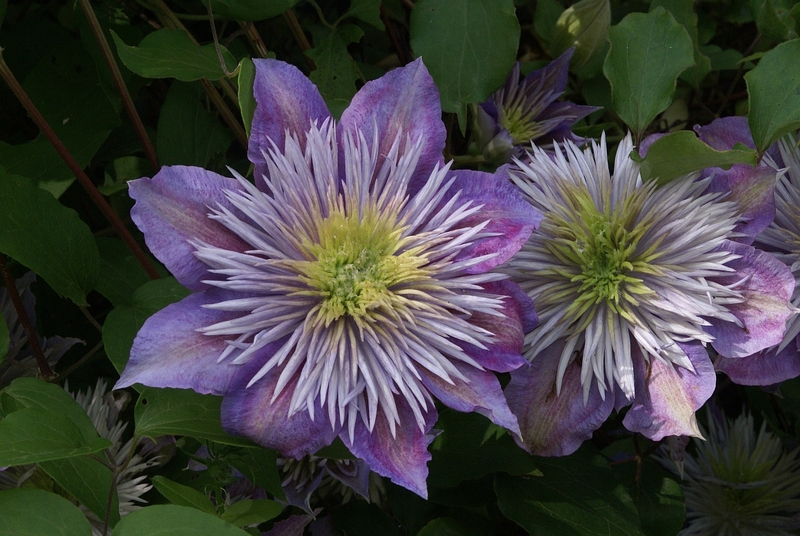 3 Pom Dahlias, 2″ or under. 15. 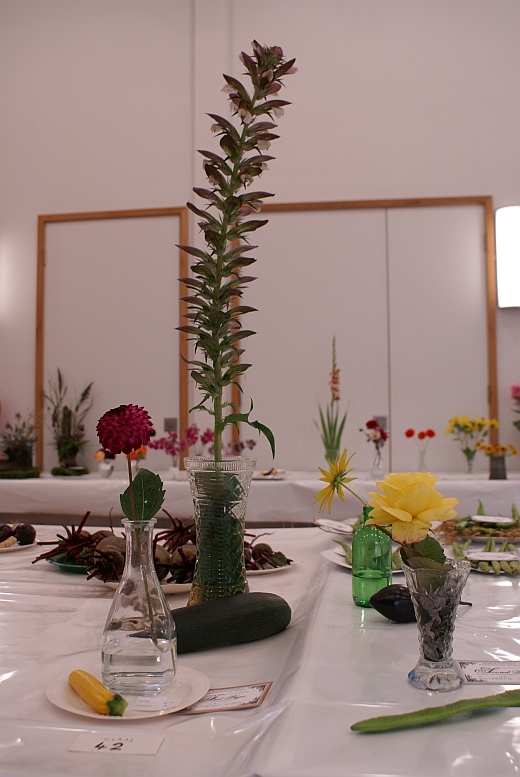 Vase, between 3 & 10 spikes of garden flowers, all of one species, other than any in any previous class. 16. Bunch of Cut Herbs in a container. 17. Jam jar of Garden Flowers. 18. 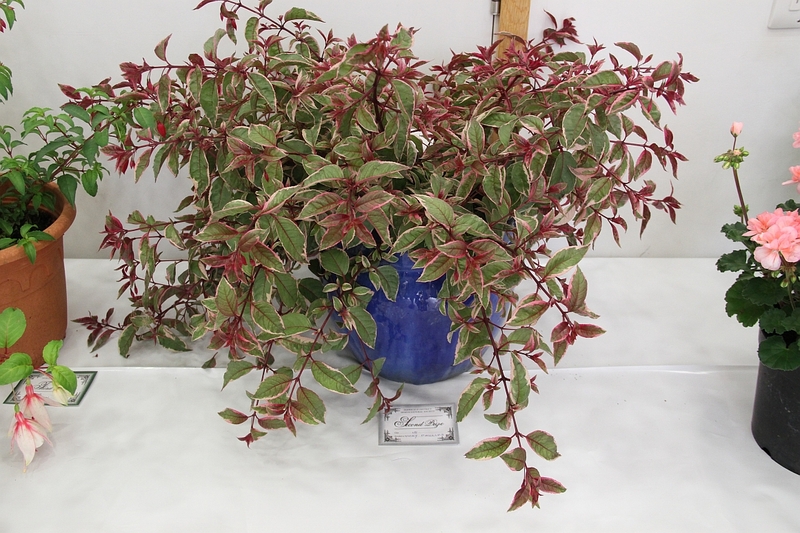 One Fuchsia in a pot. 19. One Geranium in a pot. 20. 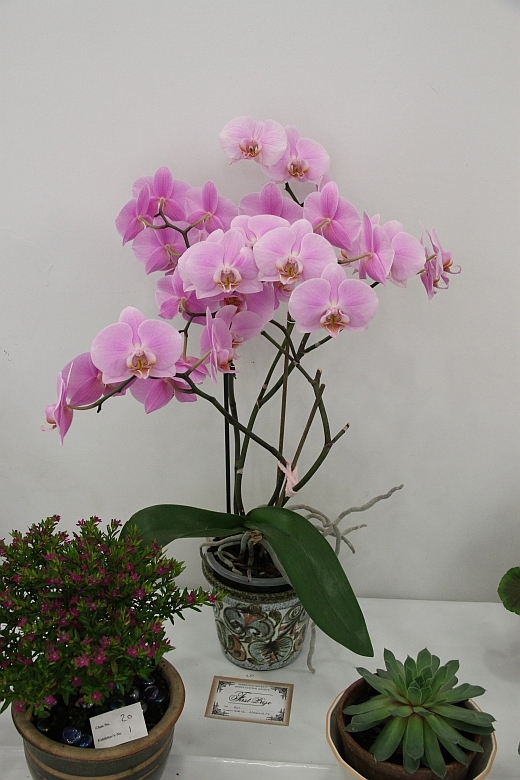 One Flowering Pot Plant. 22. Cactus or succulent in a Pot. 23. 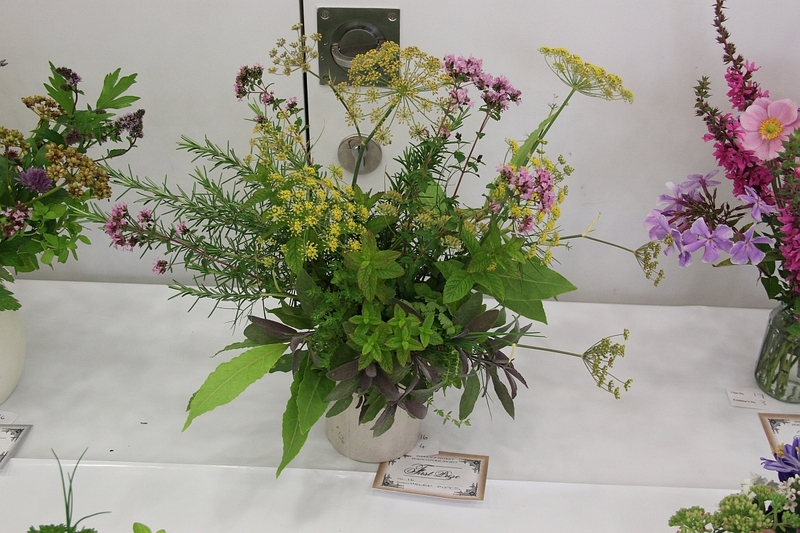 Floral Arrangement in an egg cup. 24. 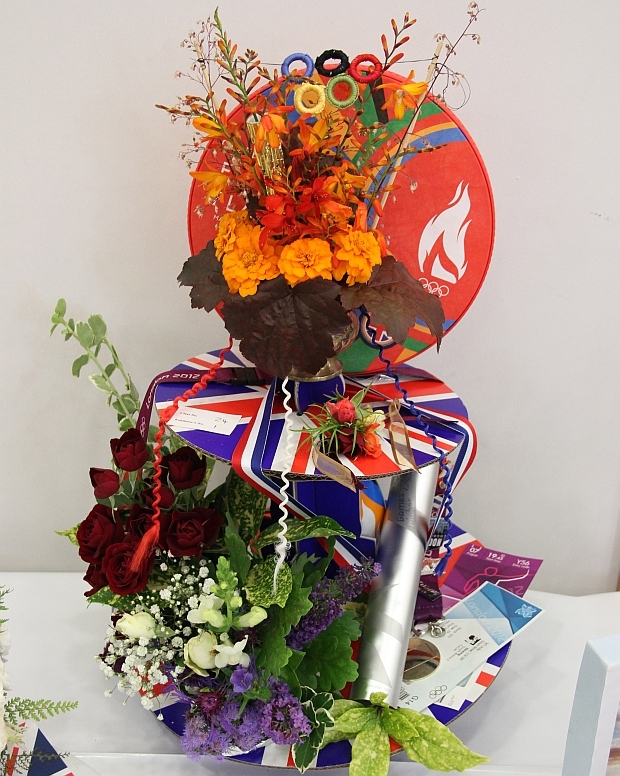 Flower Arrangment depicting “The 2012 Olympics”. 25. 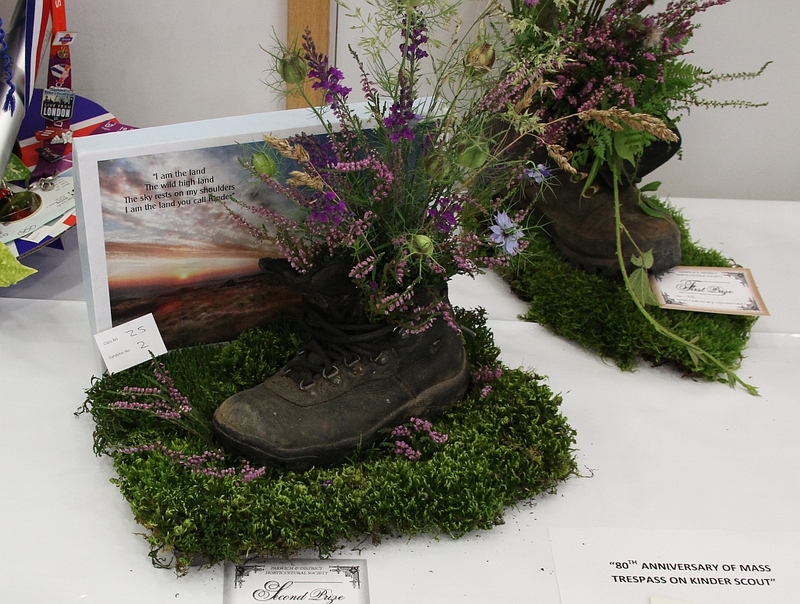 Flower Arrangment depicting “80th Anniversary of Mass Trespass on Kinder Scout”. 29. 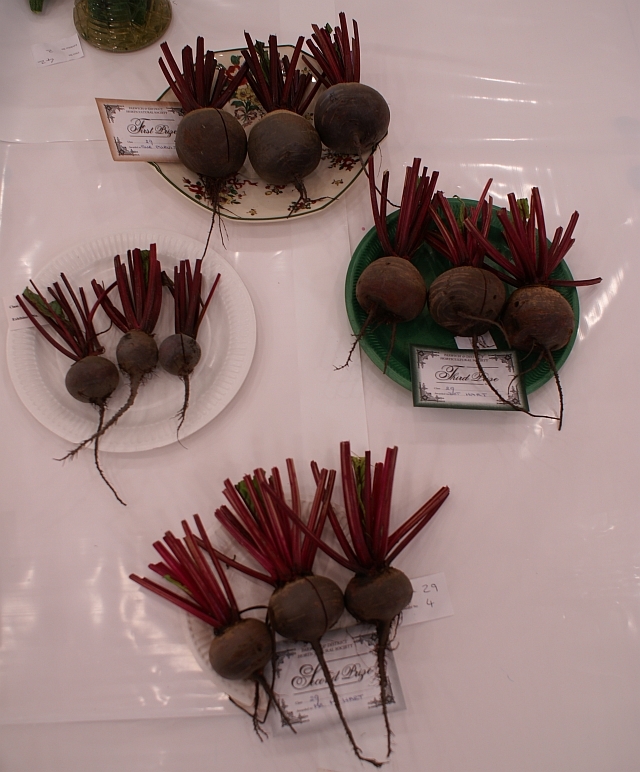 3 Beetroot, leaves trimmed to 3″. 32. 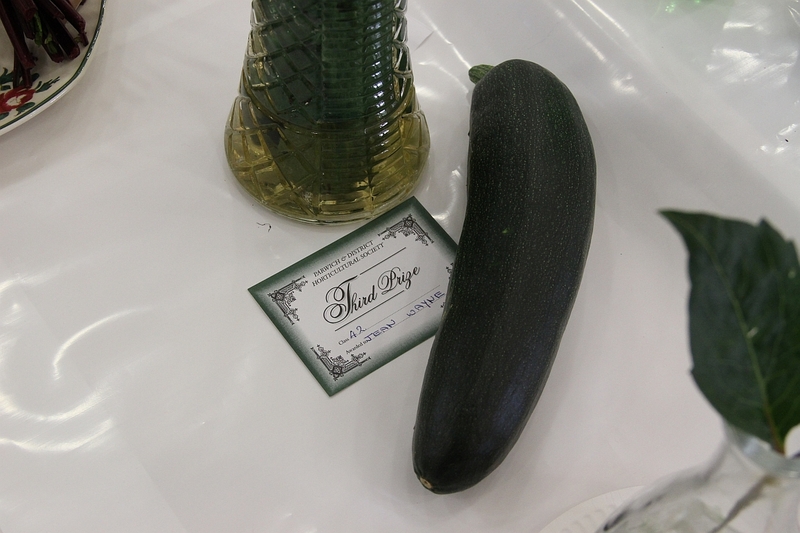 3 Courgettes, 4″-6″ long, of matching colour. 33. 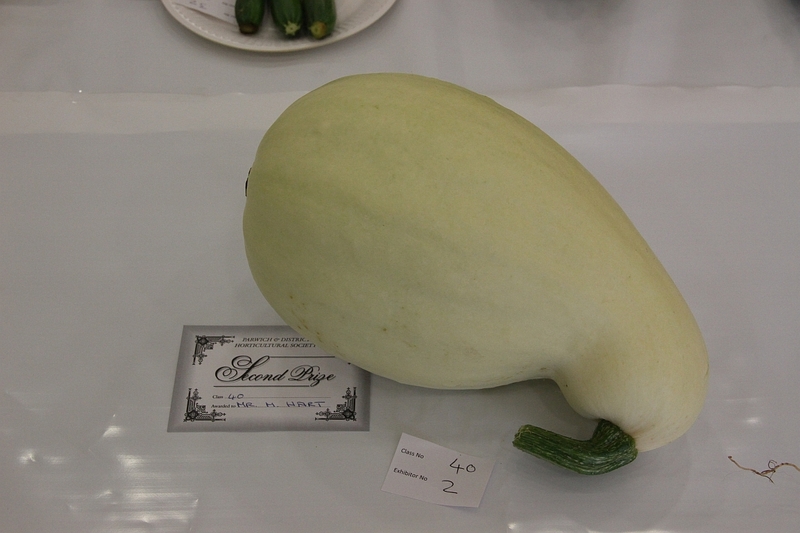 1 Marrow, 15″ maximum length. 36. 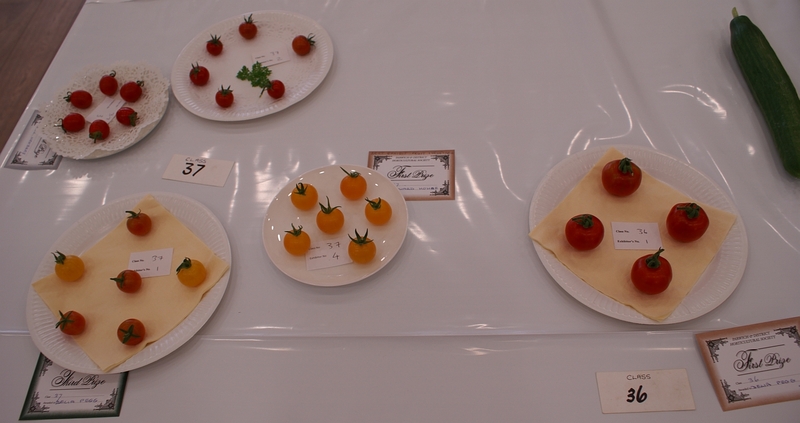 Plate of 4 Standard Tomatoes. 37. Plate of 6 Cherry Tomatoes, with calyx/stalk still attached. 38. 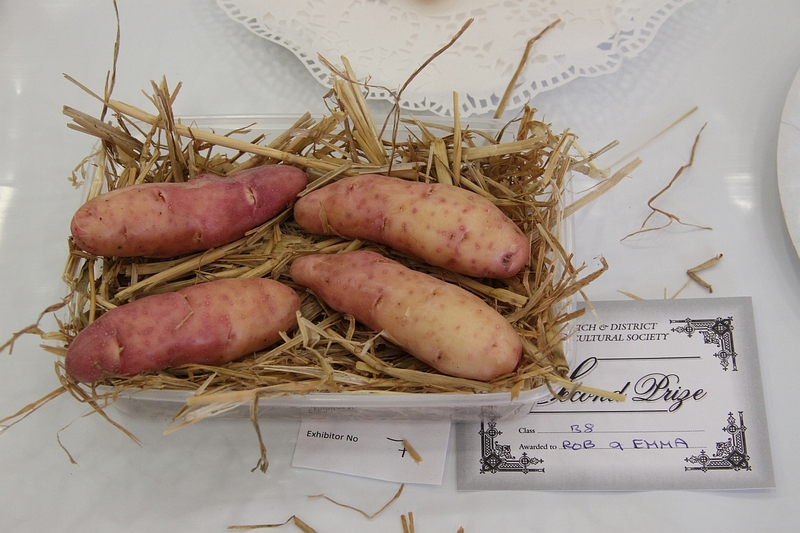 4 Potatoes, any one variety. 40. 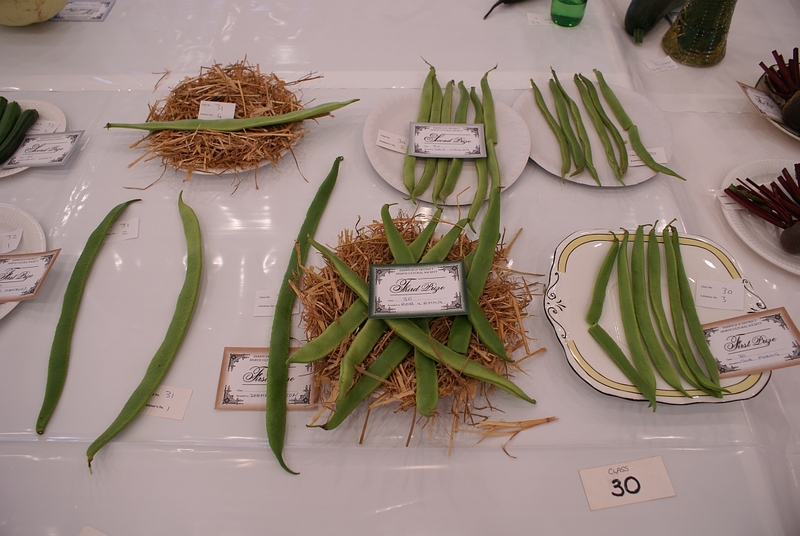 Vegetable(s), of one variety other than in previous classes. 41. 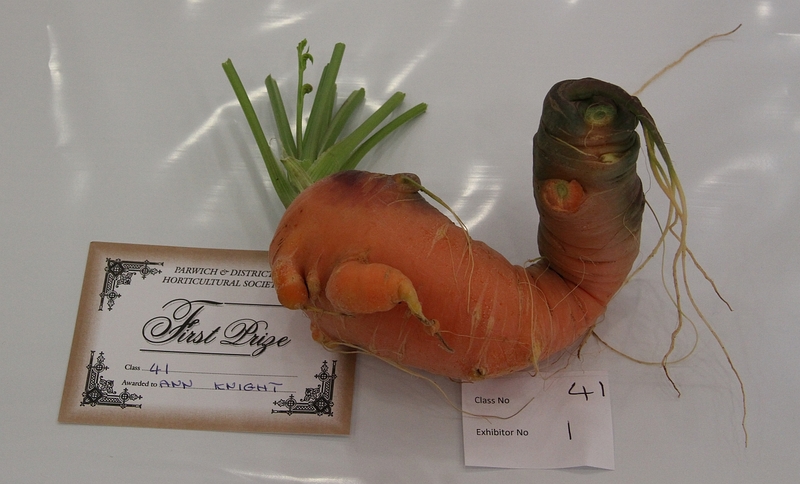 Ugliest or Most Deformed Vegetable. 42. 1 Vegetable and 1 Cut Flower. 49. 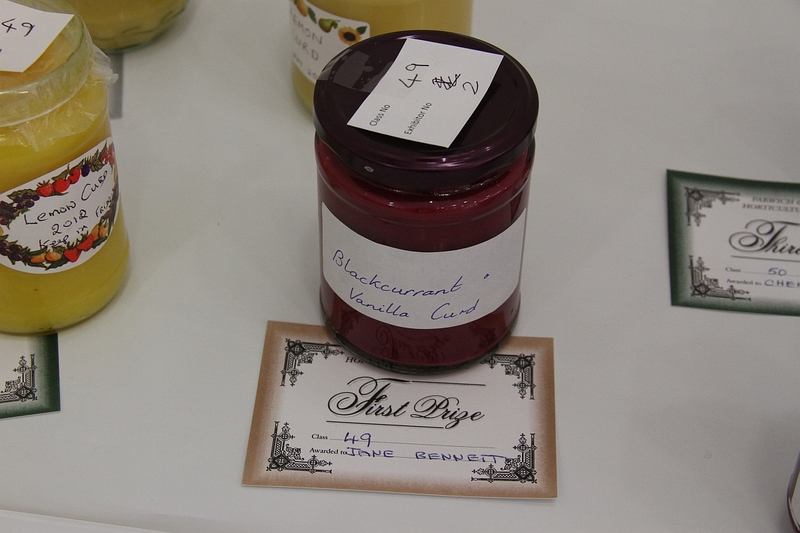 Jar of Fruit Curd. 50. 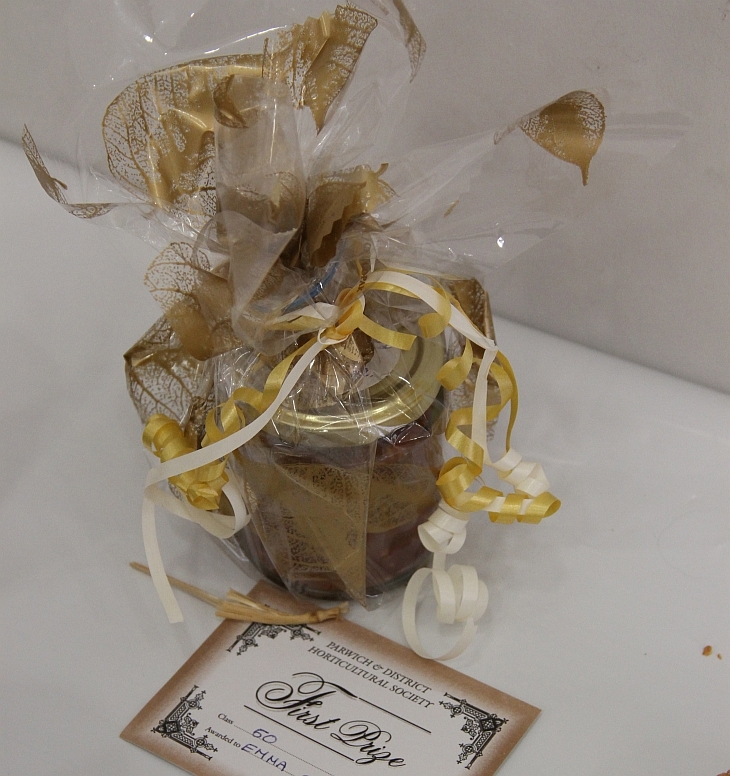 Jar of Fruit Chutney. 54. 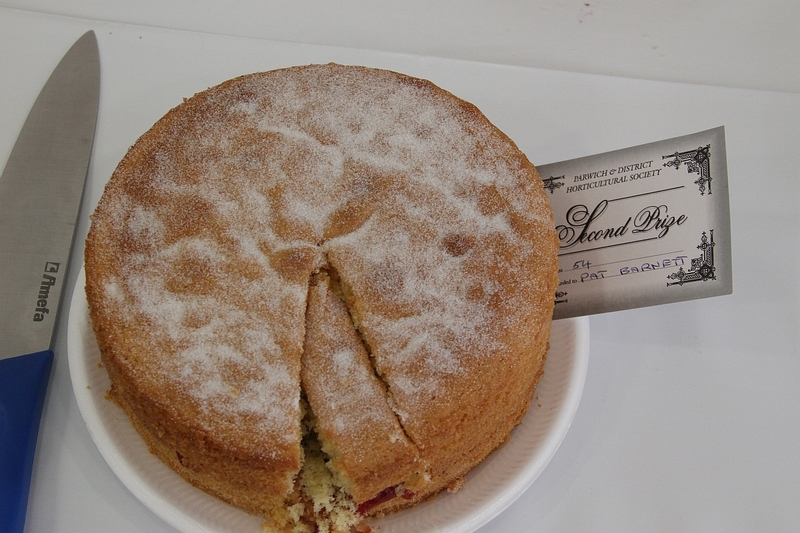 Classic Victoria Sponge with jam filling. 55. 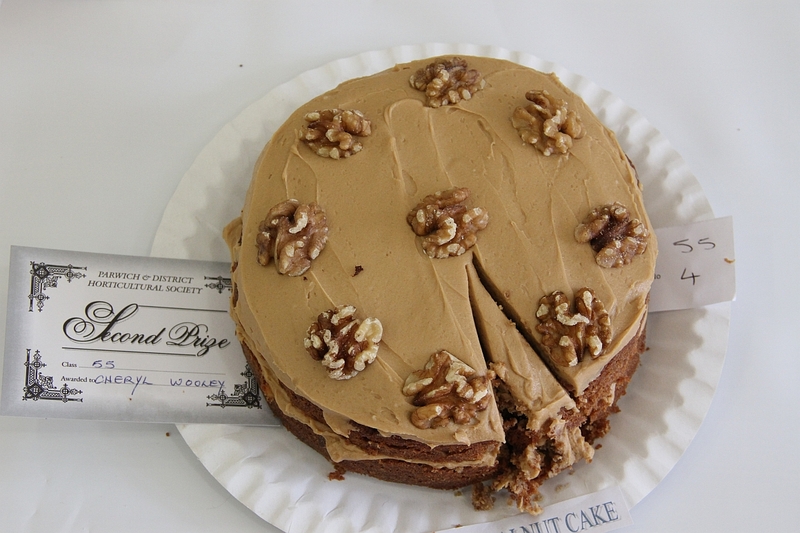 A Cake (other than Victoria Sponge). 57. 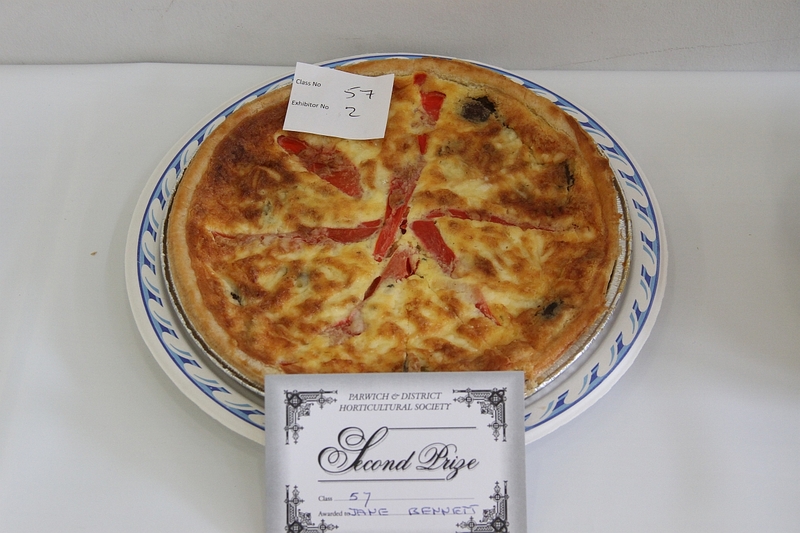 Savoury Flan or Quiche. Classes for Gentlemen Entrants only. 63. 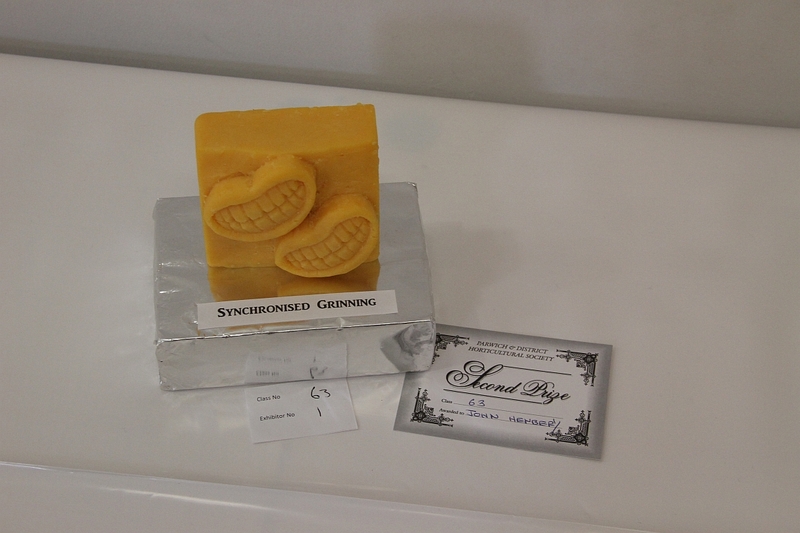 A Sculpture made from Cheese. 66. 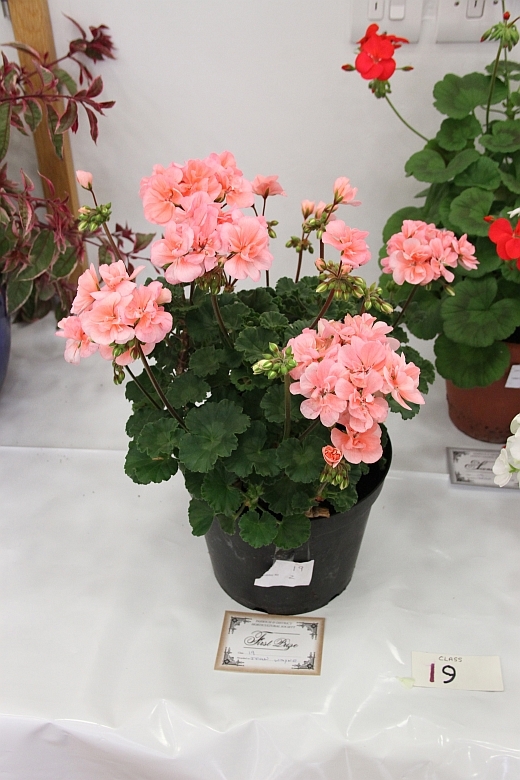 Geranium in a 6″ pot. 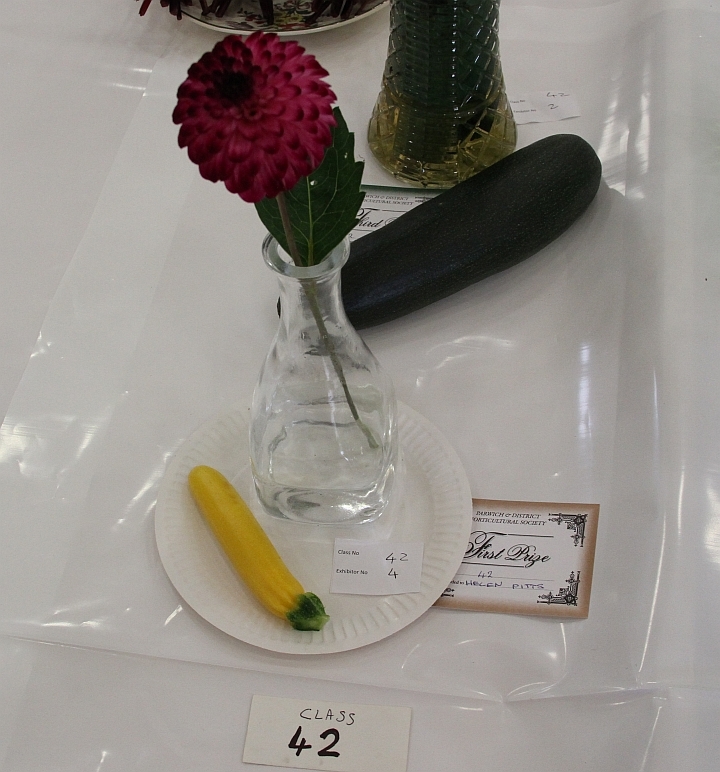 Full results for this year’s Horticultural Society Flower and Vegetable Show will be posted later today. In the meantime, please click “Continue Reading” and then click on any picture to start viewing the gallery. 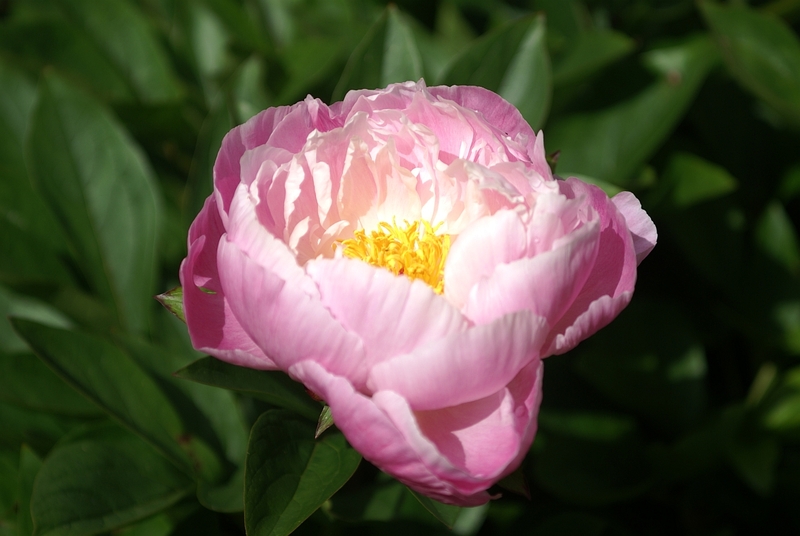 Photos are courtesy of John F-S and Kevin S.
Eleven Parwich households opened their gardens to visitors today, and thankfully the rain was kept at bay all the way through the afternoon – a rare stroke of luck, indeed! This week’s Ashbourne News Telegraph – copies of which are still available – carried a full page colour preview of the event, with photos taken from previous years, and perhaps this helped to encourage what felt like a healthy turn-out of visitors. 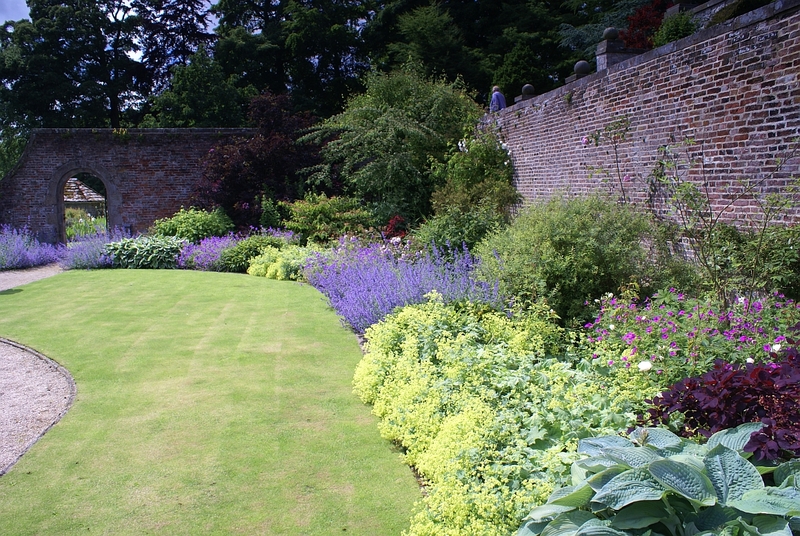 This year’s delayed summer also meant that we were able to see these gardens at a somewhat earlier stage of development, with poppies, lupins, peonies and aquilegeas all providing unexpected splashes of colour. 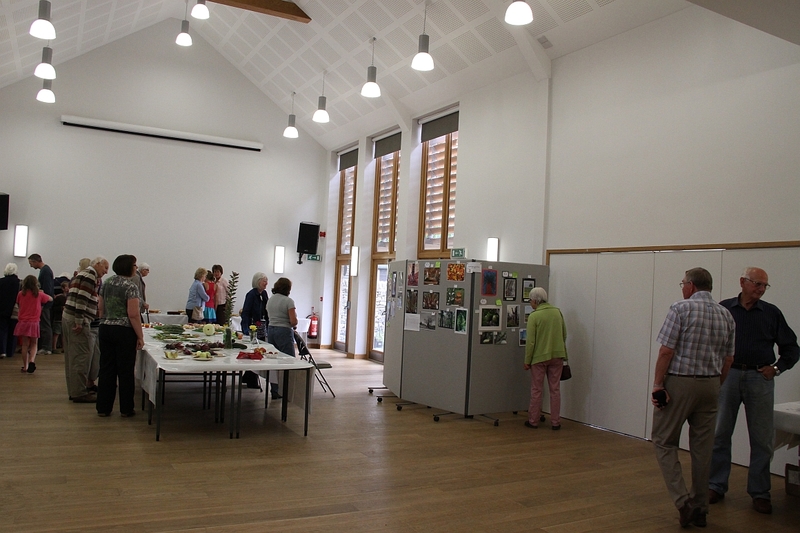 Thanks are due to the Parwich & District Horticultural Society for organising the event, which also included cream teas and a plant stall at the Memorial Hall, as well as the childrens’ show of paintings and plants. 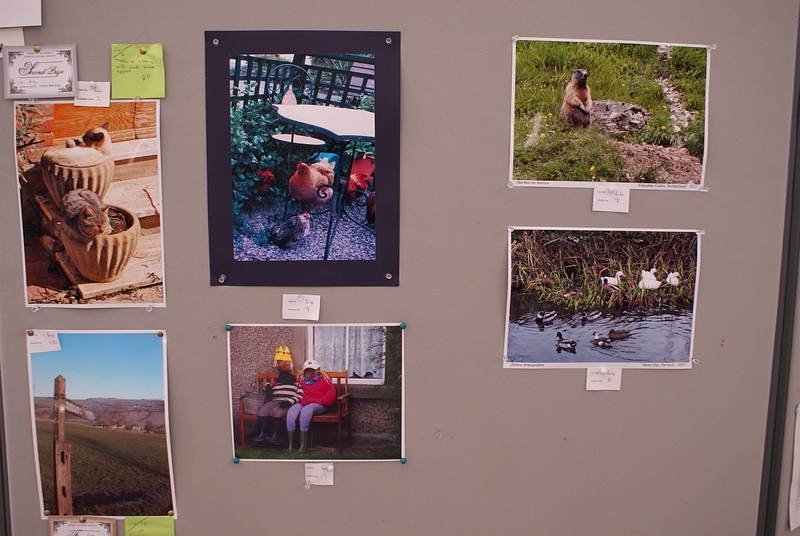 If any of our readers has photographs of the childrens’ show, we would be delighted to receive them. 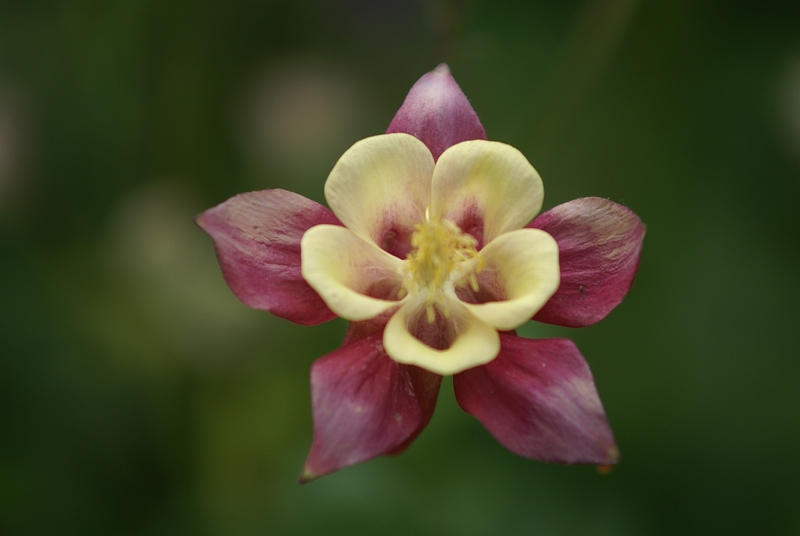 In the meantime, here are a selection of shots from this year’s gardens, all of which can be clicked to enlarge. All photos by Kevin S.
The year seems to have sped by with some highs and lows along the way. 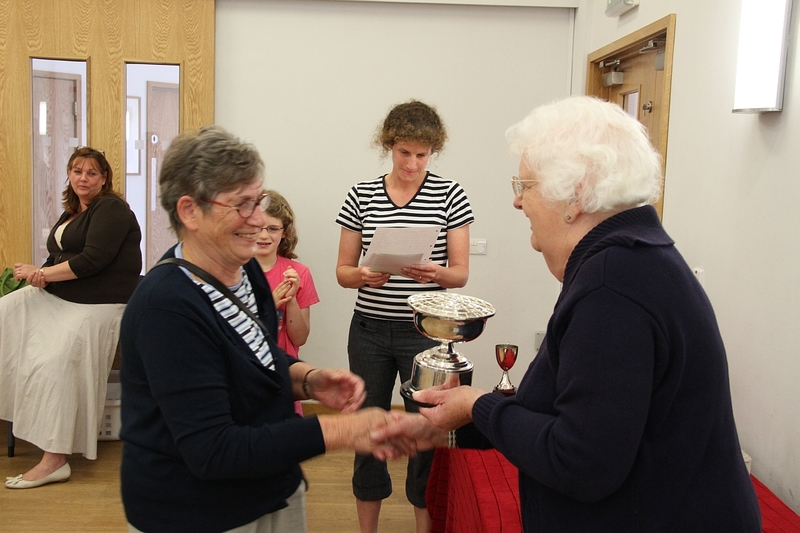 One of my greatest sadness’s will be the death of Flo Harris who had been a stalwart of the Society and kept all of us new boys and girls on the straight and narrow when it came to the shows and exhibiting and ensuring the right cups went to the correct winners. In true Flo fashion she made sure everything had been carefully documented and was handed over to who she felt worthy of such a role. The rest of the year has run like clock work with some wonderful trips and talks organised by Liz. These have been well attended and are one of the high lights of membership of our Society. 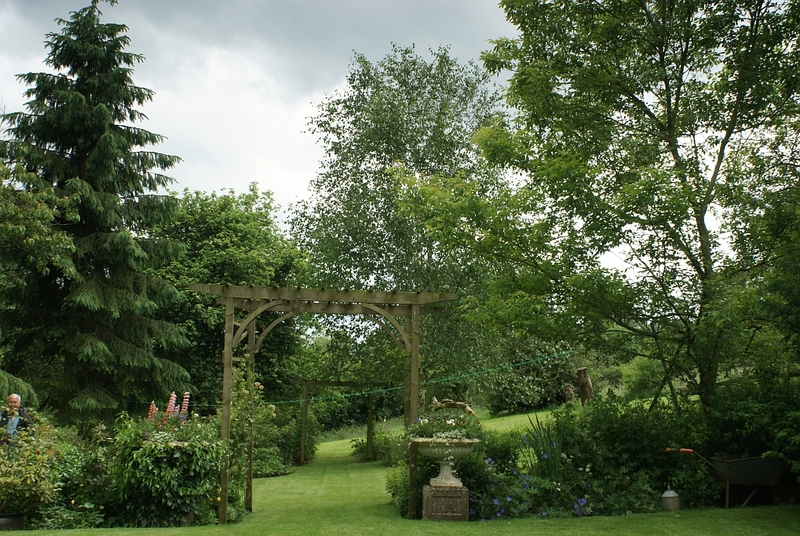 Open Gardens was a real success, thanks in part to the weather but mostly to all the committee and the villager folk who opened their gardens. 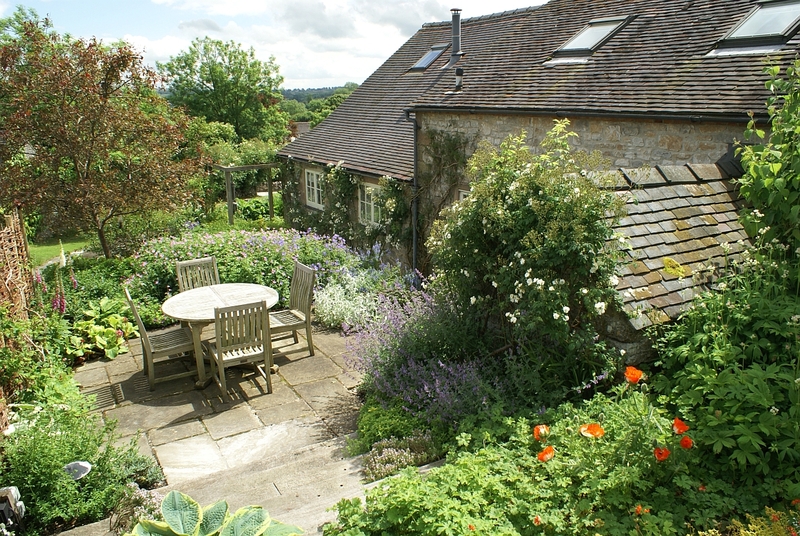 The gardens are beautiful and some people had travelled a fair distance to come and have a nose around and swop stories with the owners. 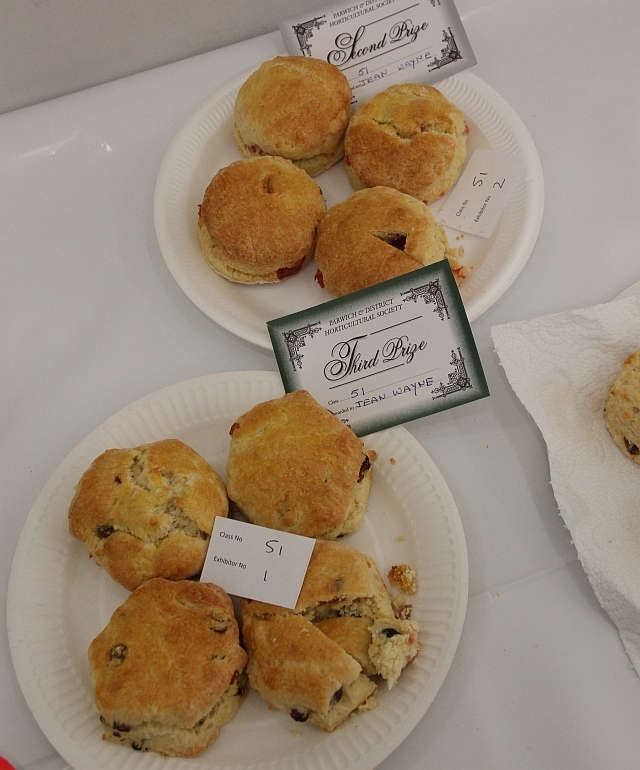 The cream teas were once again a sell out and thank you to Pat for all her hard work in raising over £400. 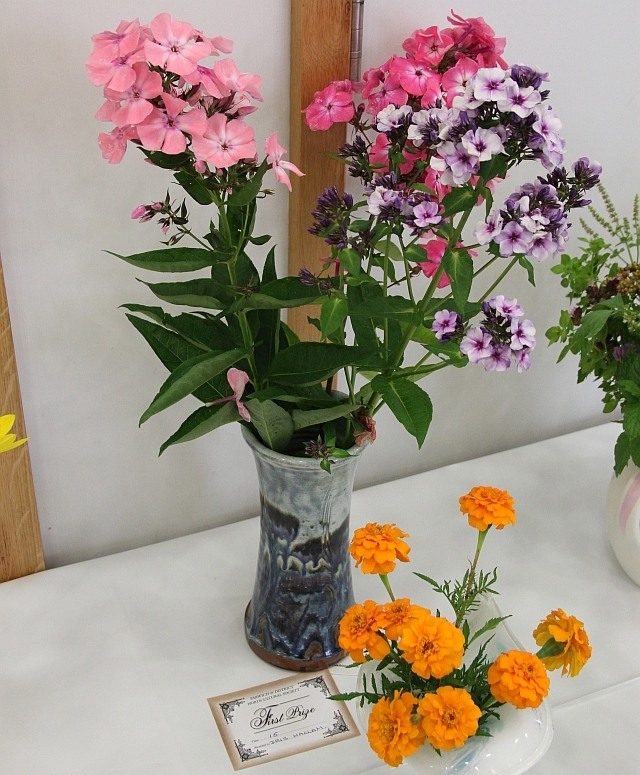 Alongside the Open Gardens is the Children’s show which is a crowd puller due to the quality and variety of work on display. We have increased our links with the School by helping them on a weekly basis plant, nurture, pick and eat their own vegetables. Mike and Lesley have been the `chosen ones` – or rather the ones who can cope …… By maintaining these close links with the school and encouraging the children we hope to increase the support from the younger village members in future shows. 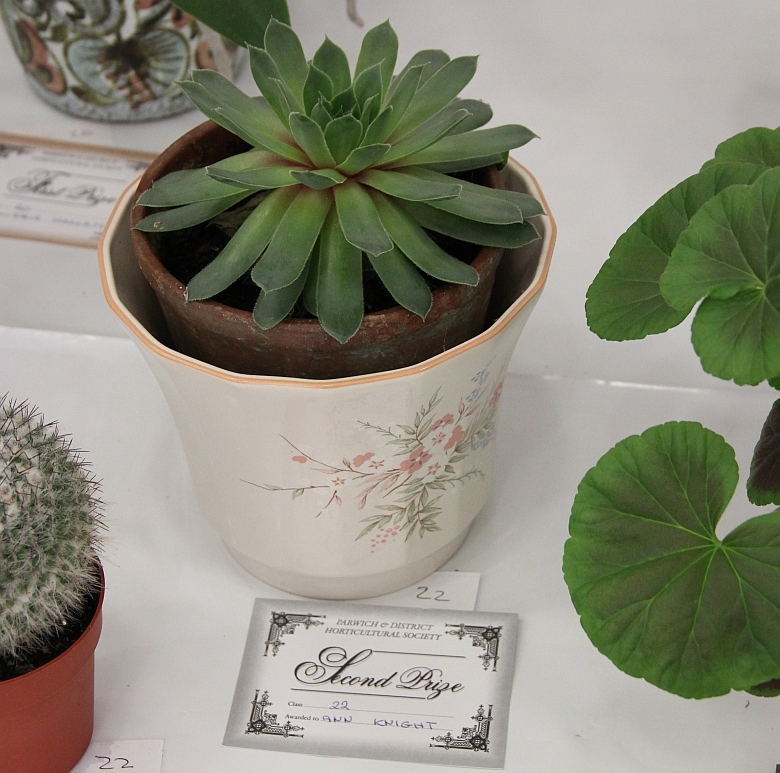 Previously we had just been seen as people who gave them a geranium they could leave outside to die or paid for a coach trip to a garden. The Committee were forced to make a decision to cancel the Main Show due to the imminent demolition of the hall. I am aware that this upset some members but decisions have to be made and we are determined that we will simply come back next year with a bigger and better main show. It certainly does not imply that we are just another village society that is going to ground. I feel that with the new Memorial hall as our venue for events next year we have potential for many changes and improvements and the Society will go from strength to strength. 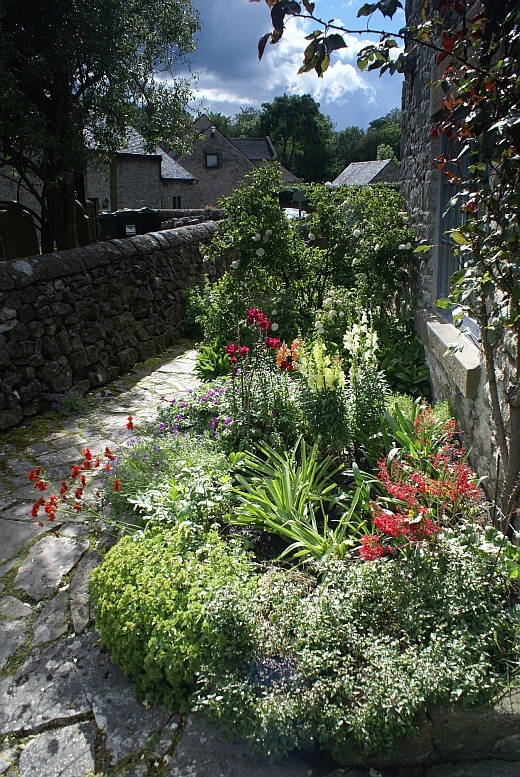 In my capacity as a non gardener who seems to have been voted on as Chairman for an ability to keep meetings short I am well aware that I really couldn’t manage without all the hard work done behind the scenes by Dot and Mike, Ben, Liz and Ann and also all the other Committee members. A very big Thank You to them and to all of our members and here is to another good year of gardening. 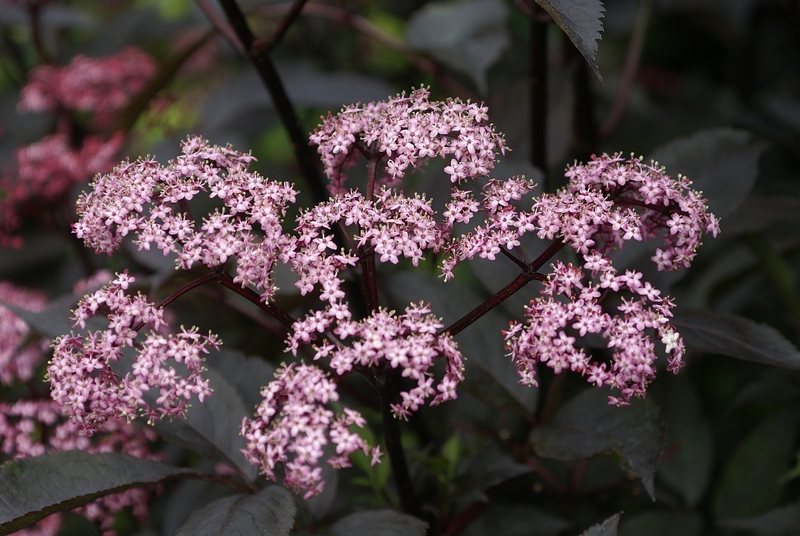 Don’t forget that members of the Parwich & District Horticultural Society can order discounted seeds and other items from the Suttons Catalogue, through the Society. 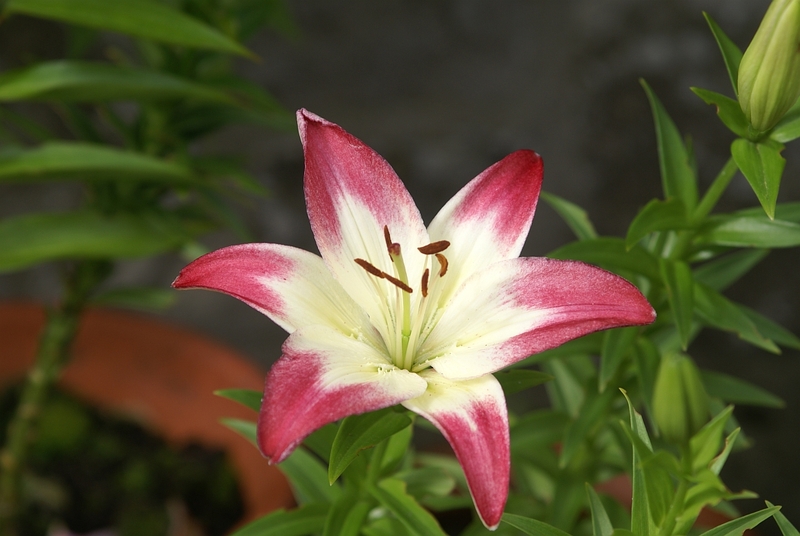 The catalogue has a good range of flower and vegetable seeds, gardening equipment, onion sets, seed potatoes, small plug plants, etc. 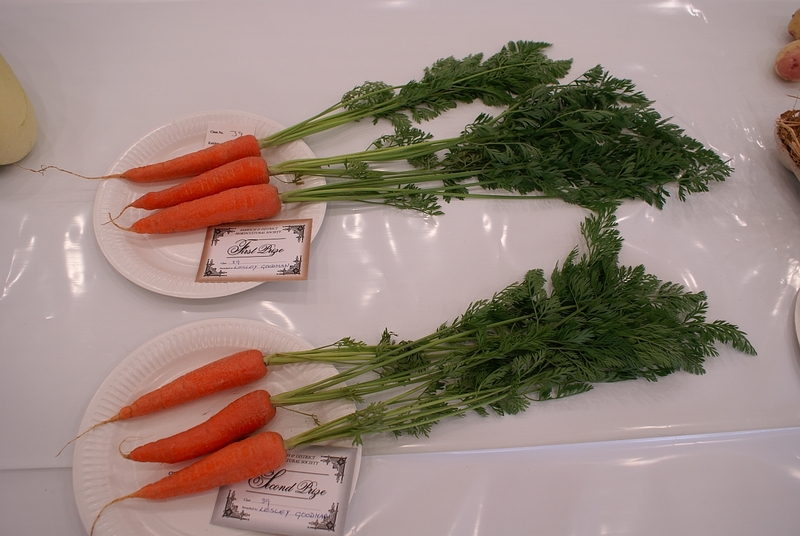 The amount of discount varies for different items, being the most for seeds. 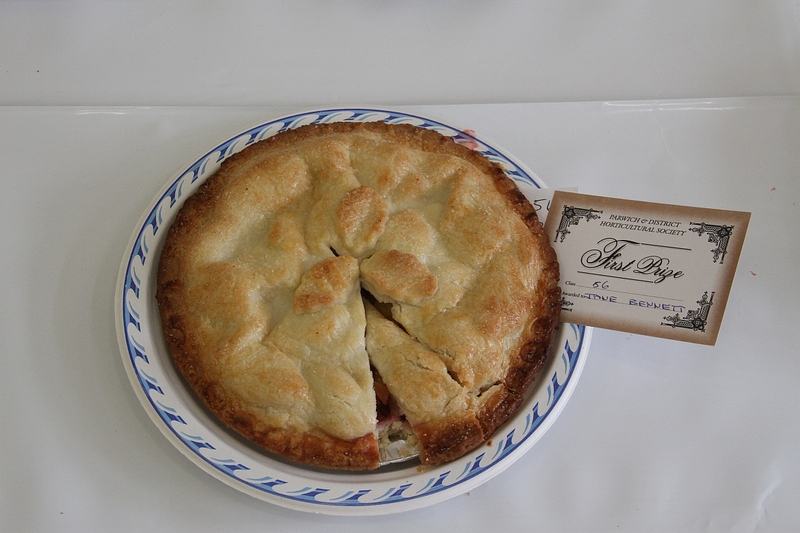 The Society membership (now due, so drop it off with Ben Bennett) is only £2 and you quickly make that back on even small orders. 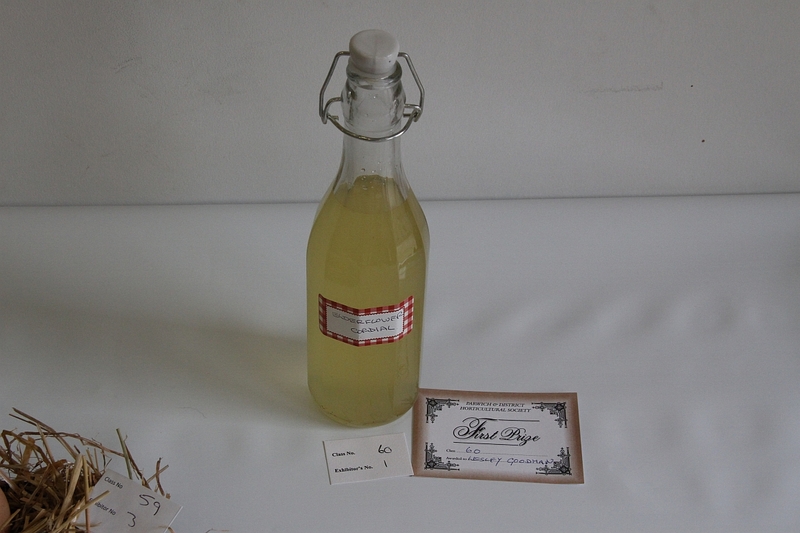 The Society also usually gains a small commission on the collective bulk order. Dot will drop copies off for people who ordered last year, but if you didn’t order then but want to take advantage of the discount this year contact Dot on tel 345. You must then give your order to Dot by early January. 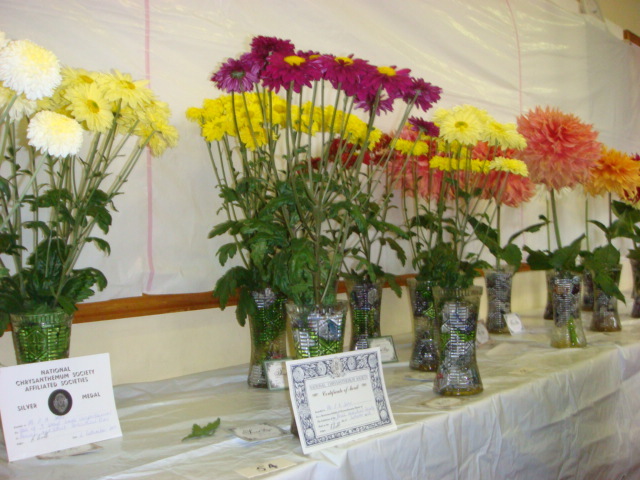 It is with great sadness that Parwich and District Horticultural Society have made the decision to not hold their annual show this year. At a committee meeting held last week there was much discussion regarding alternative venues, due to the rebuild of the Memorial Hall, and possible changing the format of the show. However, it was decided that it would be better to `have a year off` rather than run a sub standard show. With the new Memorial Hall due to be ready for next year’s show we hope that all exhibitors will help us to make use of the new facilities by ensuring that the Main Show in 2010 will be bigger and better than before. 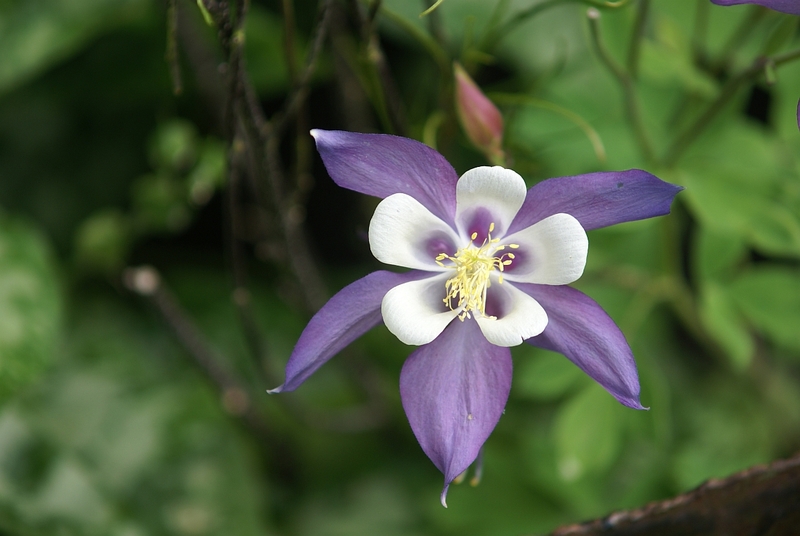 The program of events for 2009 has been announced – please click here for details. 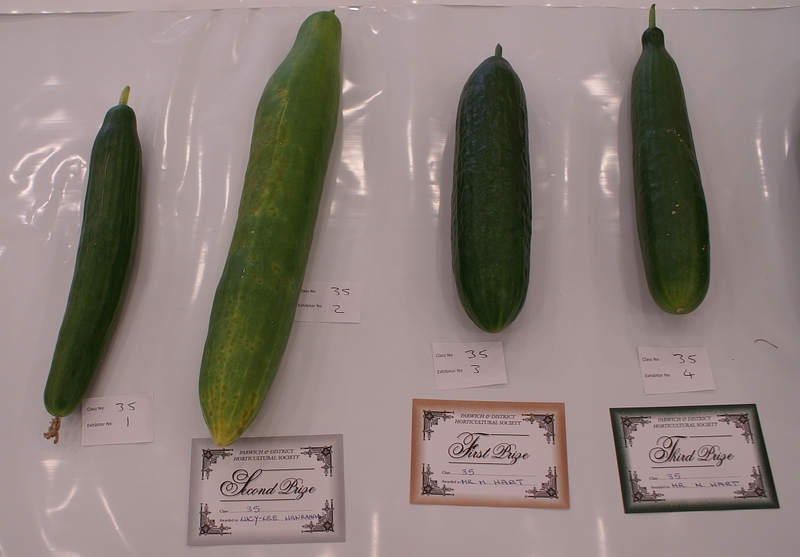 To take advantage of the discount, PDHS members please let me have your 2009 Suttons Seeds orders before 20th January. 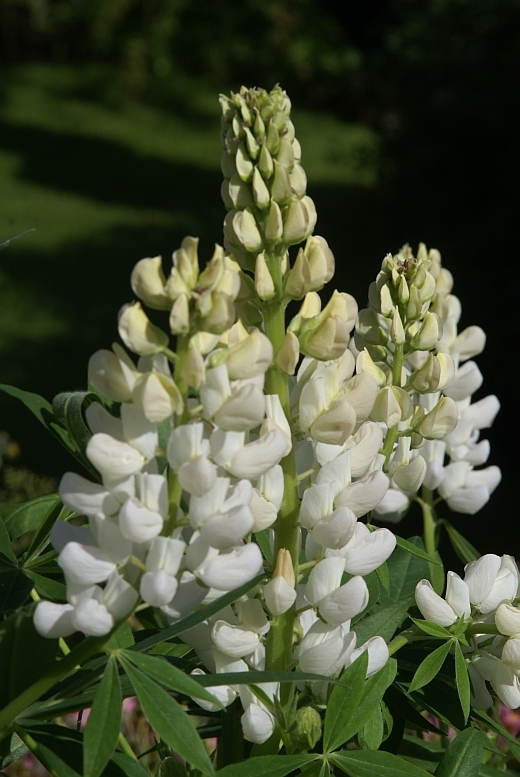 Remember there is generally 45% off seed orders and 10% off other catalogue items. PS Let me know if you need a catalogue (tel. 456). 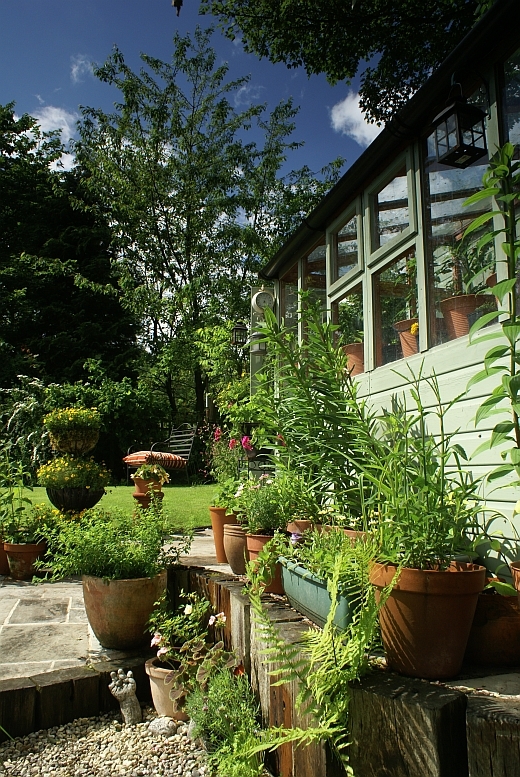 Given the Horticultural Society membership is only £2 per year, you are into profit with orders of as little as £4-50. 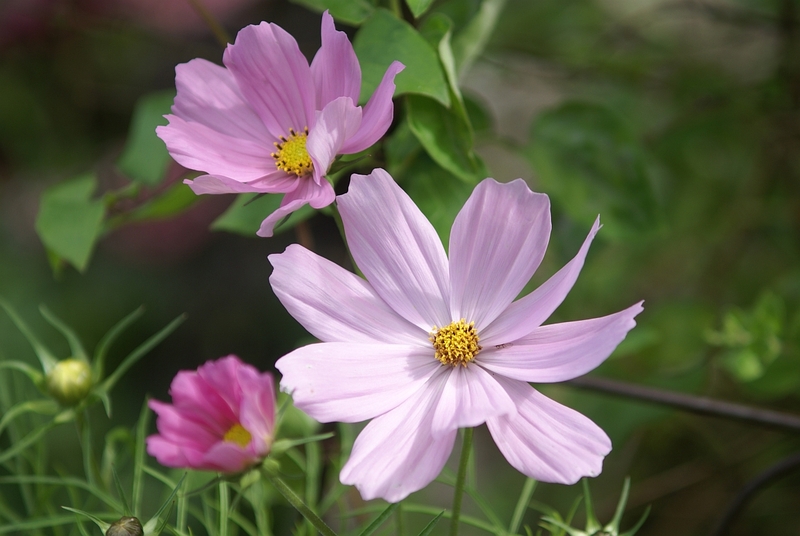 Save twice: first on your seed orders, and second on the flowers and vegetables you produce. The Local Classes are open to anyone living within 4 miles of Parwich and the Open Class are open to all. 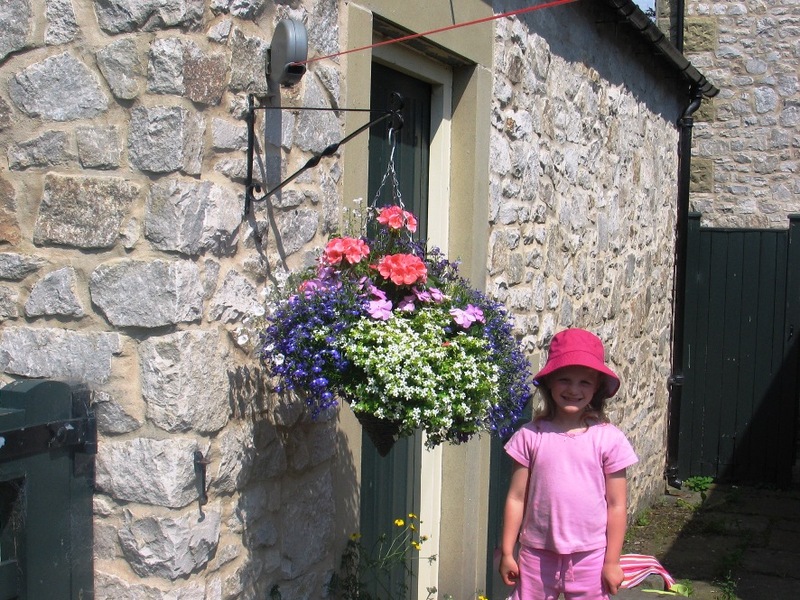 This year we revived our Hanging Basket Competition, which fell into abeyance some years ago. 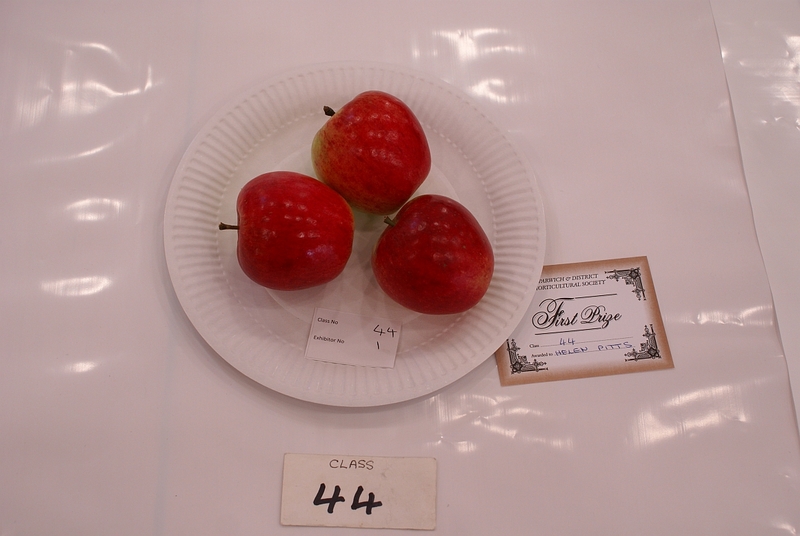 This was prompted by the donation of a Trophy to the Society in memory of the late Abel Shipley. Abel was born in 1915 at Warslow, but his family moved to The Croft in Parwich when he was three months old. He lived in Parwich the rest of his life, and retained an impressive memory of village affairs right up to his death. Many will have very fond memories of Abel. 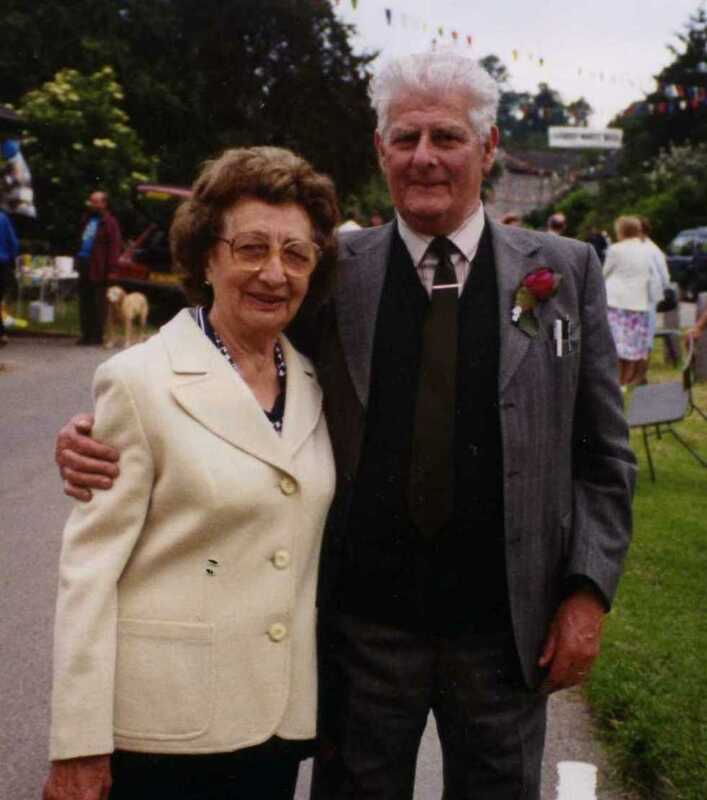 Abel was always happy to share his memories with any one who was interested, including the Local History Society and several times on the radio. 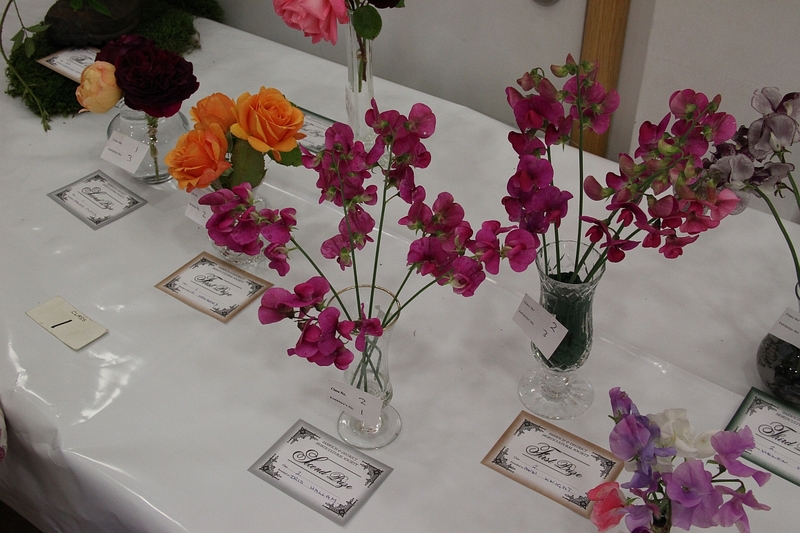 He was a founder member of the Parwich & District Horticultural Society when it started up after the first Annual Parwich Flower and Vegetable Show in 1951, and continued to be a keen exhibitor for many years. He had served on the Society’s Committee for a number of years and was made an Honorary Life Member in 1994. Abel worked first at Alsop Moor Quarry and then later at Ballidon Quarry when it started up after the Second World War. He was always an active member of the village and was Chair of Parwich Odd Fellows for several decades. 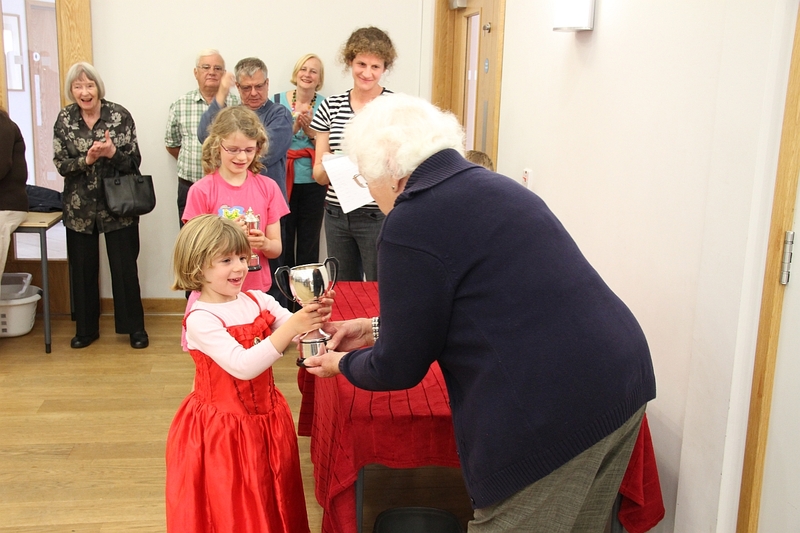 Abel’s widow Elisabeth and their daughter donated the Trophy to the Society and the hanging basket competition was restarted. 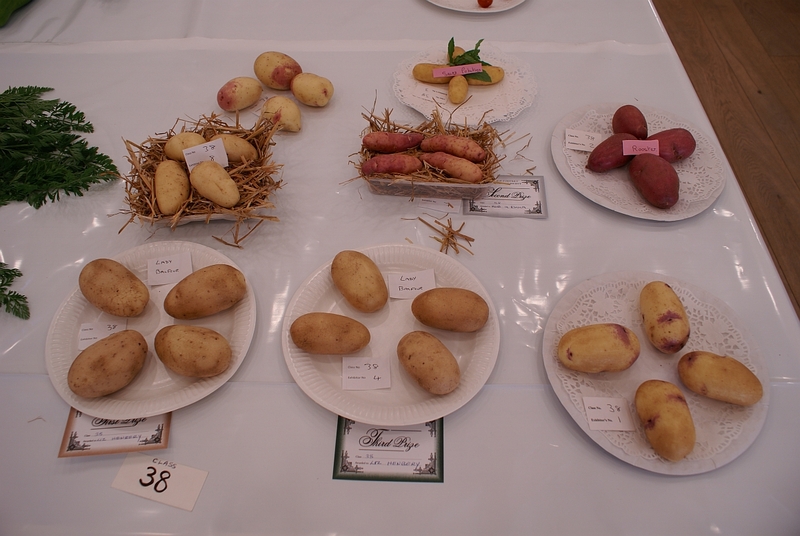 There was a good selection of entries, though unfortunately the fine display at the Sycamore Inn had to be excluded as they had been planted up by the competition’s judge, Sarah Rhodes of Leatherbritches Nursery, Fenny Bentley. 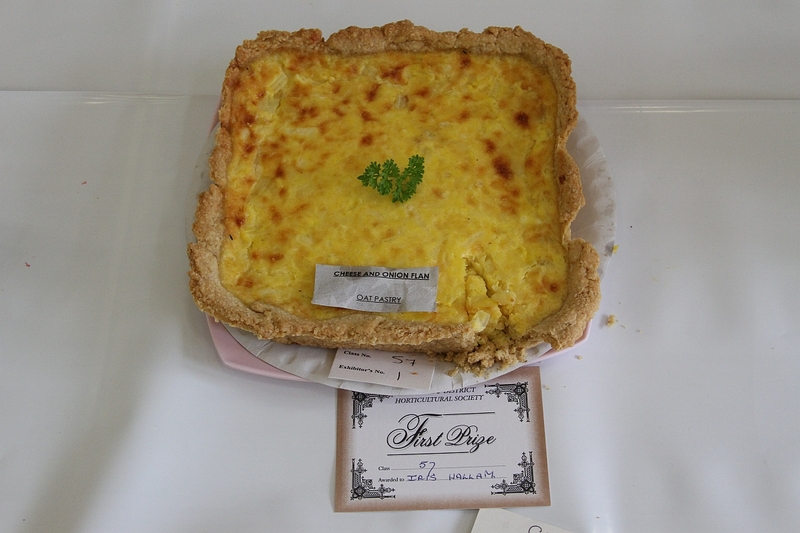 The trophy and first prize were awarded to Mr John (Jack) Cundy, with Mr Alan Oldfield as runner up. 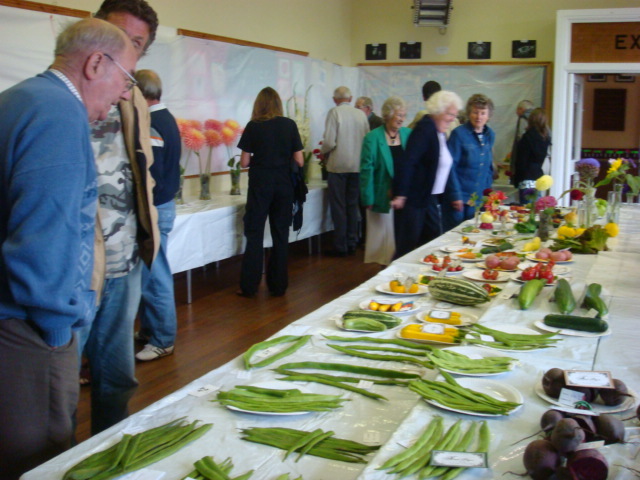 The Trophy and the cash prizes will be presented at the 58th Annual Parwich Flower and Vegetable Show on Sunday 7th September. More details can be seen on our pages here or by contacting our Secretary Mike H tel. 456. Those who have already filled in a form do not need to enter again. 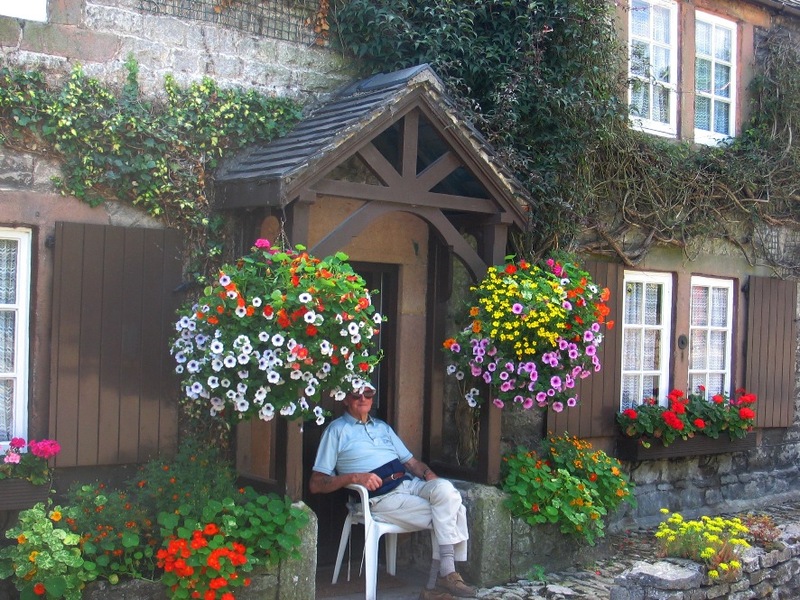 However, if you have not done so and have a hanging basket please think about entering it. Please let Peter (tel 287) or Mike (tel. 456) know about your basket by Sunday 21st July. 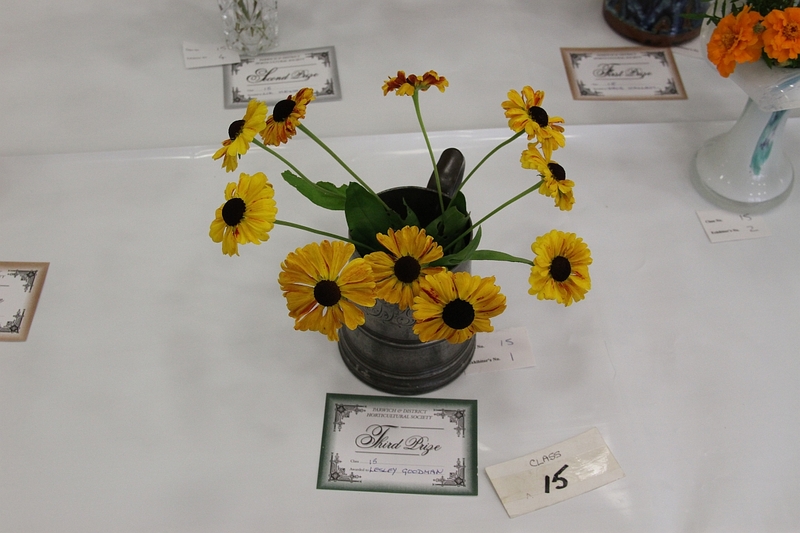 The results will be announced in early August and the Trophy will be presented at our annual Flower & Vegetable Show. Everyone will agree that this year’s event has been a great success. The weather was a welcome improvement on last year. This year 17 gardens were open. 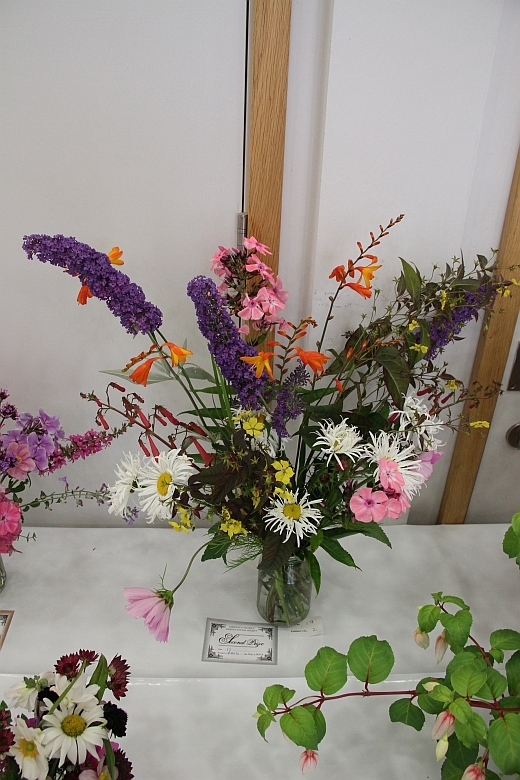 The Horticultural Society appreciates all the hard work involved in preparing your gardens and tidying up afterwards, in addition to the time taken on the day; so a very big thank you to all who opened their gardens. Also well done Dot; the day ran smoothly, as always. This is one of those great days in the year, like Wakes, when one is so glad to be part of such a marvelous community. As always there was nothing but praise for the gardens and for Parwich. Thank you to everyone who helped with the organisation. 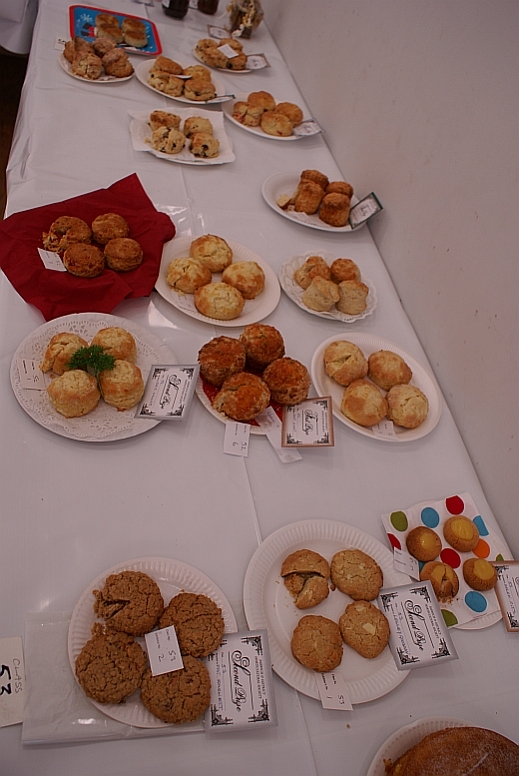 The cream teas, with scones and jam donated by villagers, as always was much enjoyed by all. 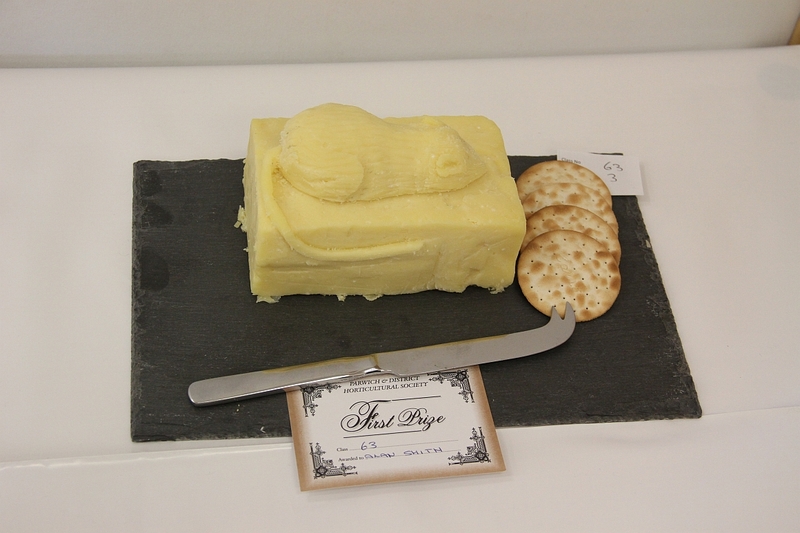 The milk and cream was supplied by Bostern Grange Farm. 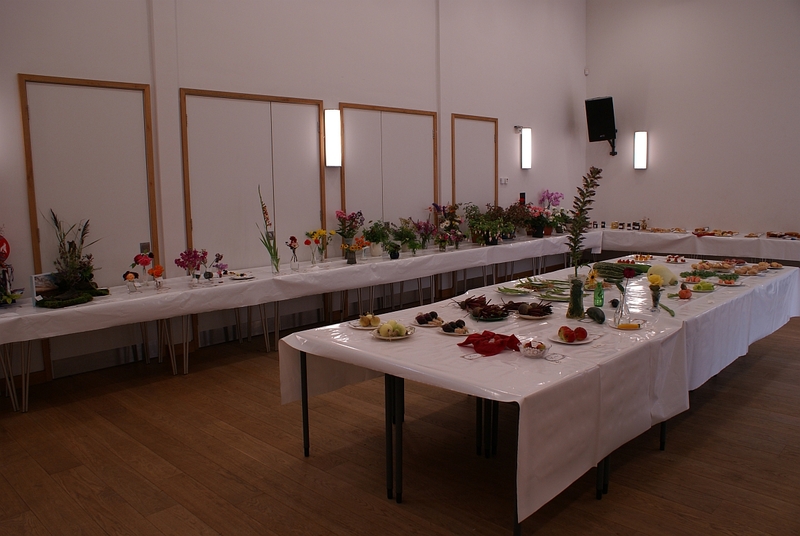 Freda and Sheila provided the flower arrangements that decorated the tea tables, and which make the hall so welcoming. 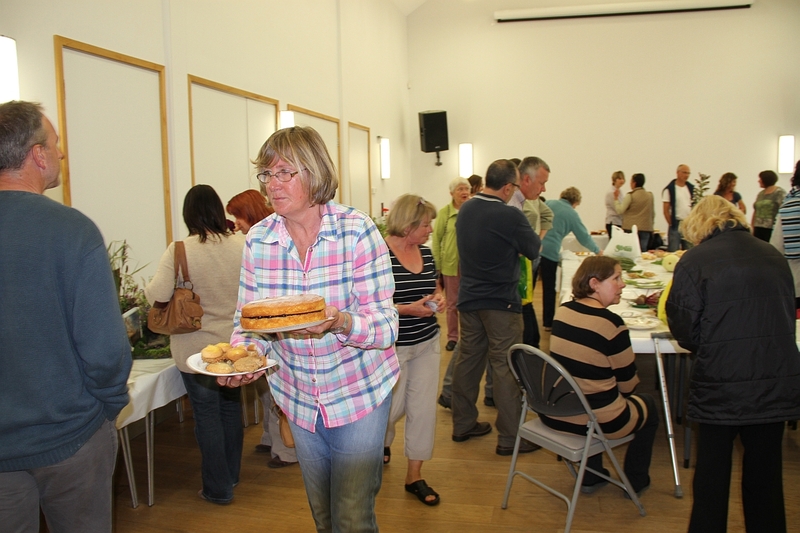 Thank you to Pat for organising the teas, and to all the volunteers who gave up their time to serve and wash-up. Special thanks to Ashbourne Band for enlivening the Green during the afternoon. 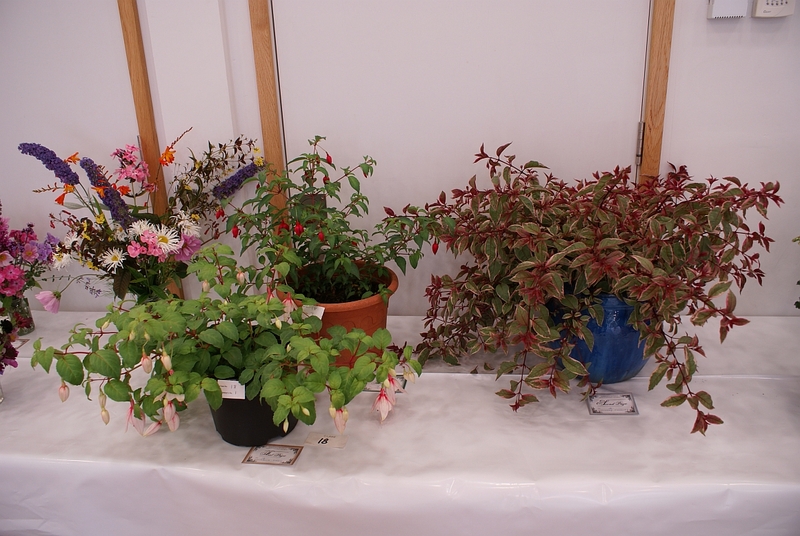 The Tombola and the plant plants stall were a great successwith takings well up on last year. 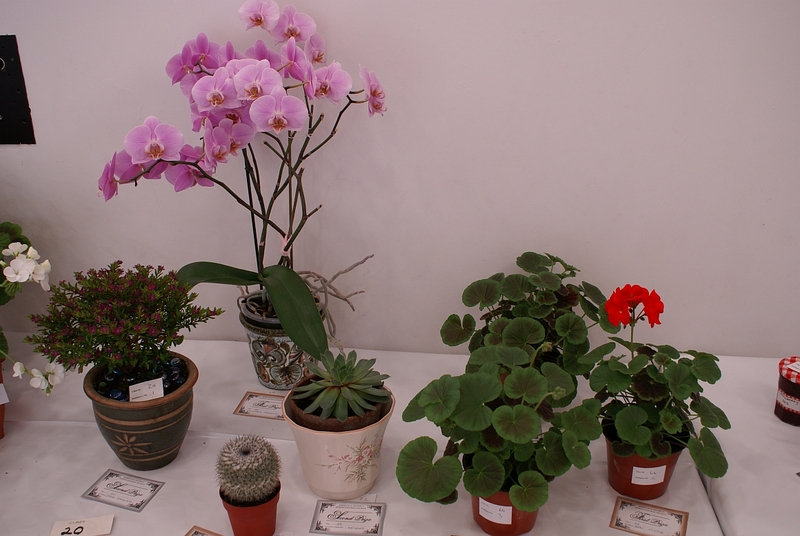 Thank you to all who donated plants (including Tissington and Wyaston Nurseries) and the Tombola prizes, and thank you to all who helped staff the stalls. After expenses we hope to have made around £800 on the day. 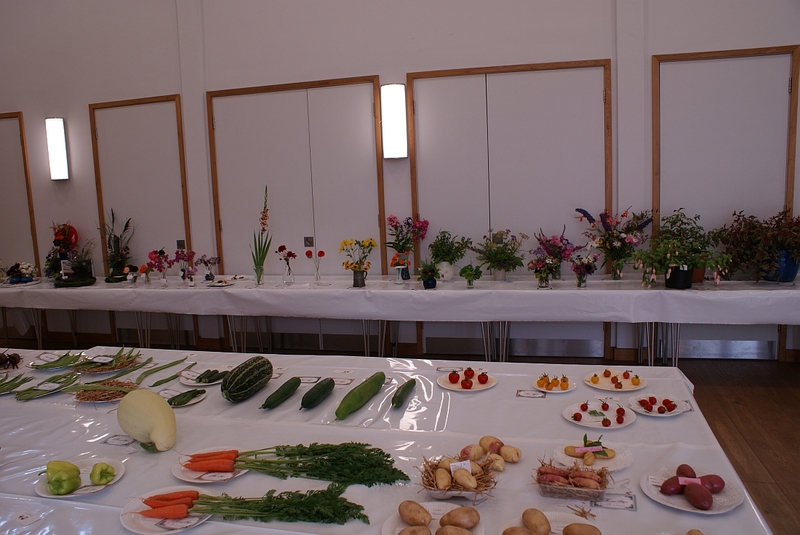 The money will be used to pay for the Children’s Horticultural Show and to underwrite the Main Flower and Vegetable Show in September. 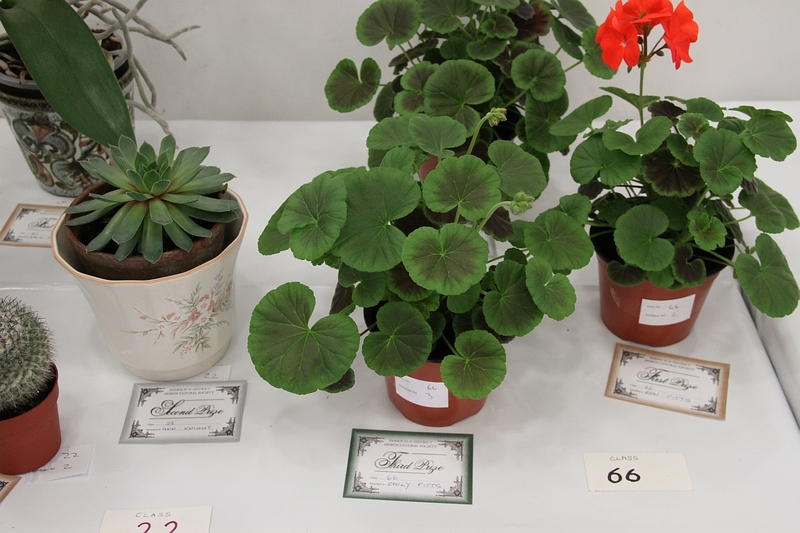 (Children don’t forget you can enter the geraniums again in the September Show.) With last year’s money we helped sponsor a film showing in the village, to support Stepping Stones (the local pre-school group) and contribute towards Parwich Primary School’s trip to the Gardens at Chatsworth. 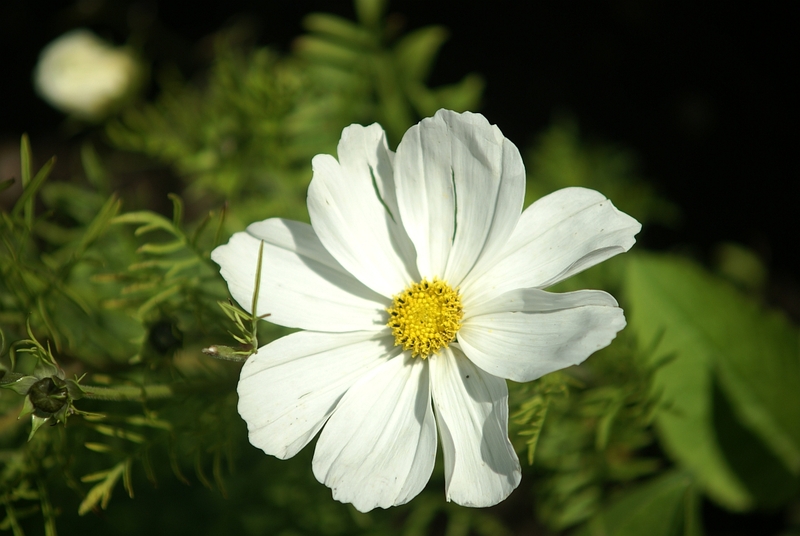 We will make decisions about what to support for this year’s money at the Horticultural Society’s AGM in November. Do come along to the meeting or let the Committee know if you have any ideas. This year there were some seven entries to the Scarecrow Competition. 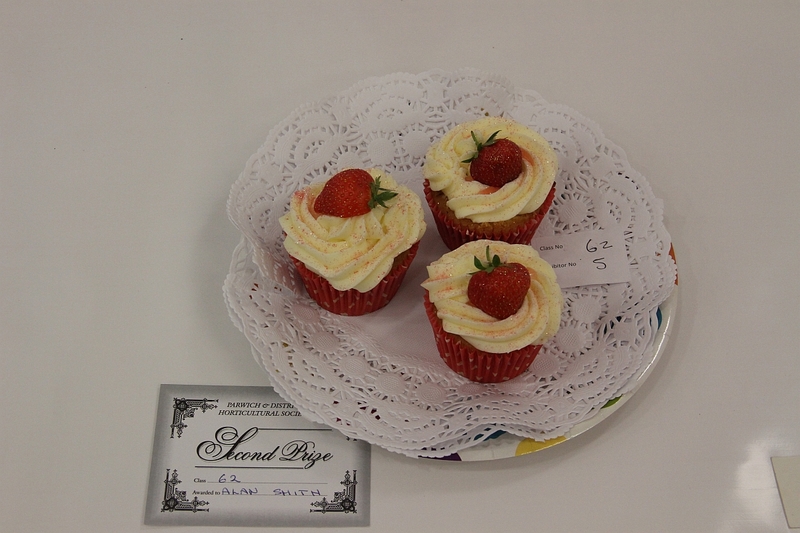 For those that did not get to see the entries, have a look at the earlier post. The first prize going to Parwich Under 5’s, also netting them the McCormick Trophy, for a splendid group of children playing under the supervision of a frighteningly realistic lady scarecrow. 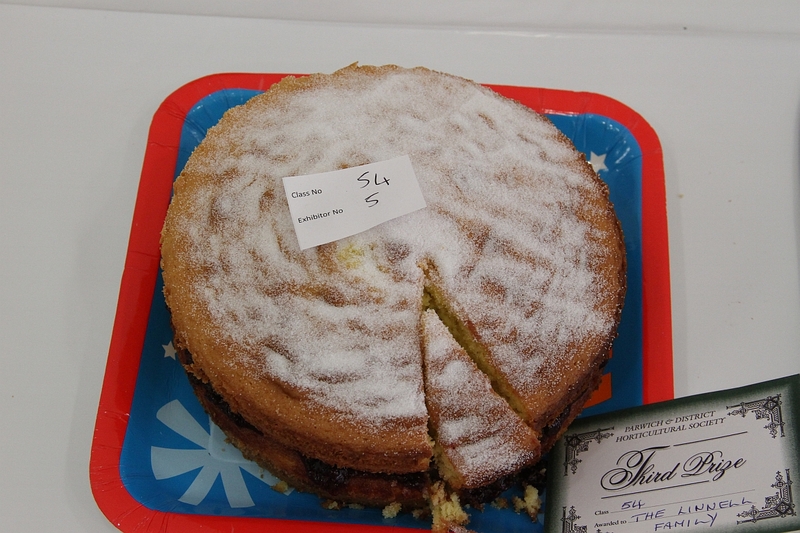 Second prize went to the Dickinson family, and third prize to Barbara E. Well done to all entries and thank you to Irene and Sandra for hot footing it around the village to undertake the difficult task of judging. 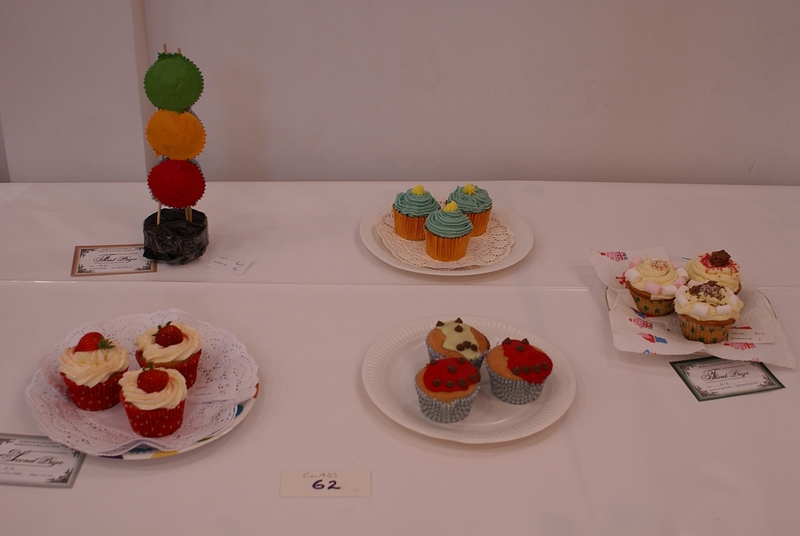 The entries for Parwich School Poster Competition were displayed on Sunday in the Memorial Hall. This year’s theme was ‘a Parwich garden’. 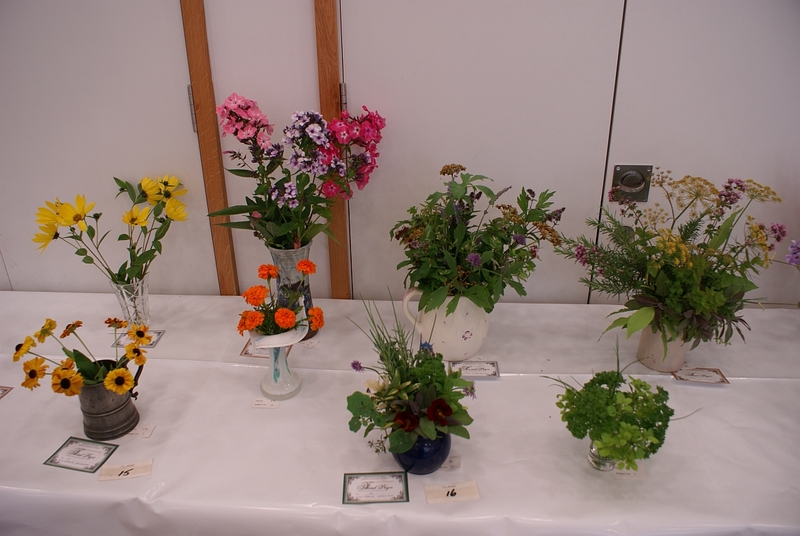 The entries were excellent, rivalling the real gardens for colour and profusion. 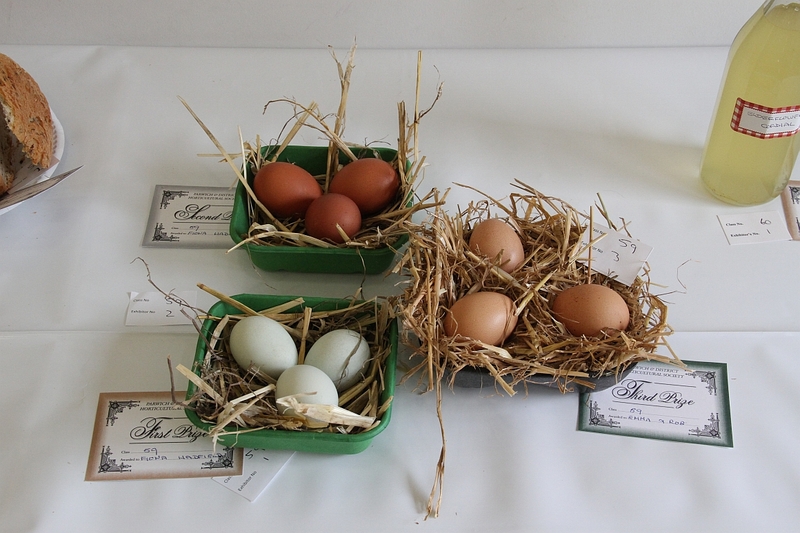 In the 7 yrs and under section first prize went to Lexie L, second to Lauren M and third to Jacob B. 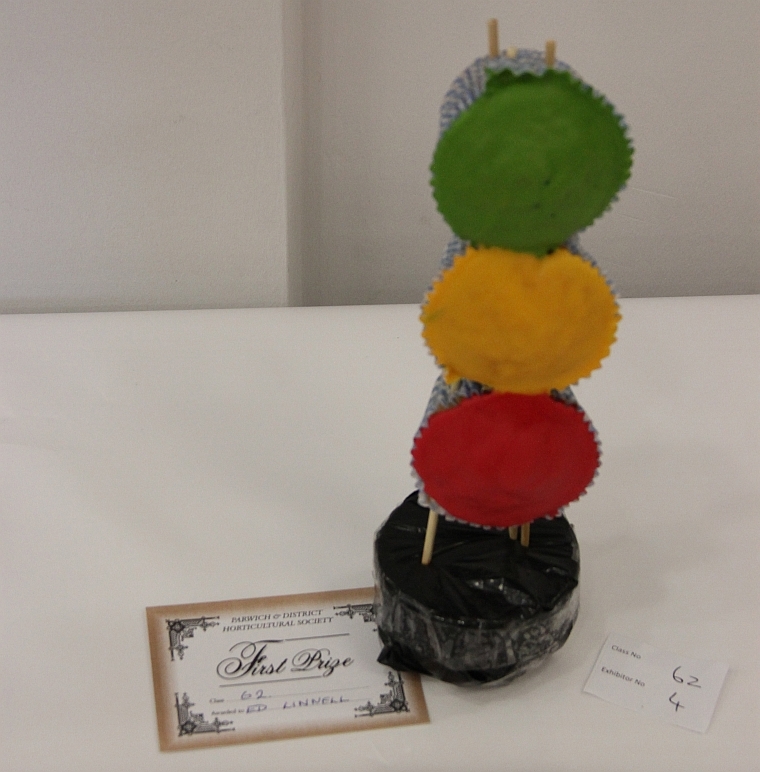 In the 8yrs and over section first prize went to Tamara D, second to Georgia G and third to Bertie L. Thank you to the School for supporting this, and to Carolyn, Ruby and Jean for judging it. 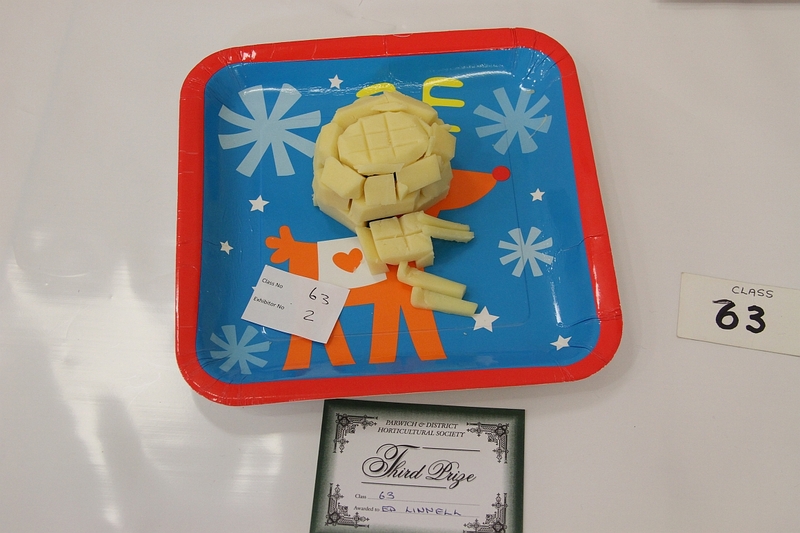 The Children’s Show was very well supported, with a most impressive range of entries. 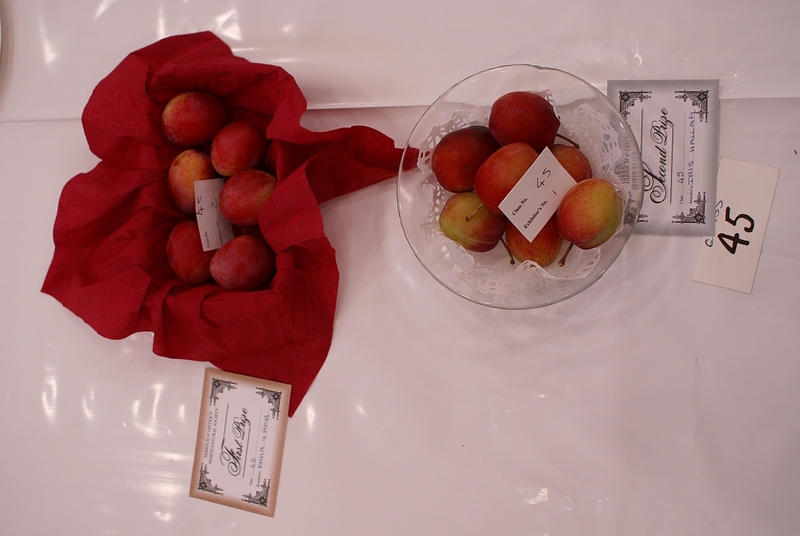 The Show tables and drawings as a whole are well worth visiting, with the miniature gardens and animals made out of fruit and vegetables being of an exceptionally high standard. Well done to all who entered. If possible the standard was even higher than last year, perhaps helped by a very wet Saturday, keeping the children indoors. 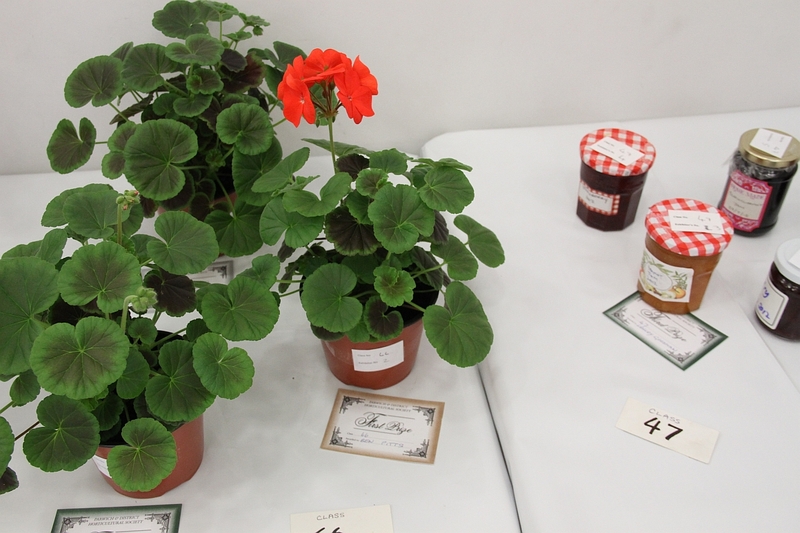 Thank you to Alan for judging the geraniums, which this year were supplied by Wyaston Nursery, and to Rita for judging the rest. 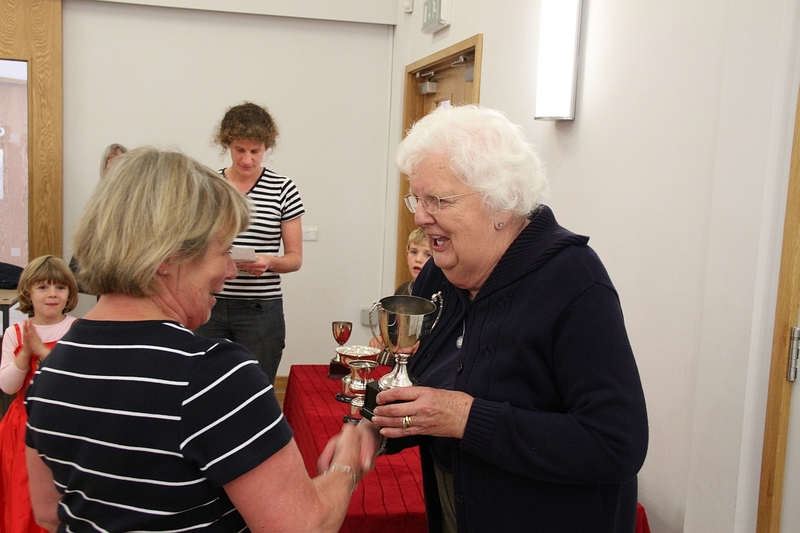 Also a particular thank you to Ann for ensuring the smooth and impartial running of the Show and to Flo for all the recording and tallying of results and points. 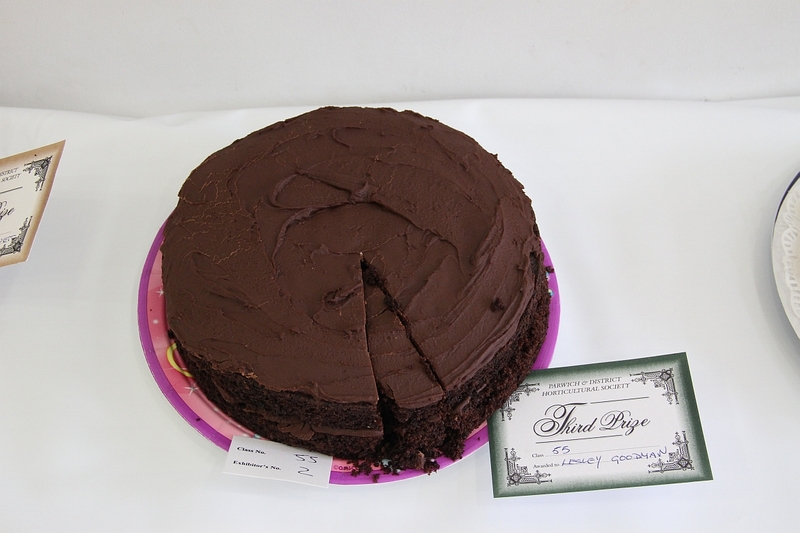 A good range of children won prizes in each class, with one outstandingly successful entrant in the 7yrs and under (it is just as well the judge does not know whose entry is which). It was heartening also to see more children entering the 12 to 16yr age group, this year; let’s hope the trend continues. 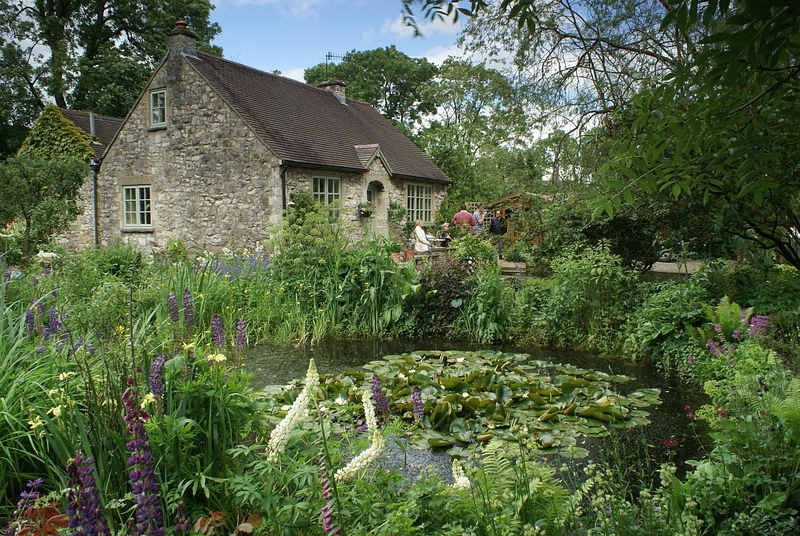 The gardens of Parwich are open to the public on the afternoon of Sunday 22nd June. 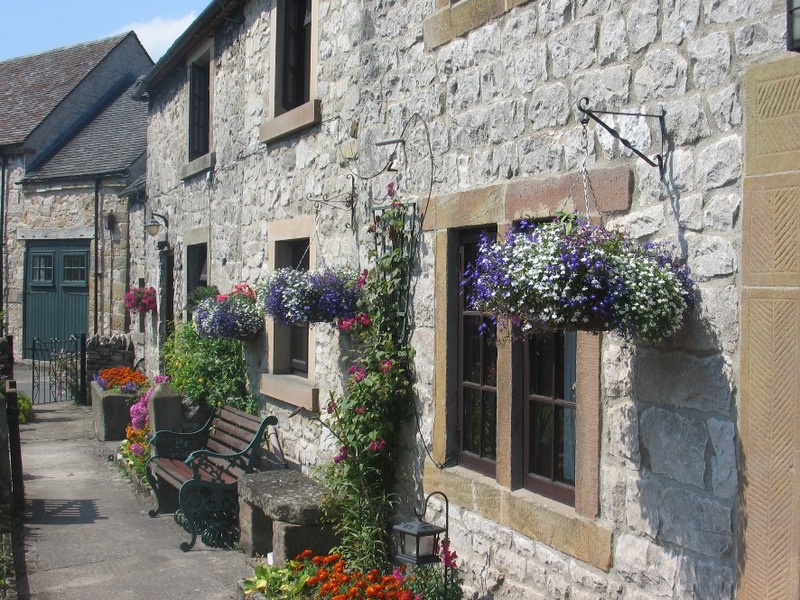 This is an opportunity to visit fifteen or so private gardens in this beautiful village. 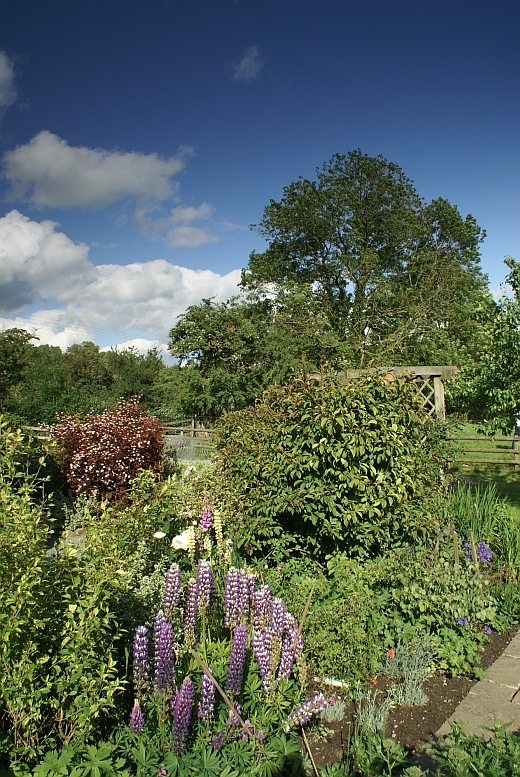 The gardens open range from the extensive grounds of Parwich Hall to more intimate cottage gardens. 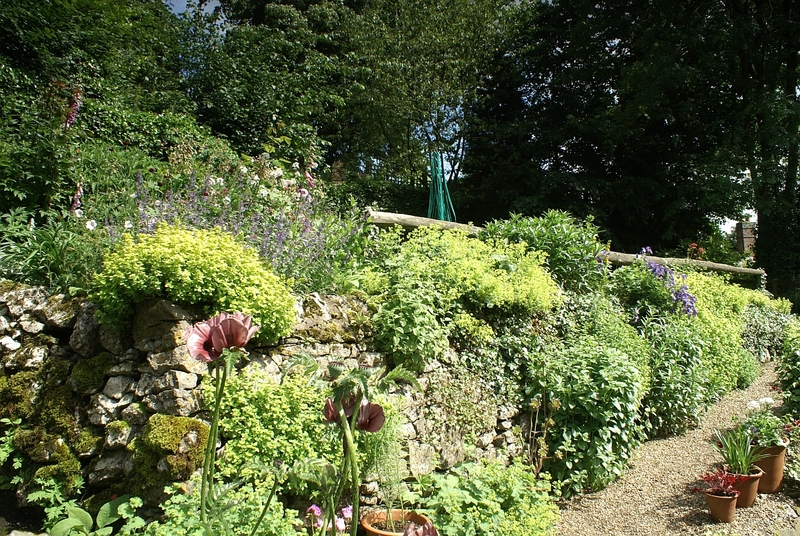 Dot Hart, Open Gardens Organiser, says, “The Open Gardens give people a chance to see a different side of Parwich village: to see behind the walls and hedges. Many people come back year after year.” For those who have not been before this is well worth a visit. 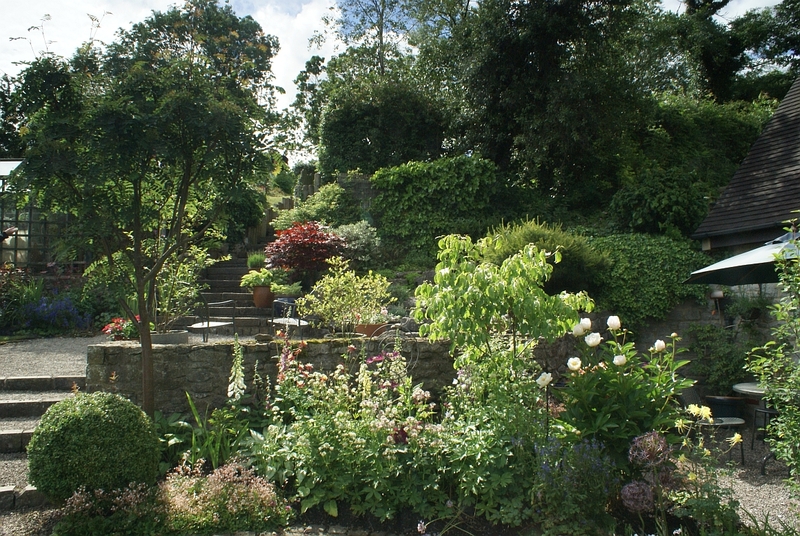 As well as many of the regular gardens, there are a couple that have not been seen for a number of years, including 6 Church Walk that has been extensively redesigned. Scattered along the garden route will be a number of scarecrows, entries in the Scarecrow Competition. 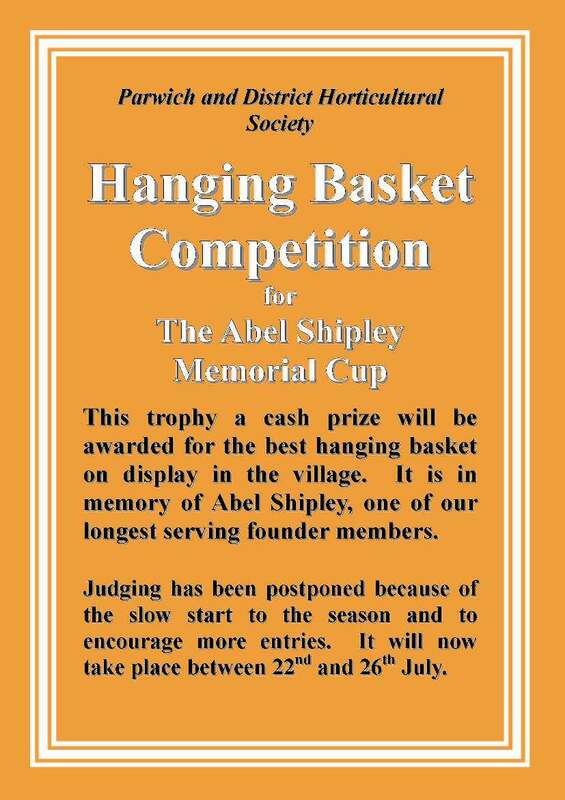 Also this year the Horticultural Society hopes there will be more hanging baskets than usual, as villagers are also competing for the Abel Shipley Memorial Trophy. Donated by his widow and daughter, this trophy commemorates Abel, who was one of our founder members, back when the Society got going in 1952. 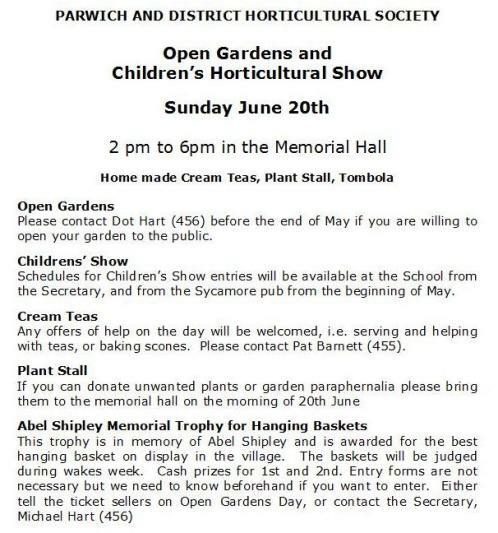 The Children’s Show takes place in Parwich Memorial Hall, where you can purchase tickets for the gardens and sample locally made cream teas, organised by Pat Barnett. 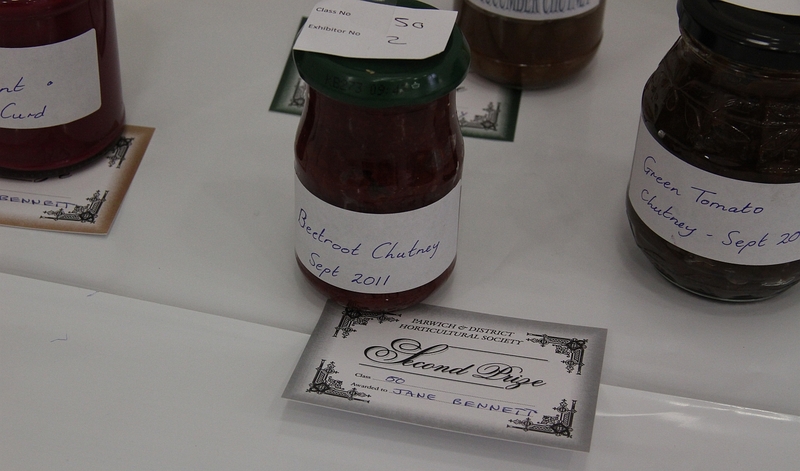 The homemade scones and jam are donated by villagers, with the milk and cream from Bostern Grange Farm at Thorpe. Also there will be a Tombola and a plant stall, with plants grown by the villagers along with plants donated by Leatherbritches Nursery at Fenny Bentley and Tissington Nursery. 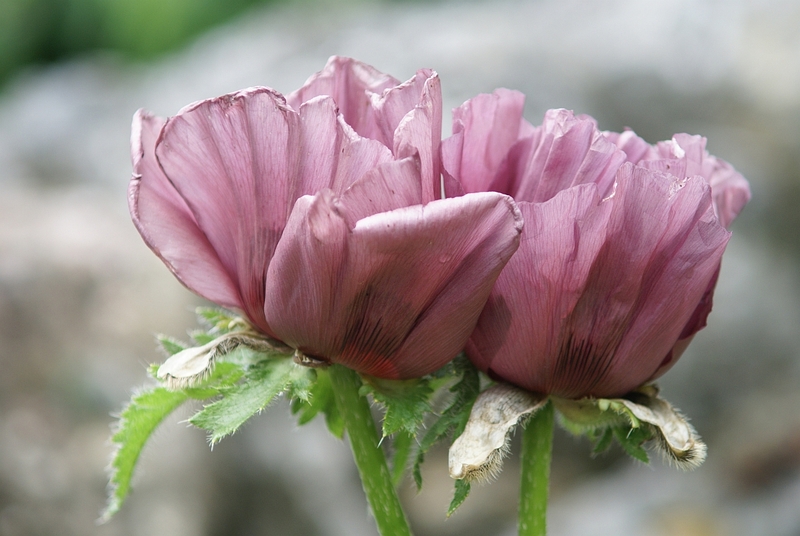 Firstly, here is a reminder for the Horticultural Society trips planned for this summer; non-members are welcome, though if they are oversubscribed members will be given priority. Also don’t forget that the Society’s two season tickets for Lea Gardensare available to members (contact Peter Trewhitt tel. 287). 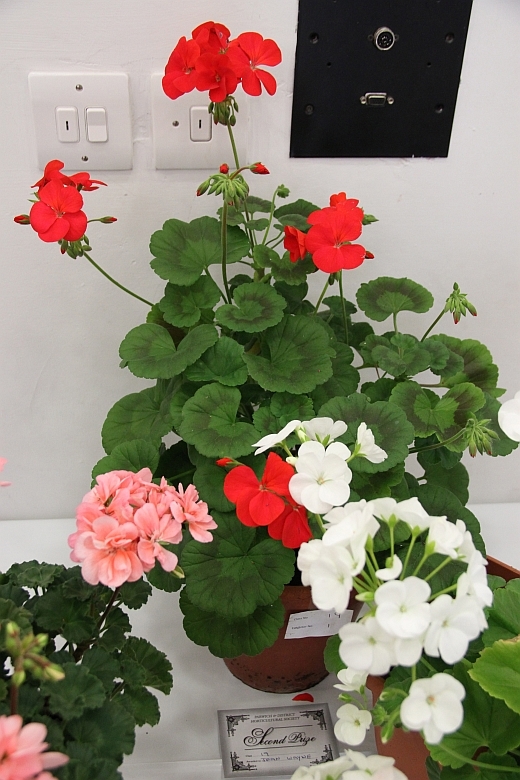 The School geraniums will be given out at the end of lessons on Friday 25th April, and we hope that this year Stepping Stones will also be included. 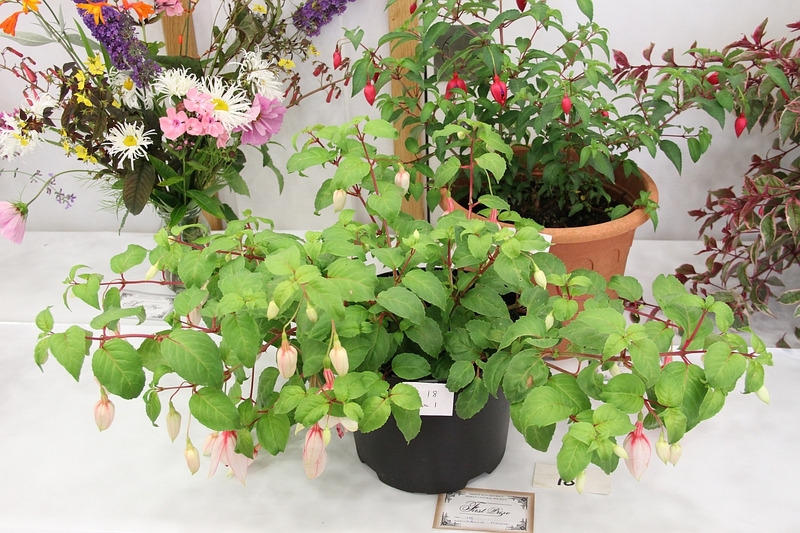 Next year we are thinking about using a different plant; does anyone have any suggestions for a suitable plant that the children can bring on into flower, starting after Easter, in time for the Show in late June. 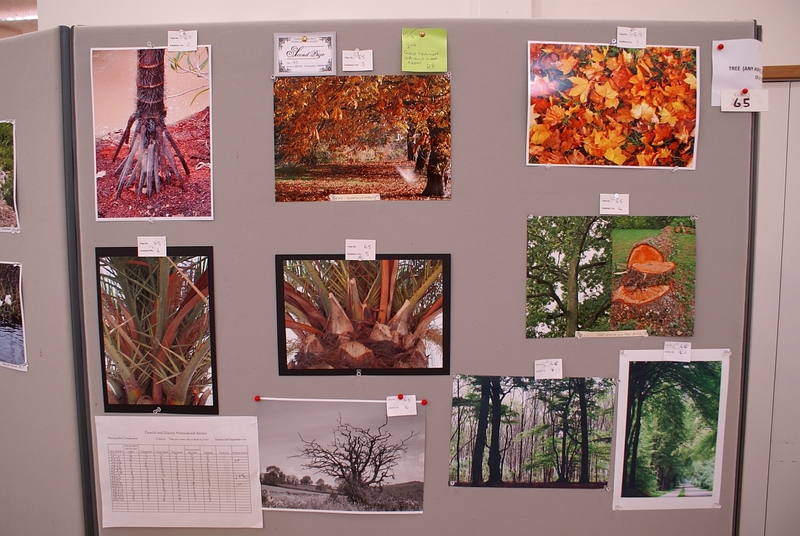 The School Poster Competition (dates to announced through the School) will be a picture of ‘A Garden’. 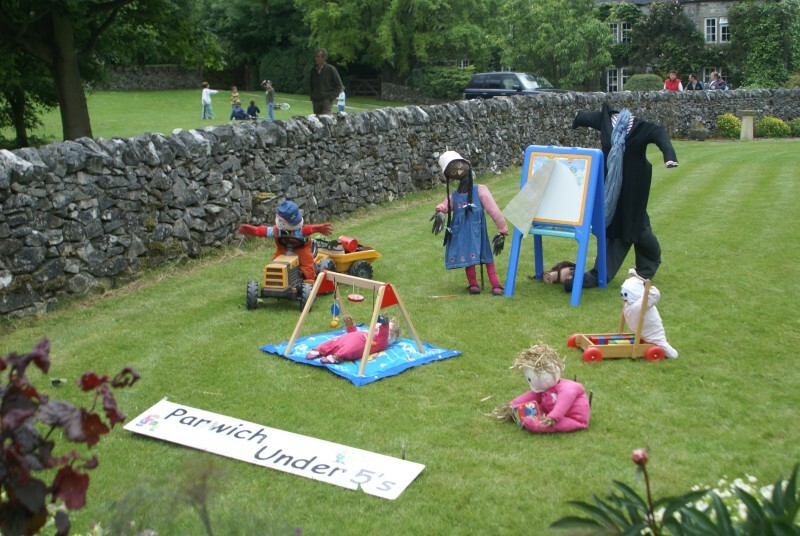 Again there will be a scarecrow competition on the Open Gardens & Children’s Show day, 22nd June, so start thinking ahead. All can enter, but you need to let us know about your scarecrow at the Hall by midday on the day if you are to be included in the judging. 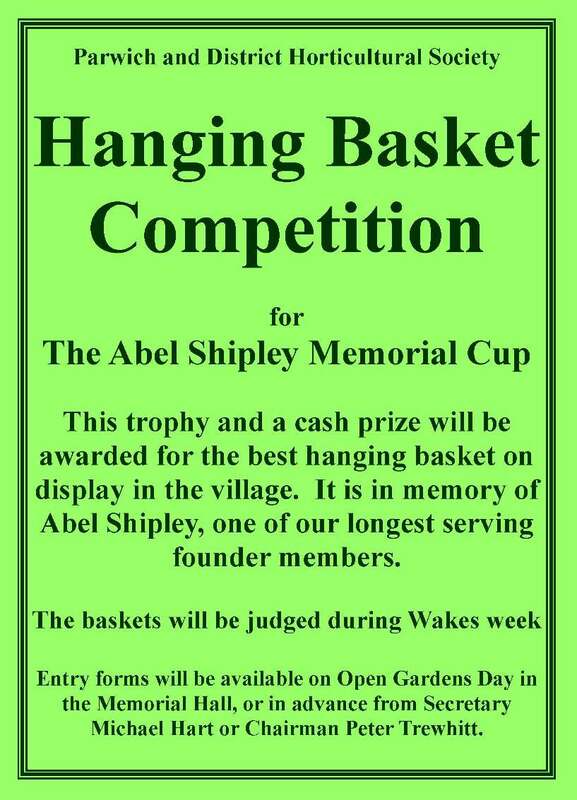 This year we are reinstating a hanging basket competition, entries will be competing for the new Abel Shipley Memorial Trophy. 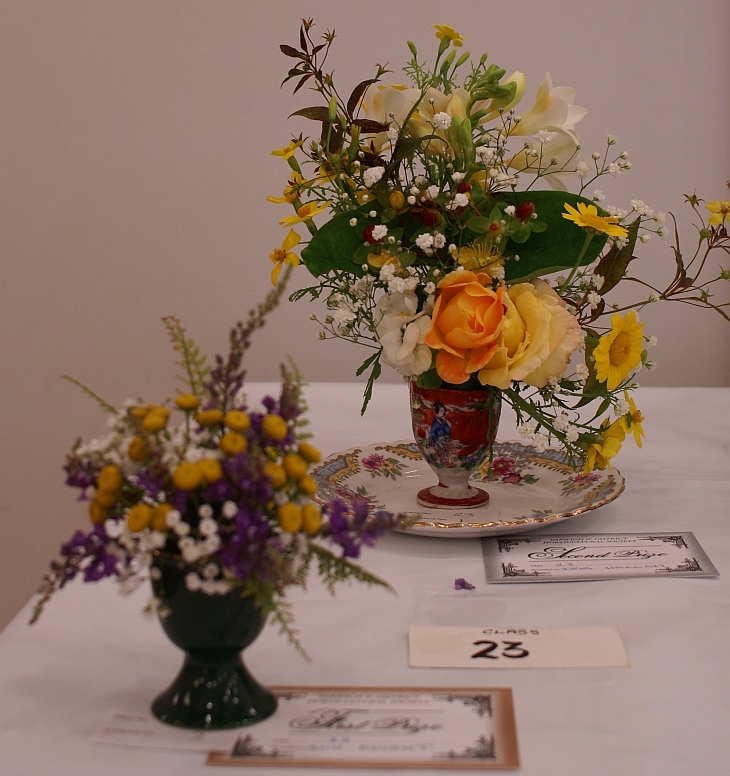 You will need to let us know about your basket(s) on Sunday 22nd of June at the Hall, and judging will take place sometime during Wakes Week. 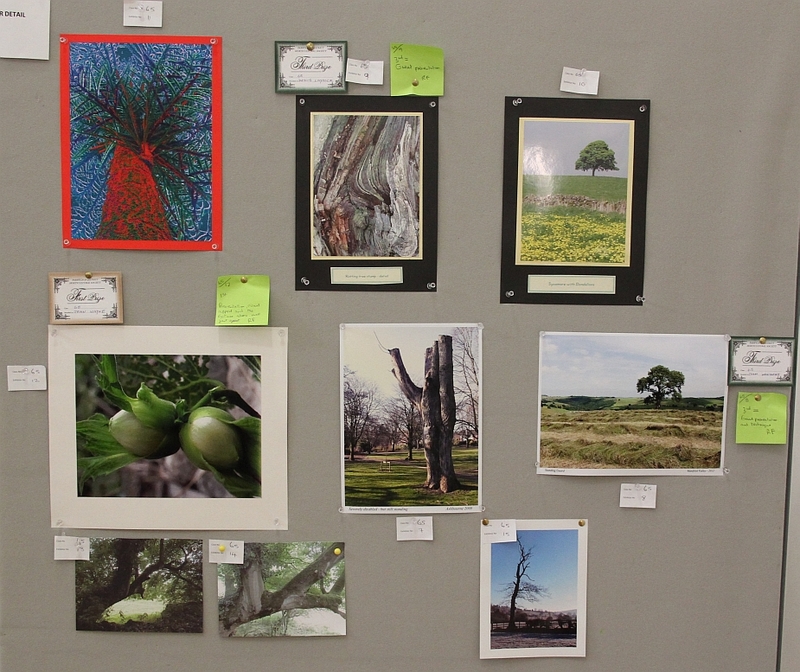 In the Children’s Show itself, this year the painting will be of ‘A Tree’ open to all children up to 16yrs, and the ‘Decorate a …’ class will be ‘Decorate a potato’, otherwise the other classes remain the same. A full schedule will be posted on our pages near the time. As surfers will see we have a good program for the coming year. We would particularly like to thank the family of Abel Shipley for offering to donate a Trophy to the Society in his memory. 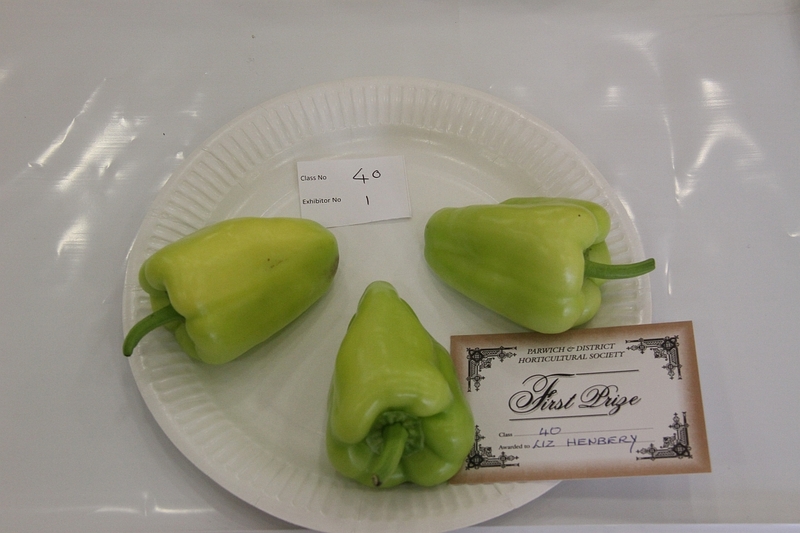 Abel was keen gardener and an active member of the Society from its foundation in 1952. 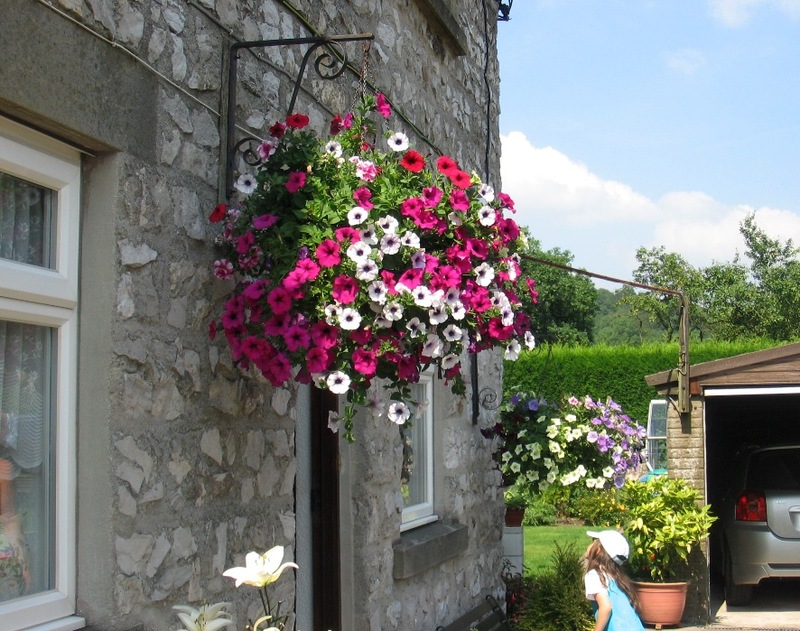 The new Trophy will be awarded for the best hanging basket in the Village. 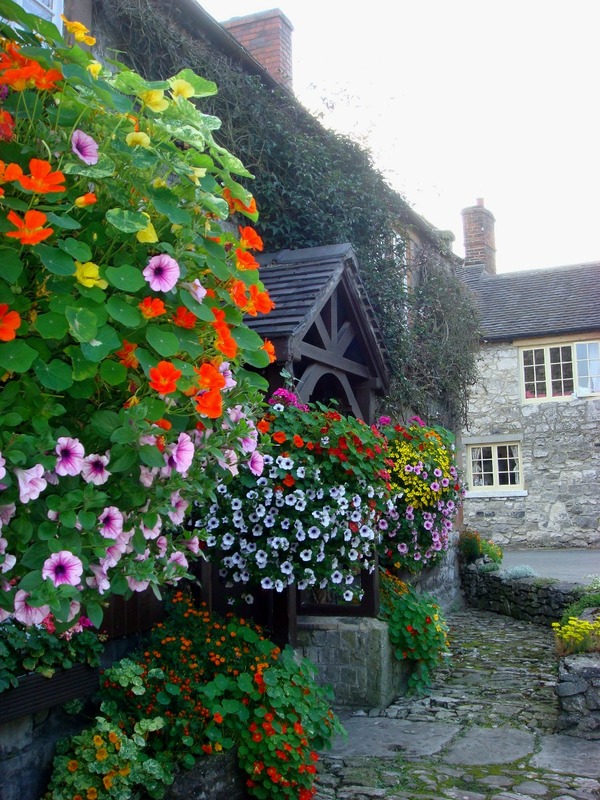 Now is the time to start planning your hanging baskets (Note, Sarah Rhodes is giving a timely talk to Parwich WI on “Planting Summer Containers” on Thursday 17th April at 7-30pm in the Memorial Hall). 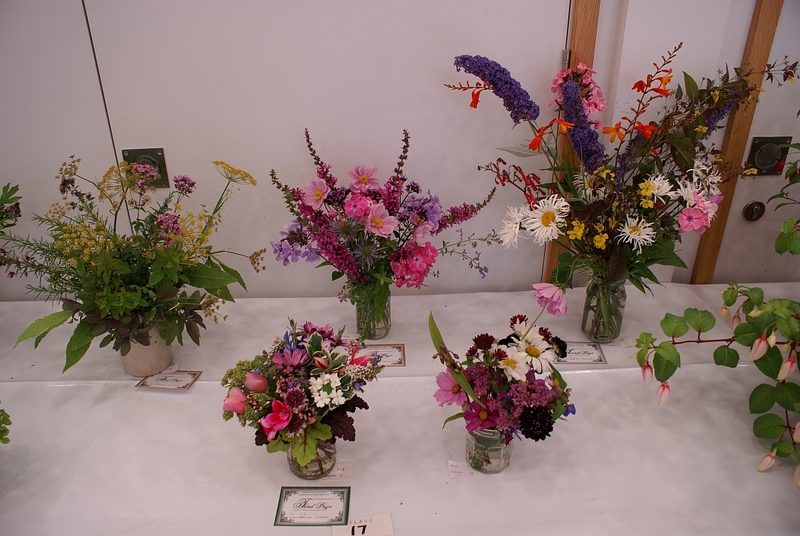 You will need to notify us of any baskets you are entering on the Open Gardens Day (Sunday 22nd June) and judging will take place during Wakes Week. We are continuing to maintain the boarder behind the commemorative plaque at Nether Green. Pat Barnett is to organize us on this, and we hope to have a couple of work days later in the year. 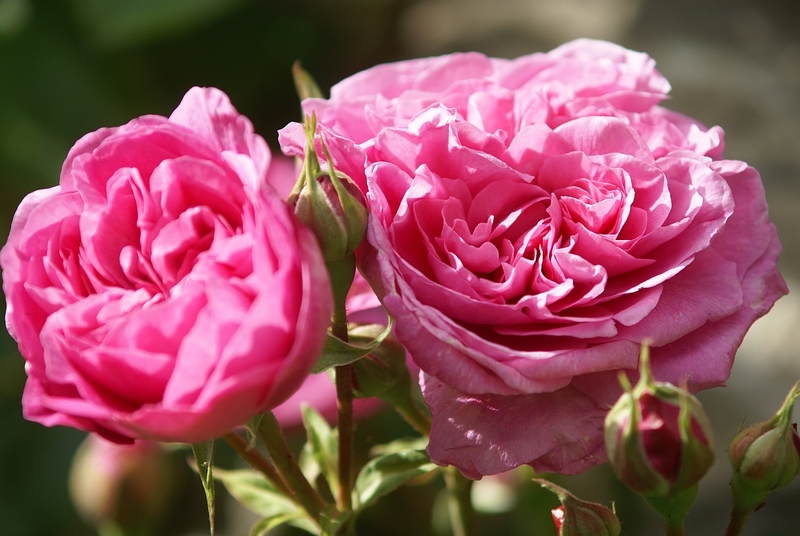 Although the spring bulbs do well and the roses are establishing well, we would welcome any suggestions for more colour in the boarder. Again we have two season tickets for Lea Rhododendron Gardens that are available for use by members(note, our membership is £2 per year, entry to the Gardens is £3). There are a surprising number of rhododendrons and azaleas out already, and the Gardens, nursery and tea rooms are open every day up to the end of June. If you want to reserve the tickets for a particular day just let me know, they will be leant out on a first come first serve basis. Also the Society is dipping its toe into the era of electronic communication. 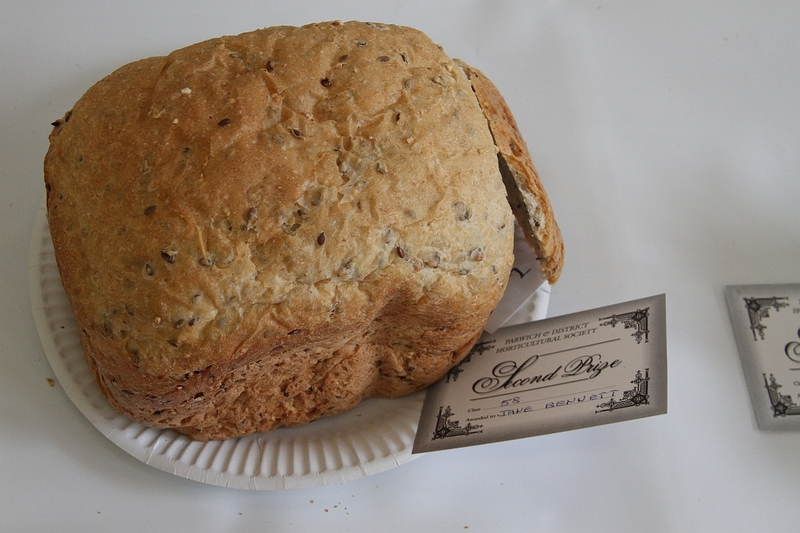 We have put several trial web-pages on-line at the new village website (www.parwich.org) set up by the Memorial Hall Committee, and we would welcome any thoughts or comments on their usefulness. To get to the Society’s pages click on our name under the Directory for ‘local groups and organizations’. Again we have had a successful year. Thank you to the Committee for their support through out the year. A particular thanks to Alan Oldfield who is stepping down from the Committee. 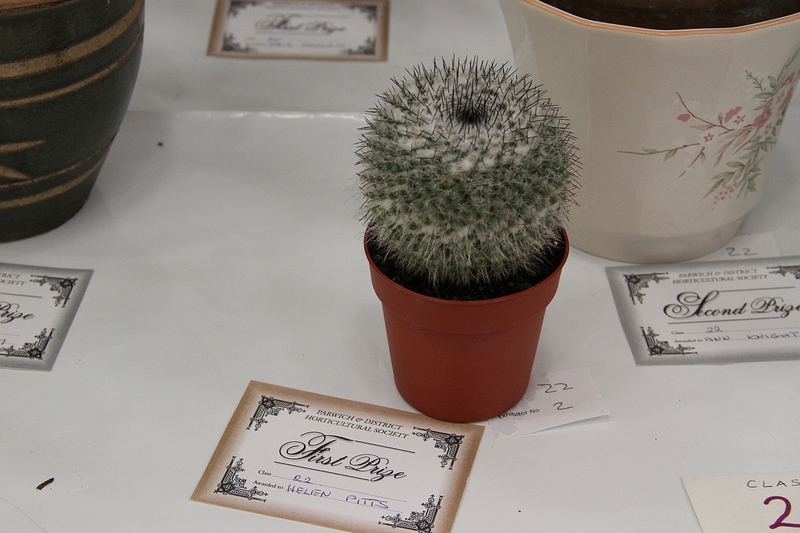 Alan has been a keen local exhibitor since the early 1960s, and has served on the Committee continuously for well over twenty years. 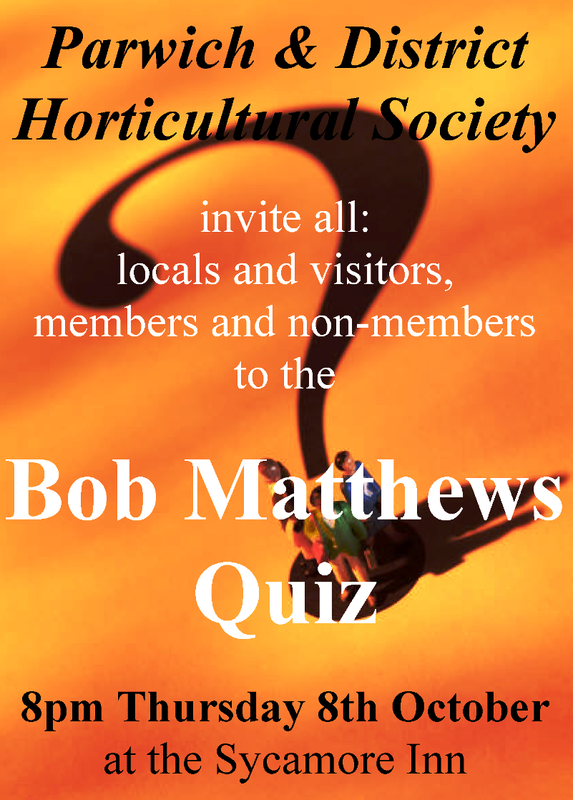 Alan will continue to be involved in the Society and is happy for any members to call round to discuss staging show exhibits, maters horticultural or just to help put the world to rights. 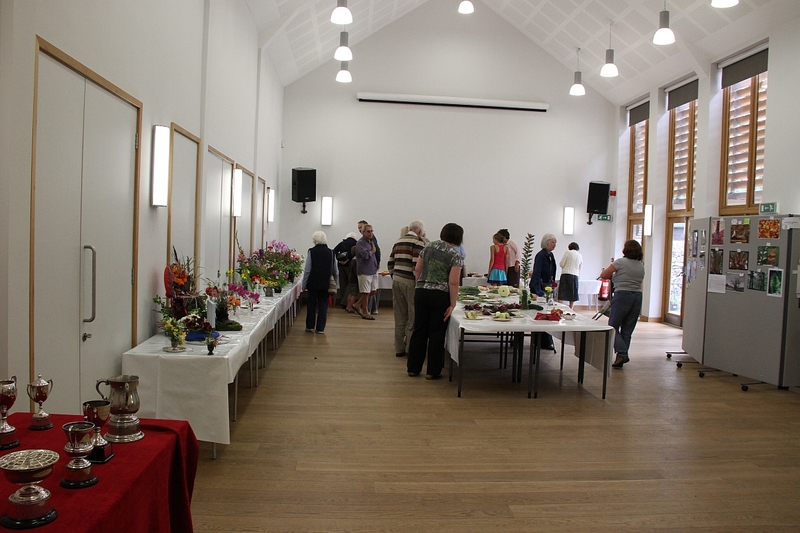 The Children’s Show and Open Gardens, despite the rain, attracted a good number of visitors, ran very smoothly, and made a very satisfactory profit. 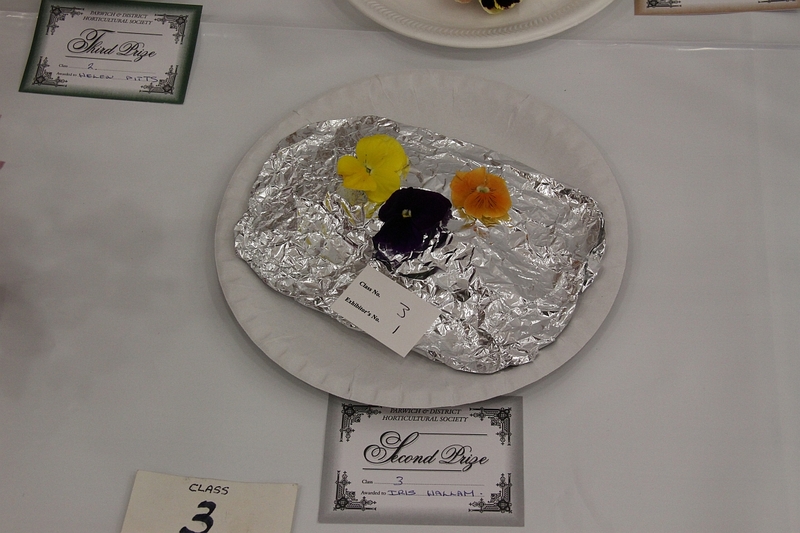 As always entries in the children’s show were of a very high standard. Thank you to all who opened their gardens and all who worked so hard to make the day a success. 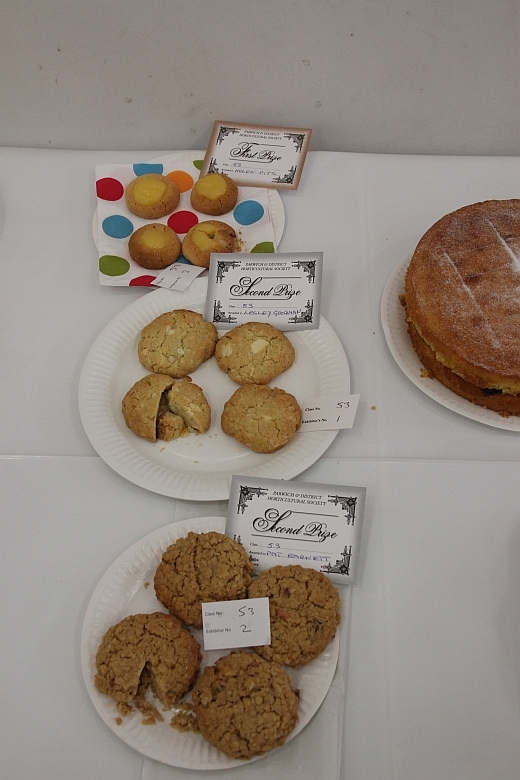 The Main September Show was also well supported and did not lose money, which is always a bonus when it happens. Thank you again to all who worked so hard setting up andon the day. 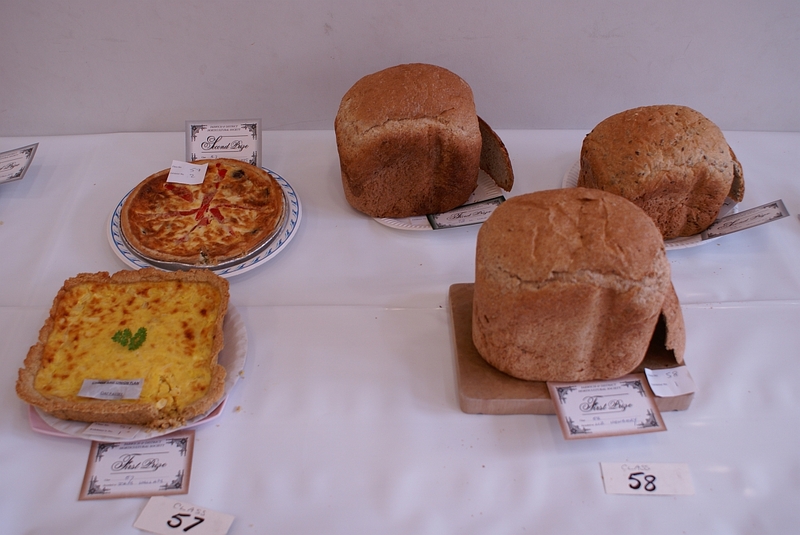 Local entries were up with some strong new competitors, well done to our local growers. Of the new trophies the Dorothy FodenTrophy for the home produce section again was hotly competed, but unfortunately the Ambrose Wilton Cup was not awarded this year because there were no entries in the Open Vegetable Section. 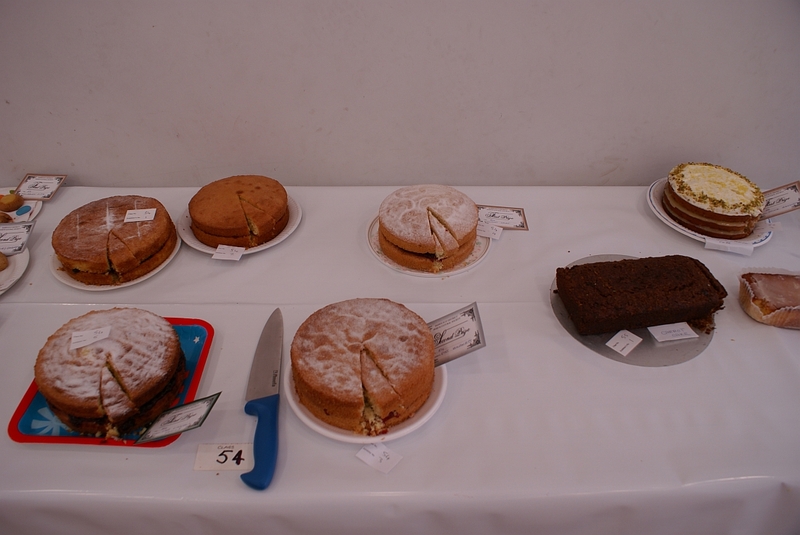 This was in part due to our regular entrants from outside the village having less to show because of a poor season, but there have been low levels of entries over a number of years. Perhaps we can all think about the best way forward with this section. 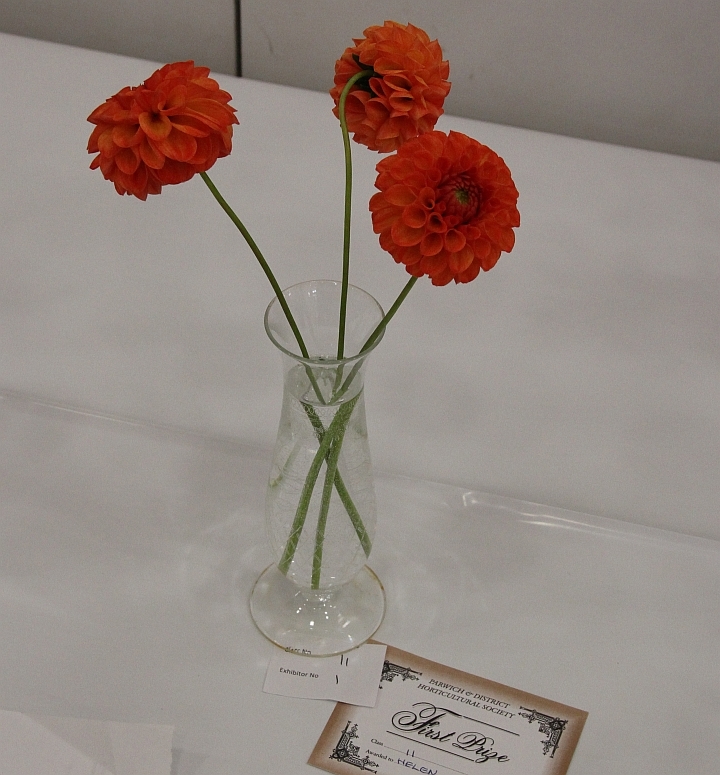 The open dahlia and chrysanthemum sections continue to be an important part of the show, though we watch the levels of entries in future years, as they were down slightly on previous years. Also thank you to everyone who stayed on for the auction. 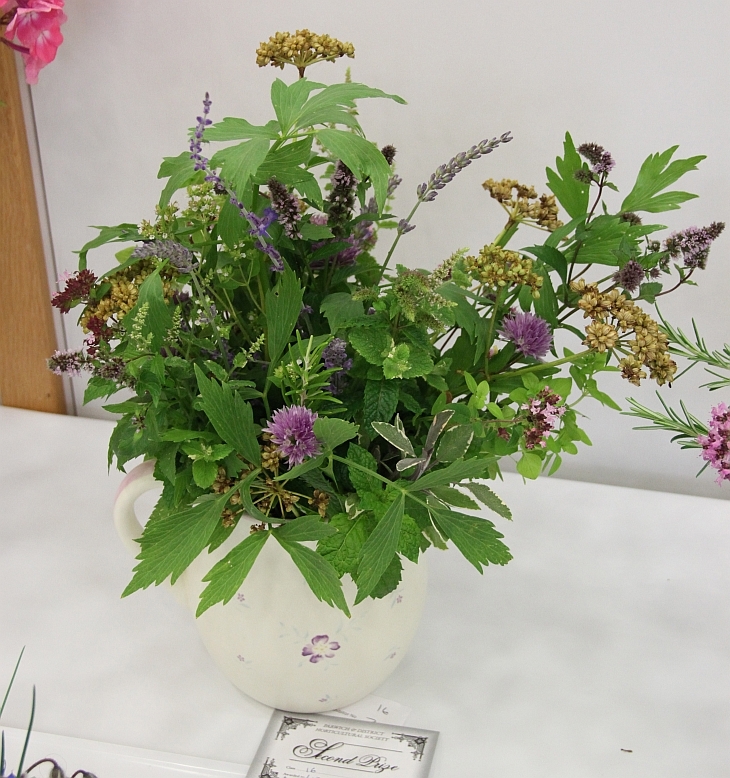 We have continued to organise other events, including a fascinating talk on hanging baskets by Sarah Rhodes and another on herbs. 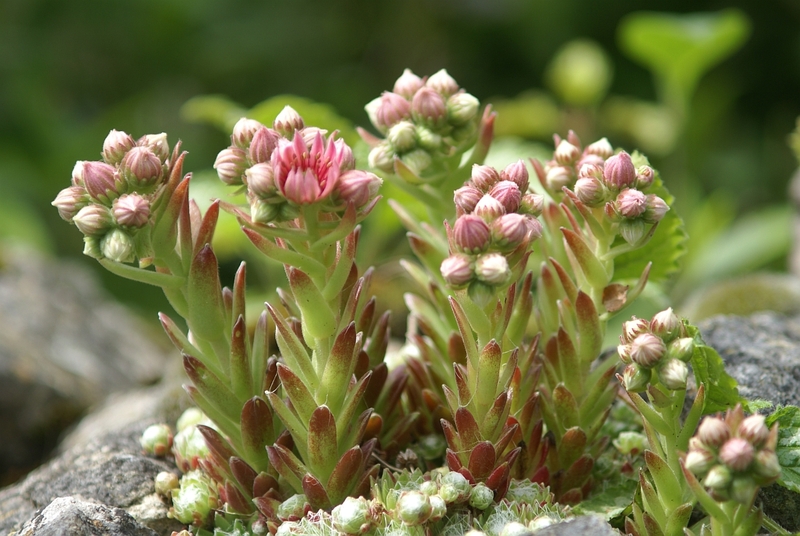 Our season of talks is not over as on Tuesday the 27th of November we have my talk on ‘Plants of Antarctica and Patagonia’. I should have known better than to joke about giving a talk on the flowers of Antarctica. 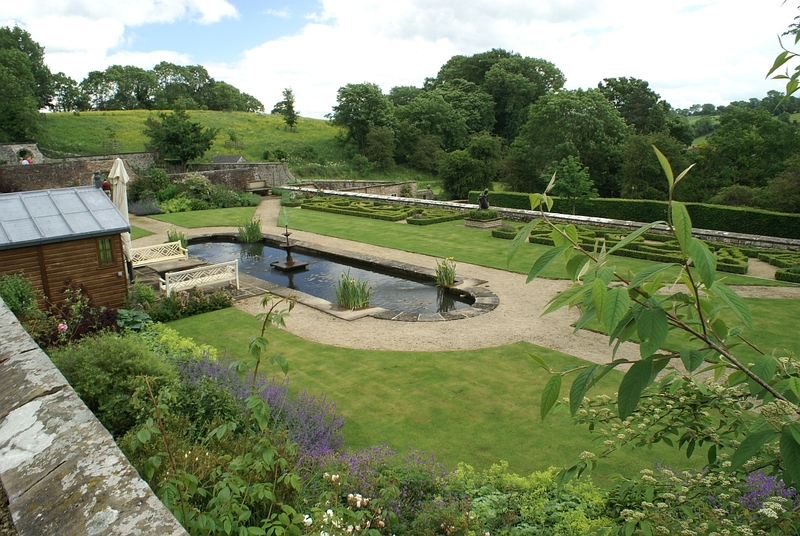 The visit to RenishawHall was also enjoyed by all who went. 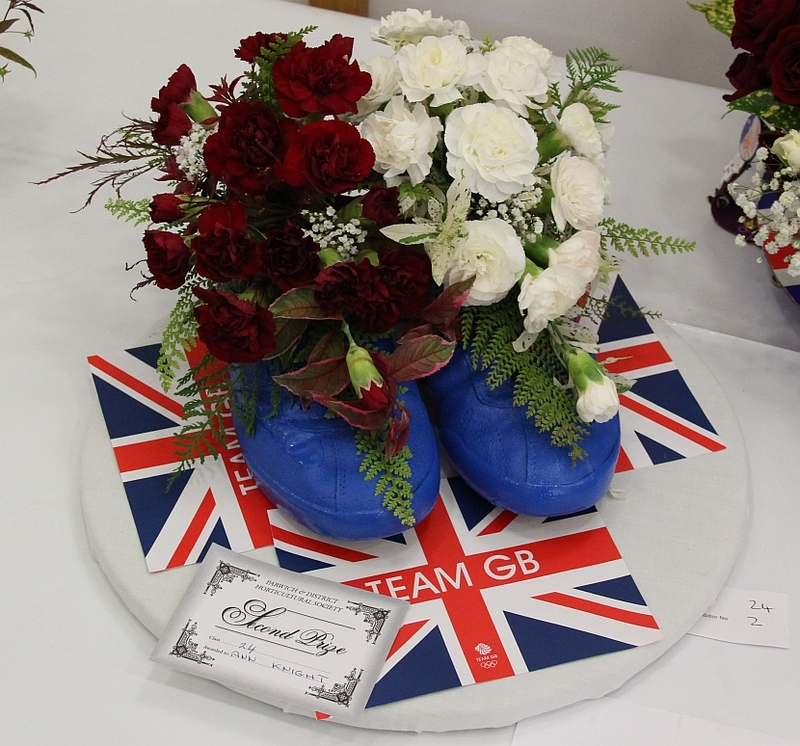 A particular thanks to Dot Hart for all the work she does behind the scenes to ensure the success of these events. Also congratulations to Parwich WI for organising the talk on Joseph Paxton in September, I enjoyed it immensely, though perhaps they should organise another on Mrs Paxton, who given her husband’s numerous projects elsewhere must talk a lot of the credit for implanting his plans a Chatsworth. Bill Whitfield as ever efficiently organised the Bob Matthews Quiz, which was well supported. For me it was one of the highlights of our year, especially as I could just sit back and enjoy taking part. 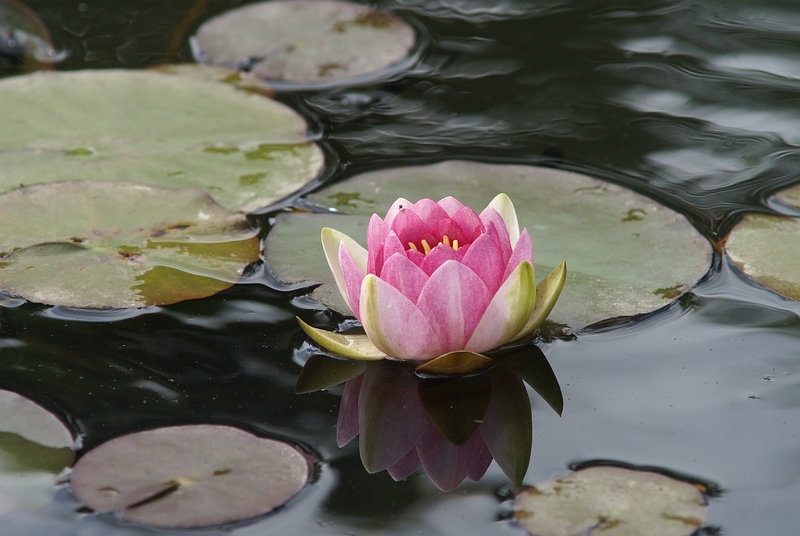 We continued to maintain the boarder behind the bog garden, though the Parish Council are still trying to maintain the water levels in the pond/bog area. Pat Barnett has volunteered to organise our work here. We sponsored another film showing in the Hall, but for various reasons our offer to sponsor another school trip was not taken up. Again we had an excellent year. Membership continues fairly steady, though people do not always remember to pay their subs, despite them being such excellent value for £2. 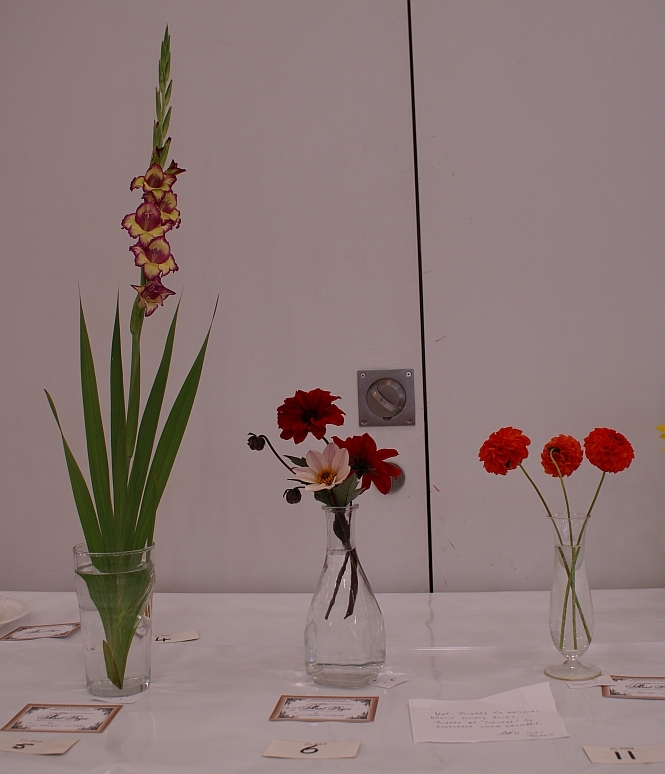 John Gregory’s talk on bulbs early in the year was fascinating. Our relationship with ParwichPrimary School continues to be strong, with our sponsorship of their visit to Lea Rhododendron Gardens. 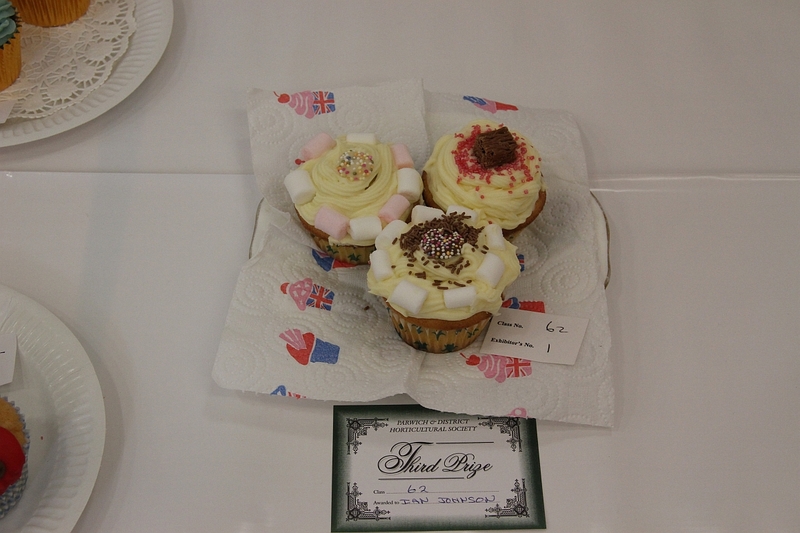 The Society Members supporting this and the letters from the children indicated a good day was had by all. The Children’s Show, if possible, was an even greater success than last year. 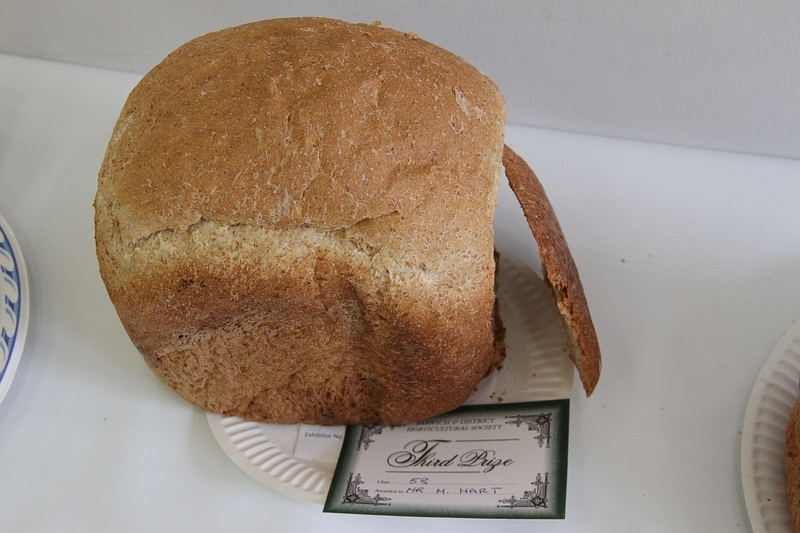 The standard of entries was excellent, and provides a challenge those entering the Main Show to match it. 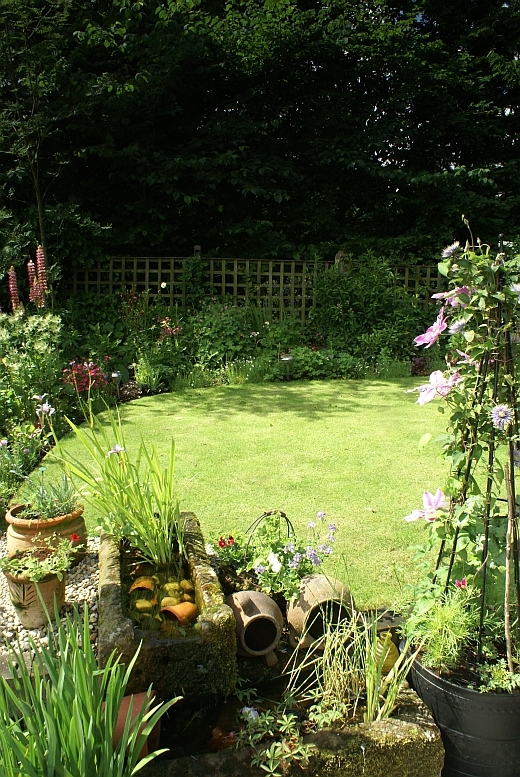 All went smoothly with the Open Gardens. 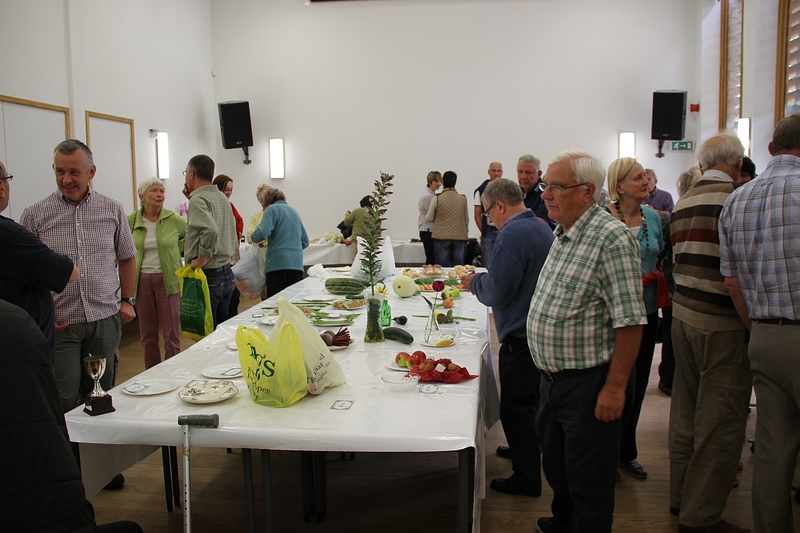 The scarecrow competition, teas and plant stall also did well, with the day being a financial success. 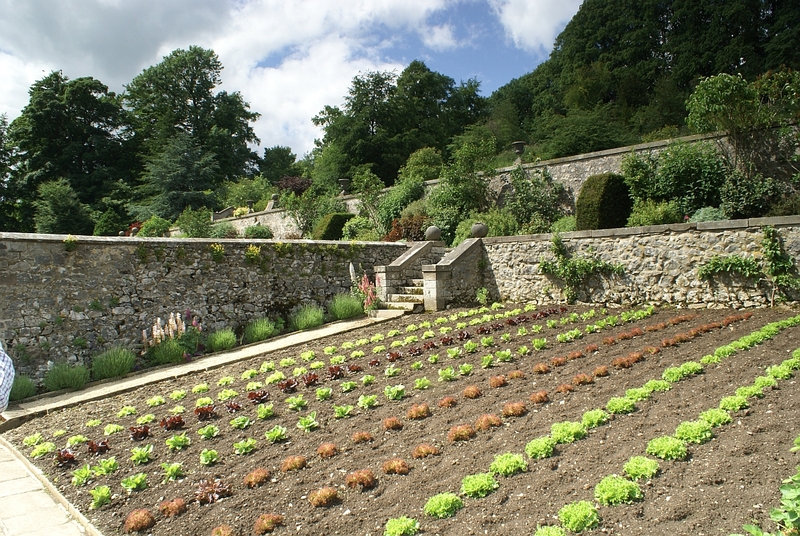 Thank you to all who opened their gardens and who supported the day. So far out of the income the Committee has pledged to sponsor another film showing this winter, but we would also welcome any further suggestions for local causes we should support. Though we should bear in mind our reserves are down on last year. The trips to Biddulph Grange and Trentham Gardens were well supported. We have continued work on the Jubilee bog garden at Nether Green this year. 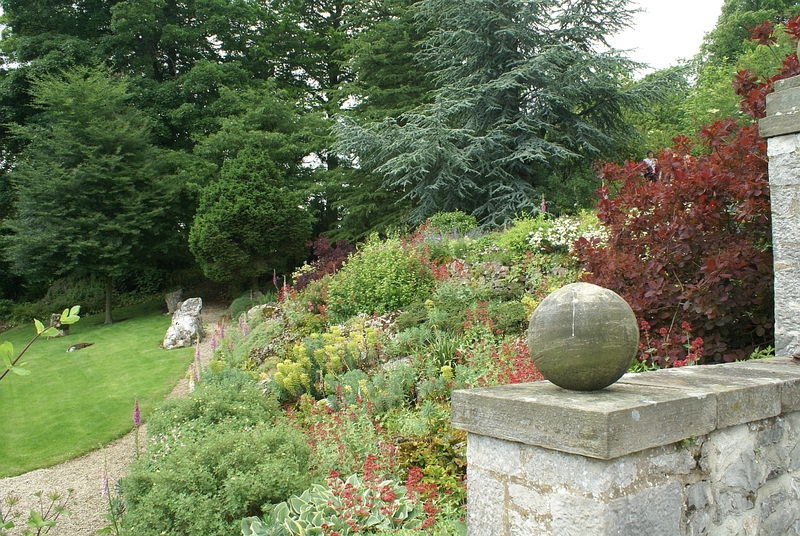 The roses and other planting on top of the wall are establishing well, but continuing problems with the water level have meant that the bog garden continued to be dominated by grass. The Parish Council have dug out the area further, and will make further efforts to seal the weir, before any further plans are made. We will continue to maintain the boarder on top of the wall. 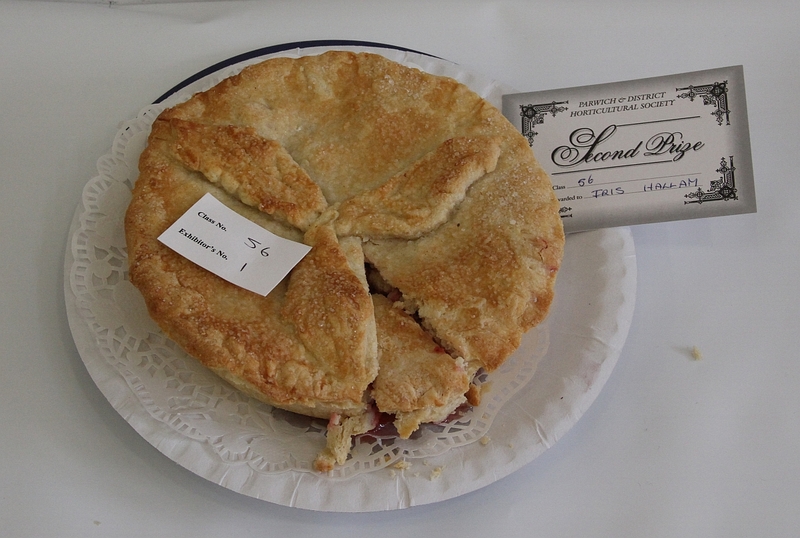 The Main Show was also a success. 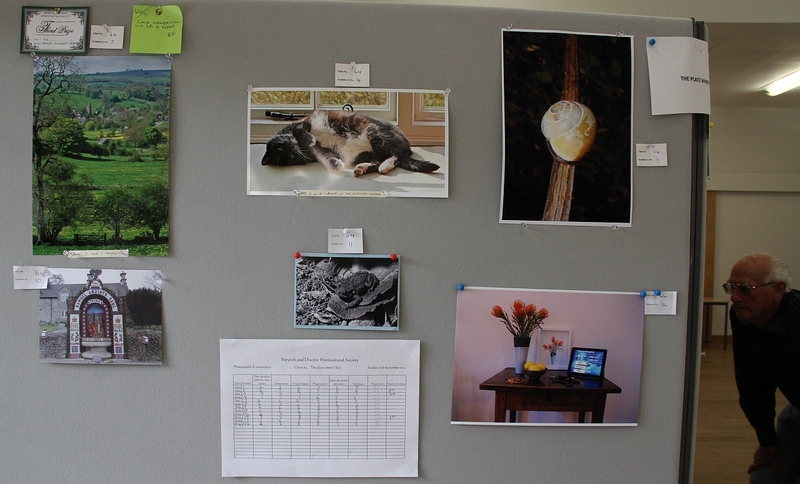 We reviewed the Show Schedule and would welcome more suggestions for future improvements. 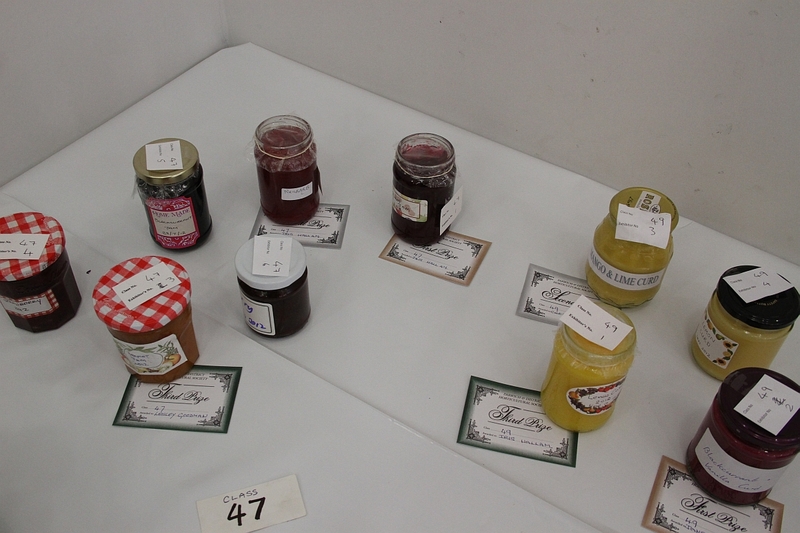 Entries were again up on last year, but we can not be complacent. We had two new trophies. 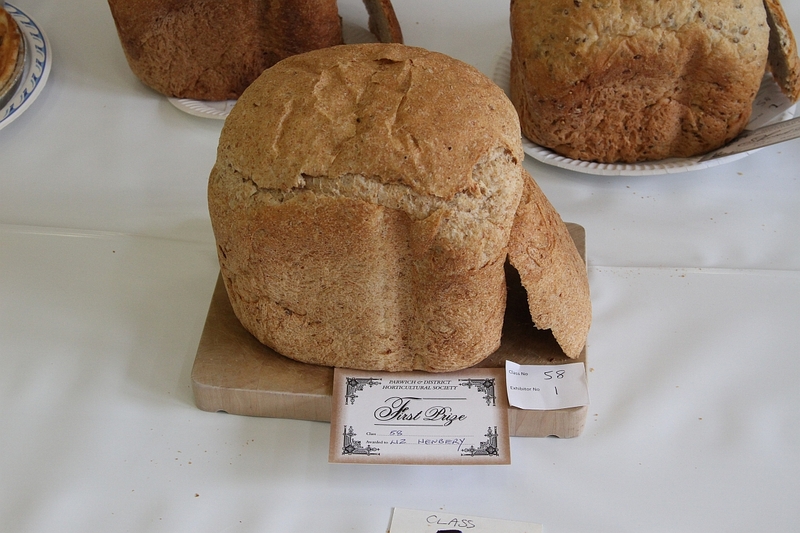 The Ambrose Wilton Trophy was for the open vegetable section. 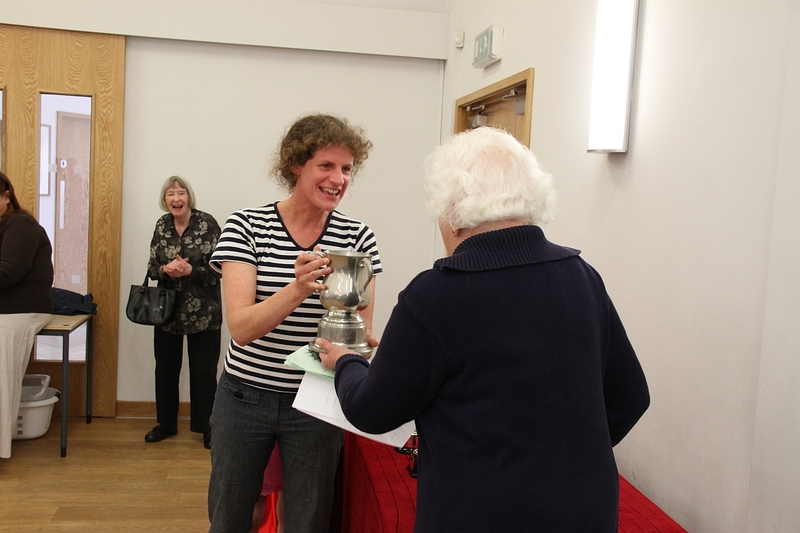 The Dorothy Foden Trophy was for the preserves and cookery section, which was particularly well supported. 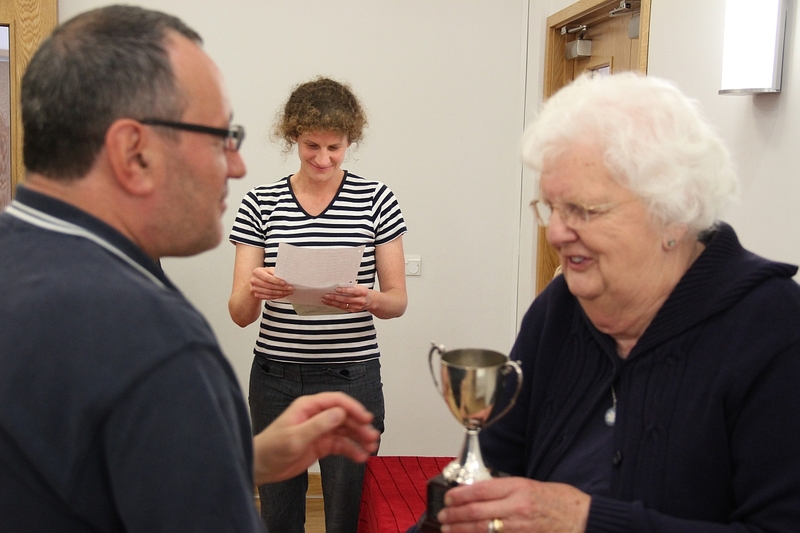 Bill as always efficiently organised the Bob Matthews Quiz last month, which had a very good turn out. Also a warm thank you to all the Committee Members for their hard work and support through out the year. 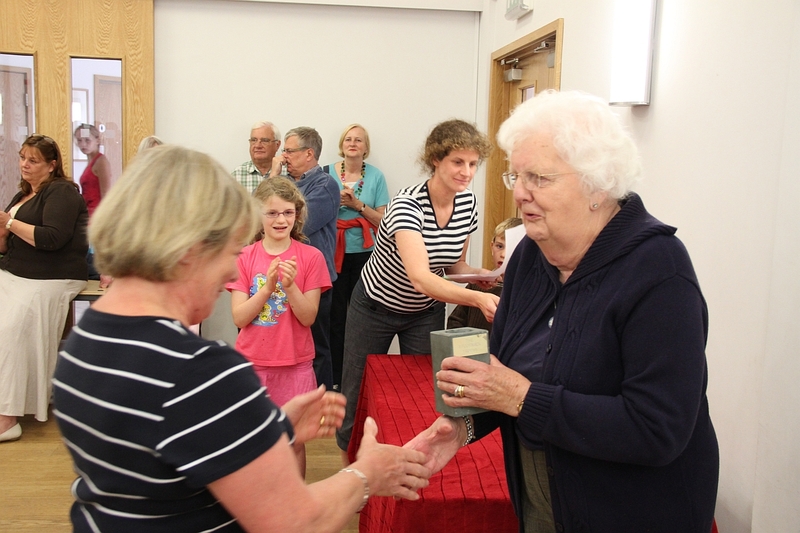 The Society has again had an excellent year, despite the loss of Dorothy Foden, who died in February. Dorothy had held various offices in the Society and served as an essential Committee Member for nearly 30 years. We did not have an annual dinner this year, but had an otherwise full programme. The Children’s Show, if possible, was an even greater success than last year. 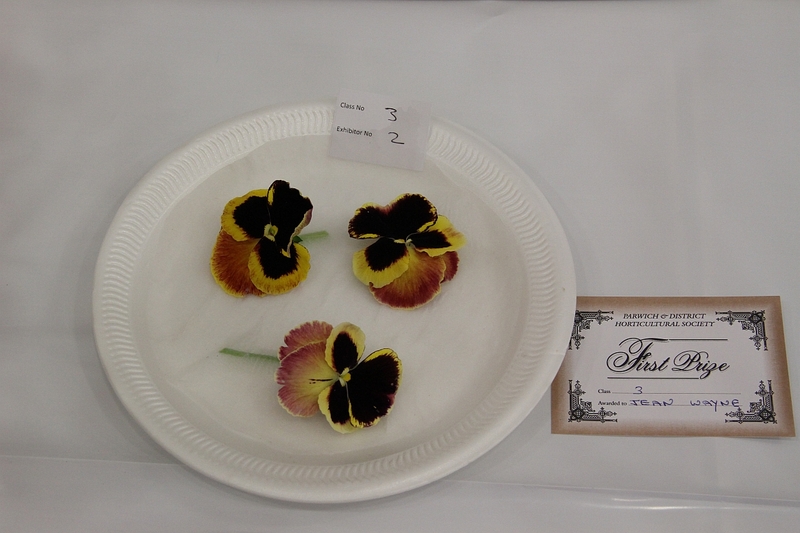 The standard of entries was excellent, andprovides a challenge those entering the Main Show to match it. Our relationship with ParwichPrimary School continues to be strong, with the poster competition and pot plant classes flourishing. 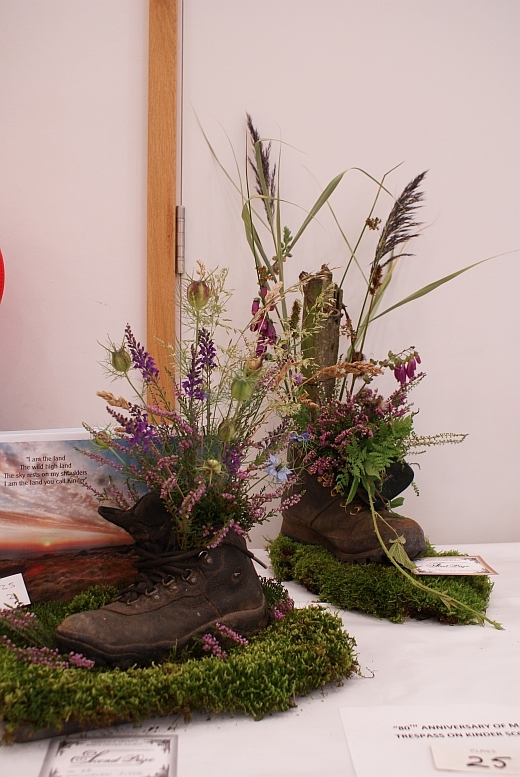 Ella Hopkinson’s sons, John andDavid, donated trophies to be awarded to the winners of the school pot plant classes. Numbers going round the Open Gardens andthe Scarecrow Competition were up on last year, thanks to the excellent weather. 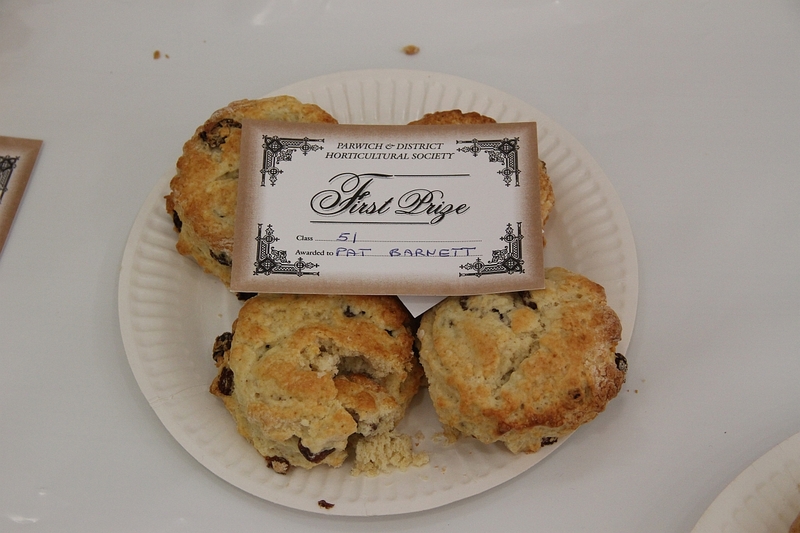 Pat Barnett organised the teas for the first time this year, with great efficiency. 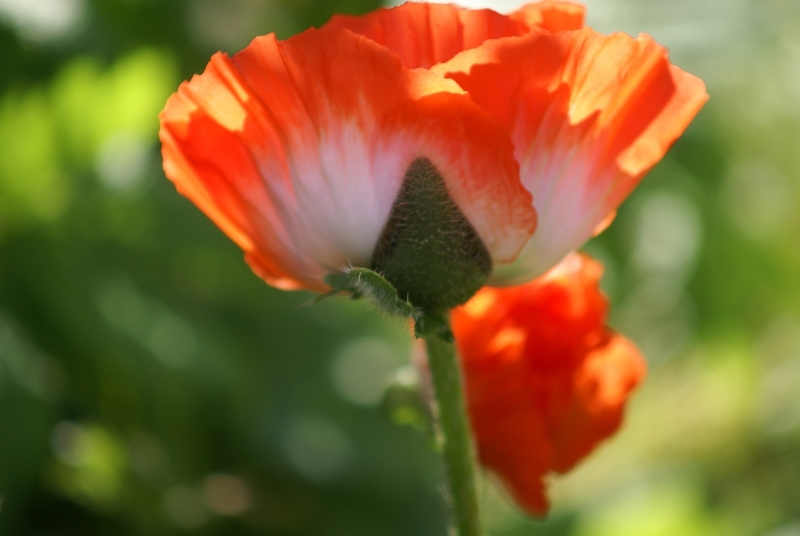 Thank you to all who opened their gardens and who supported the day. It was also a financial success. Out of this we have supported the Youth Club, in relation to changes in Hall rental; paid for plants at the bog garden; and are to sponsor the film ‘Finding Nemo’ to be shown in the Hall on Saturday 10th December. The programme of speaker events and garden visits has continued. 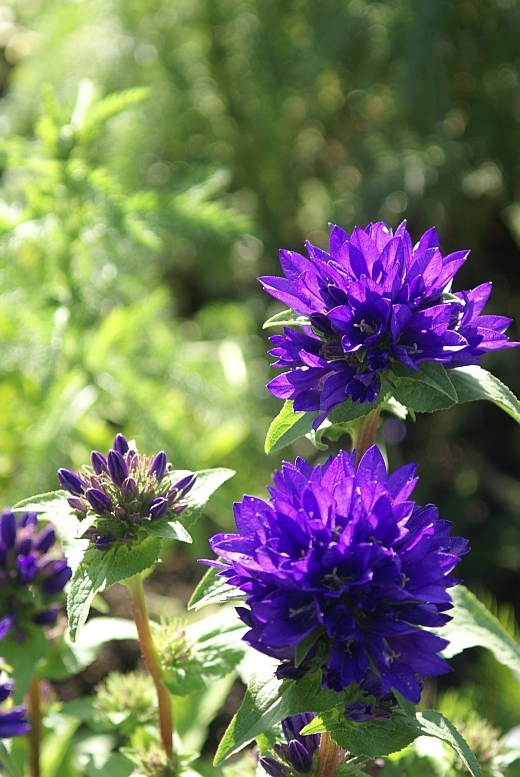 We had an excellent talk on hardy perennials and visits to the Harrogate Flower Show, Hodnet Hall Gardens, and The Prince of Wales’ garden at Highgrove. 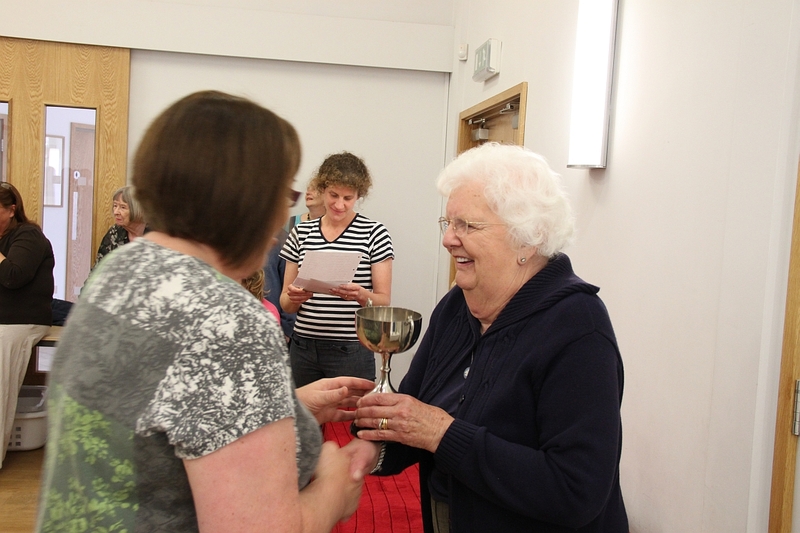 Particular thanks to Dot Hart who undertook most of the organisation. We wrote to Highgrove asking if we could be on the waiting list for a future visit, but this is not likely to be possible in the foreseeable future. We have continued work on the Jubilee bog garden at Nether Green this year. 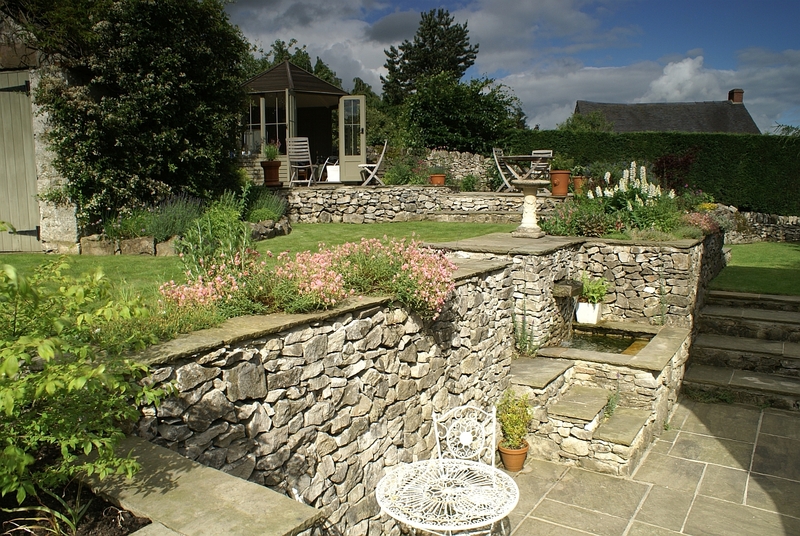 The roses and other planting on top of the wall are establishing well, but continuing problems with the water level have meant that the bog plants put in last year are struggling to stay alive. Only the purple loosestrife made its presence felt. The Parish Council is looking at solutions to the lack of water. We are still waiting to hear from the Environmental Group about their benches project, as we said we would sponsor a bench overlooking the bog area. 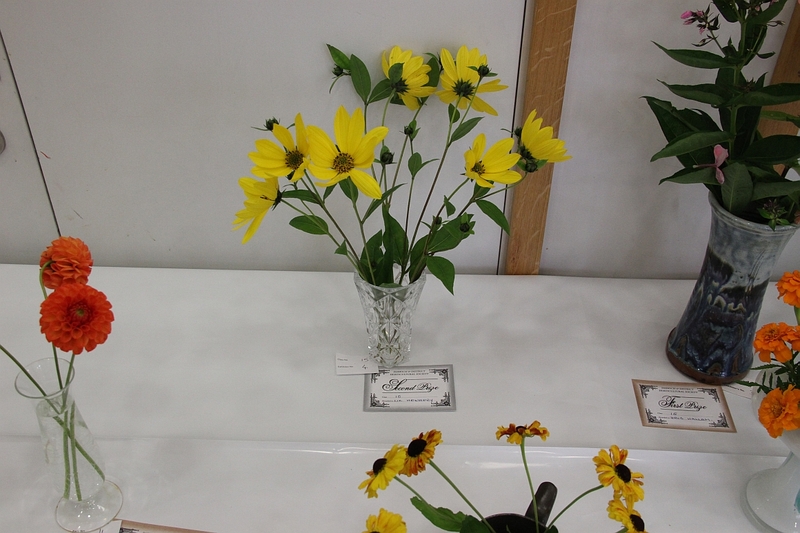 The Main Show was also a success. 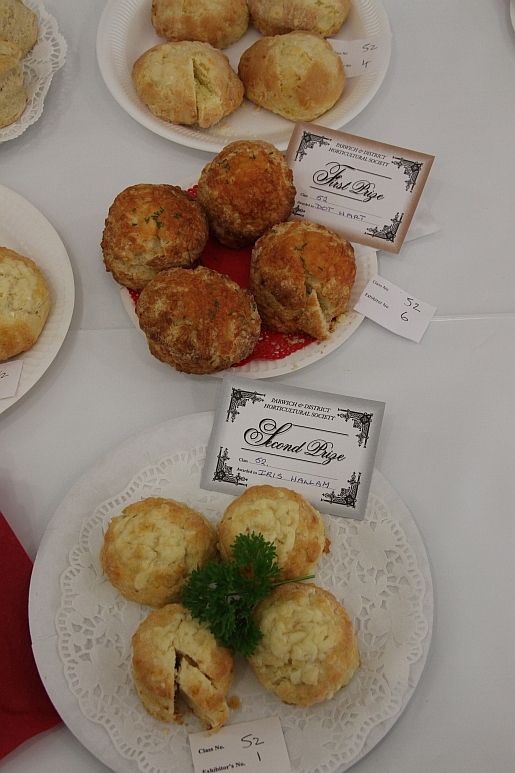 Local entries were up on last year, but we will still need to encourage more. A special thanks to Florence Harris for training people up in taking the entries, but an apology from myself for not getting the results into the Ashbourne Telegraph. 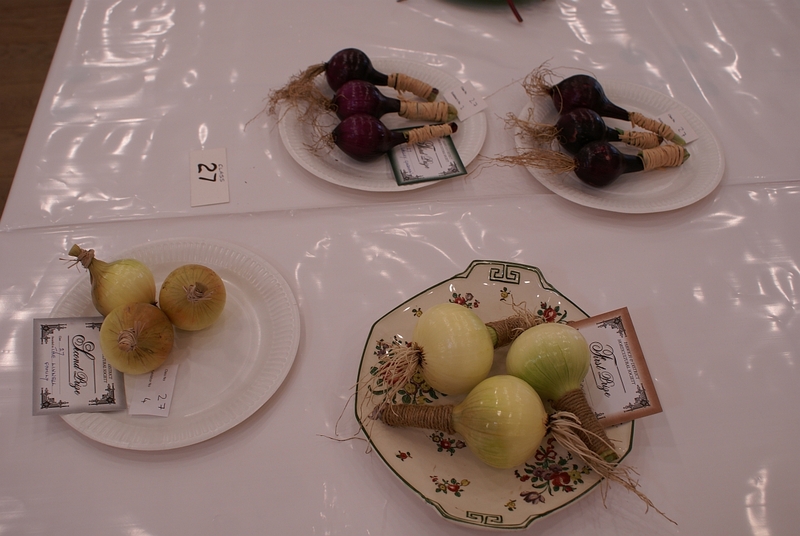 We had a new section: Children’s Vegetables, which this year has just one class, ‘radishes’. 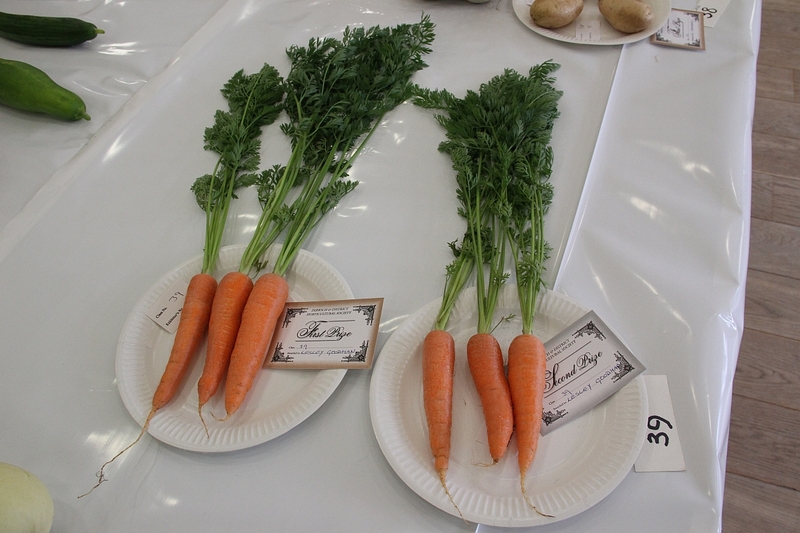 Saskia Tallis donated the trophy for this, but entries were low because we had made a mistake in going for radishes that we not doing well in late August, we will have to pick a better vegetable next time. 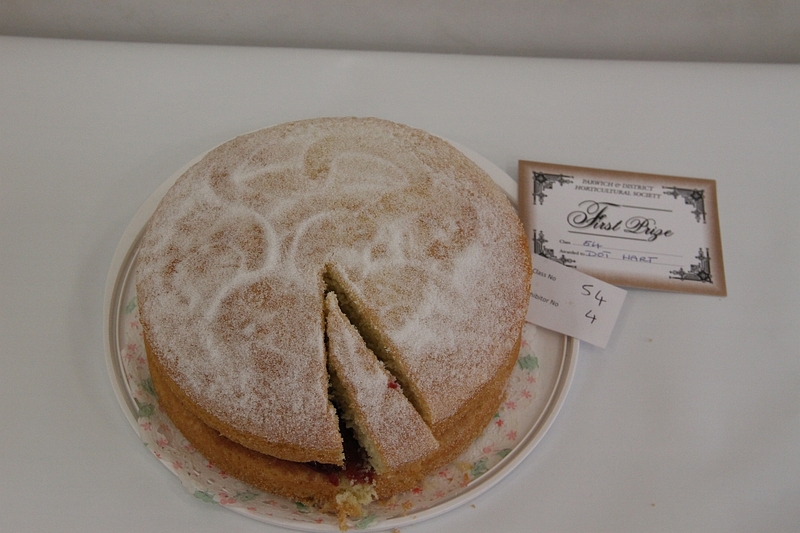 Next year we hope to include a Dorothy Foden Trophy for the most points in the baking and preserves section. Bill as always efficiently organised the Bob Matthews Quiz last month, which had a good turn out. Also a warm thank you to all the Committee Members for their hard work and support through out the year. 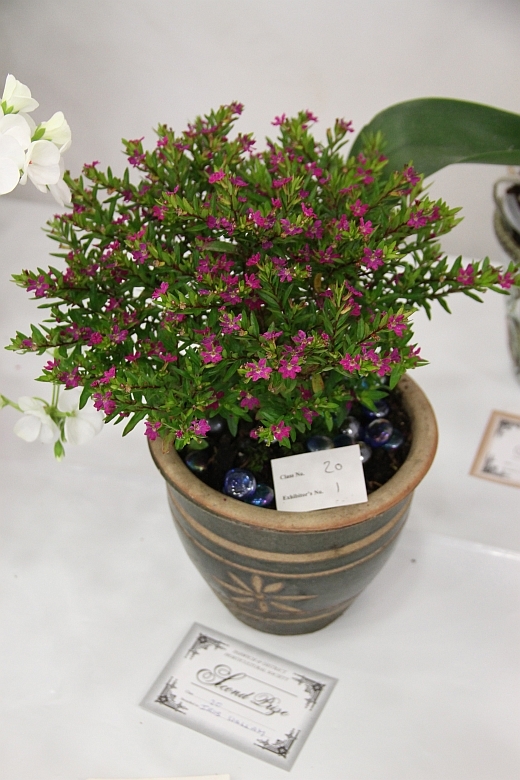 Back to Horticultural Society Main Page.